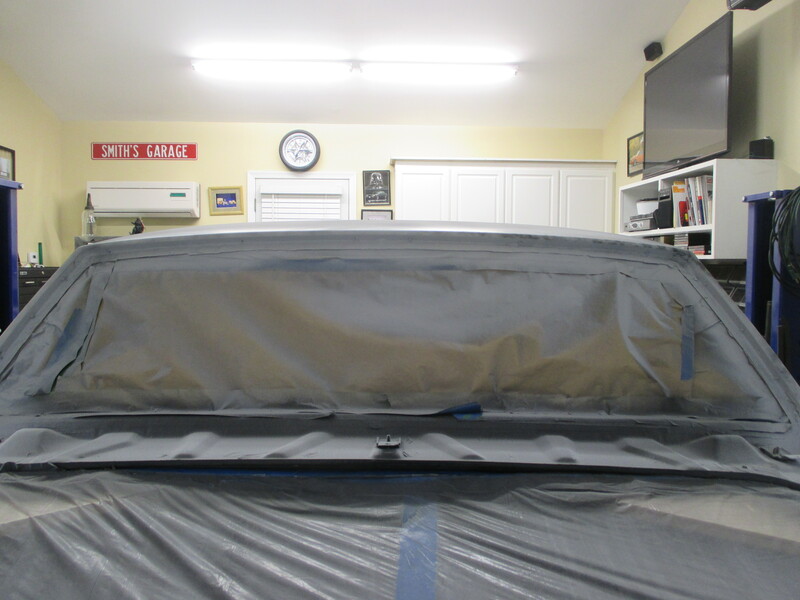 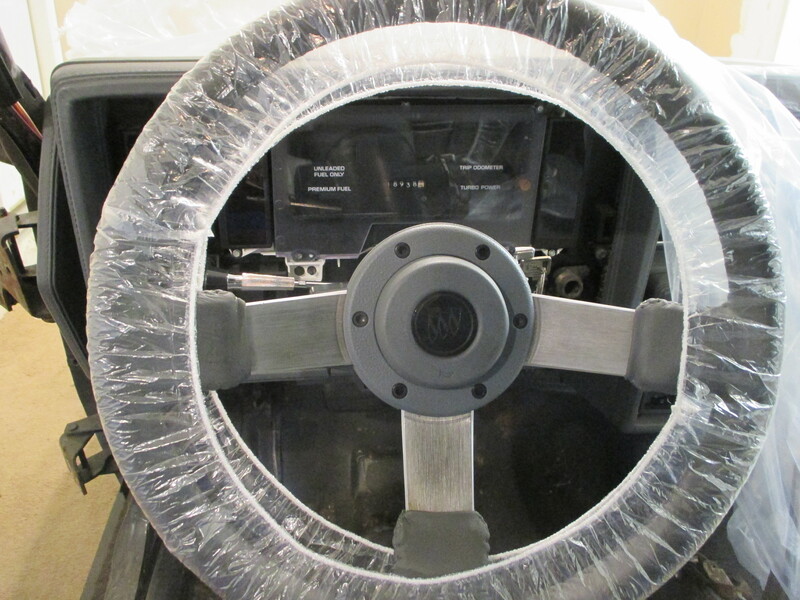 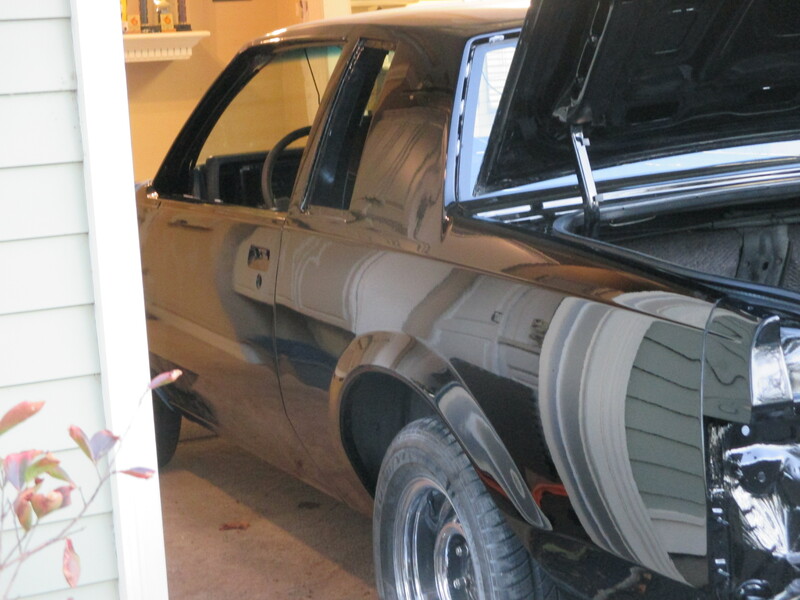 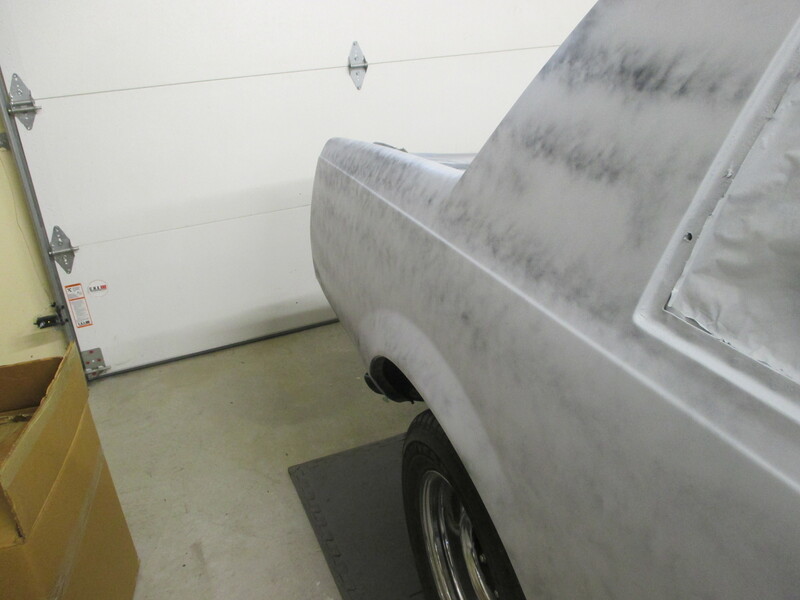 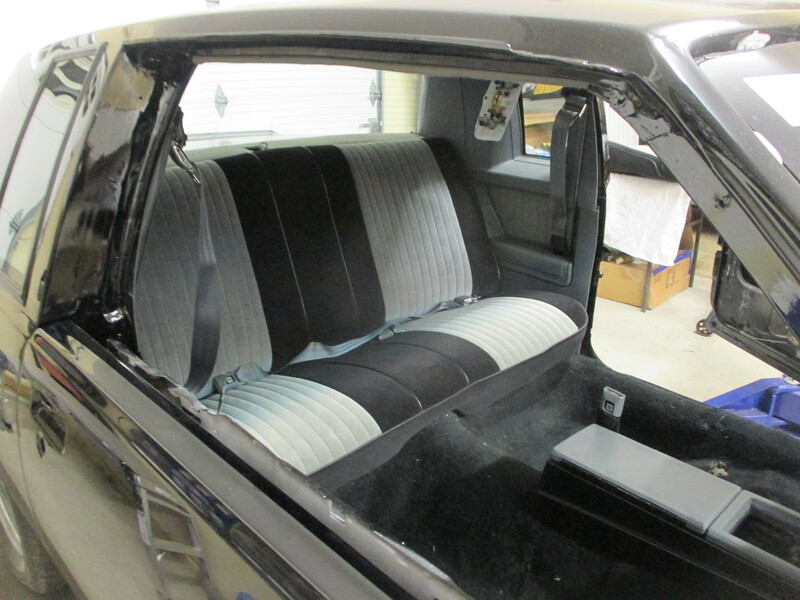 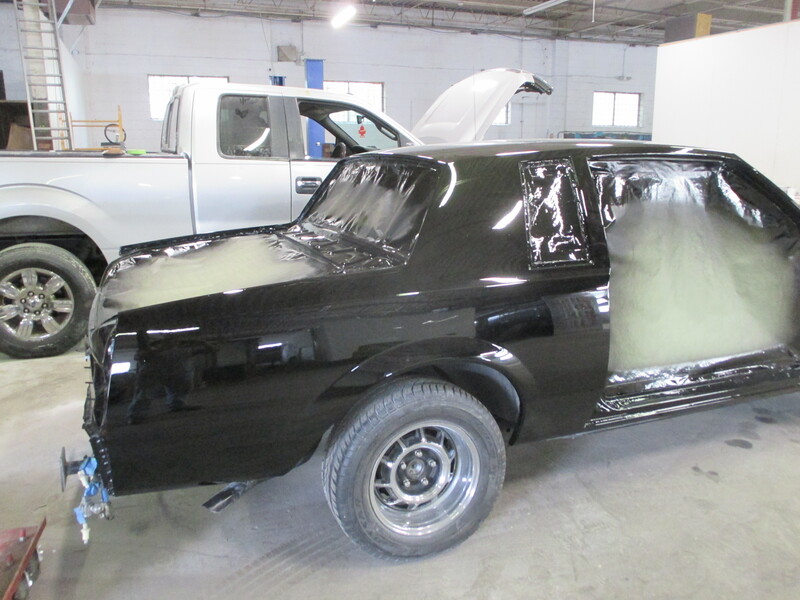 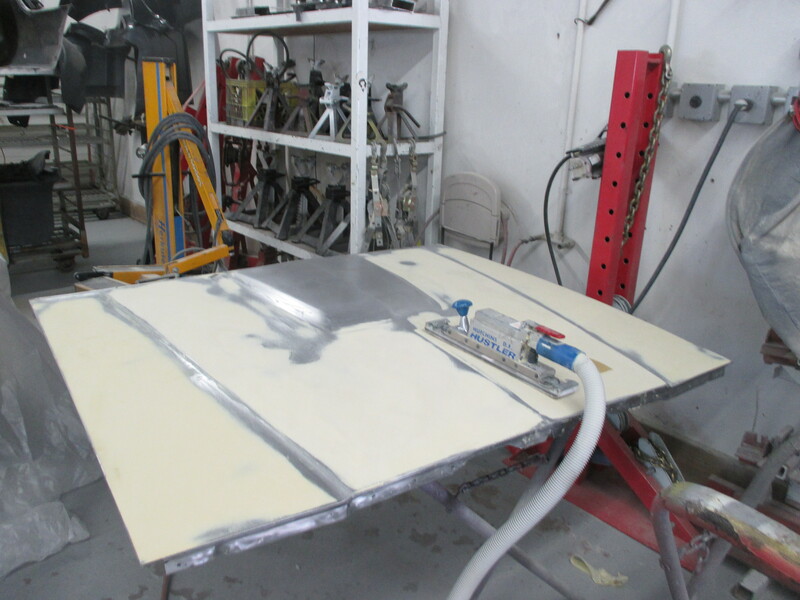 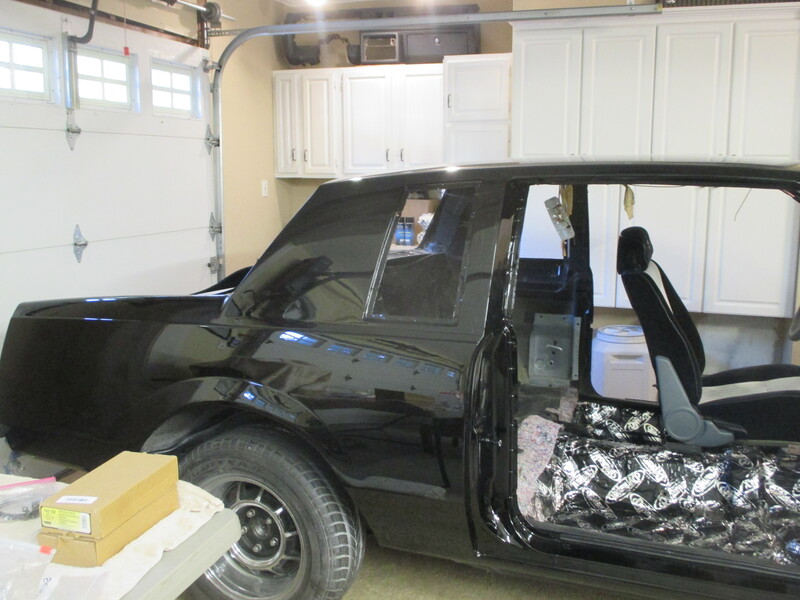 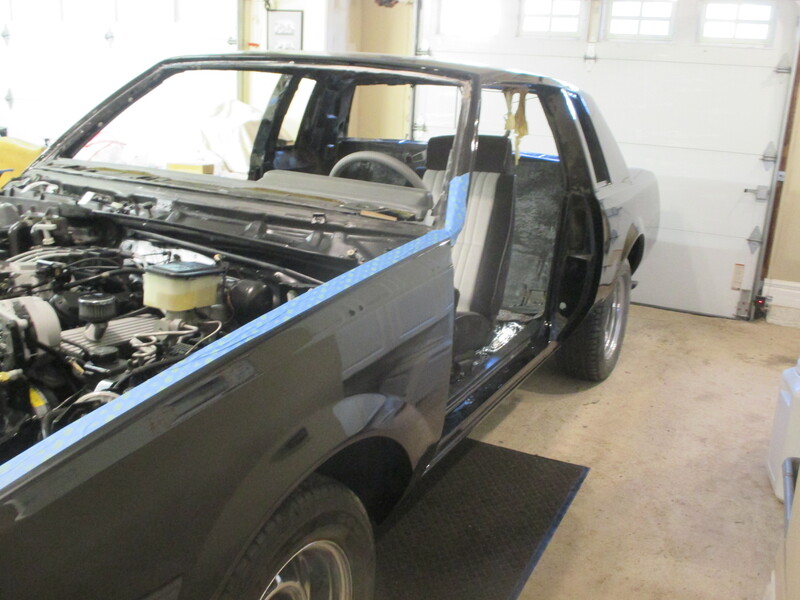 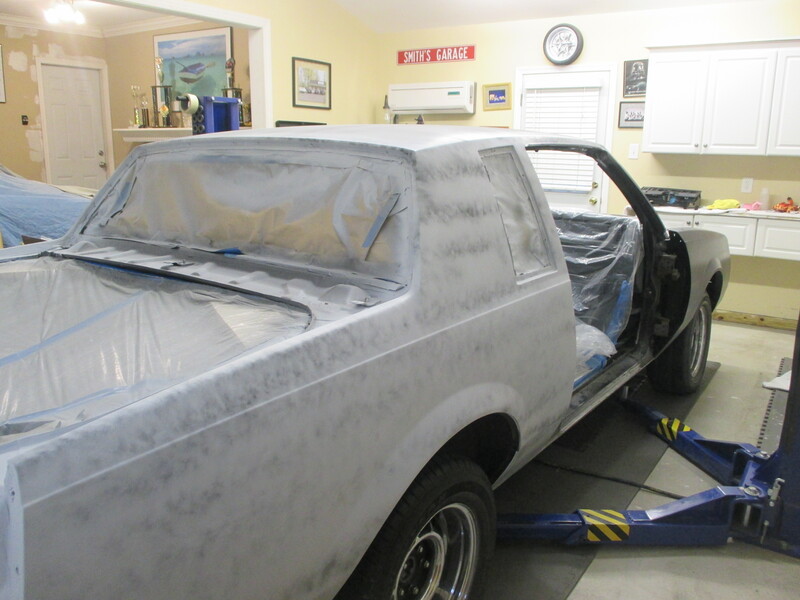 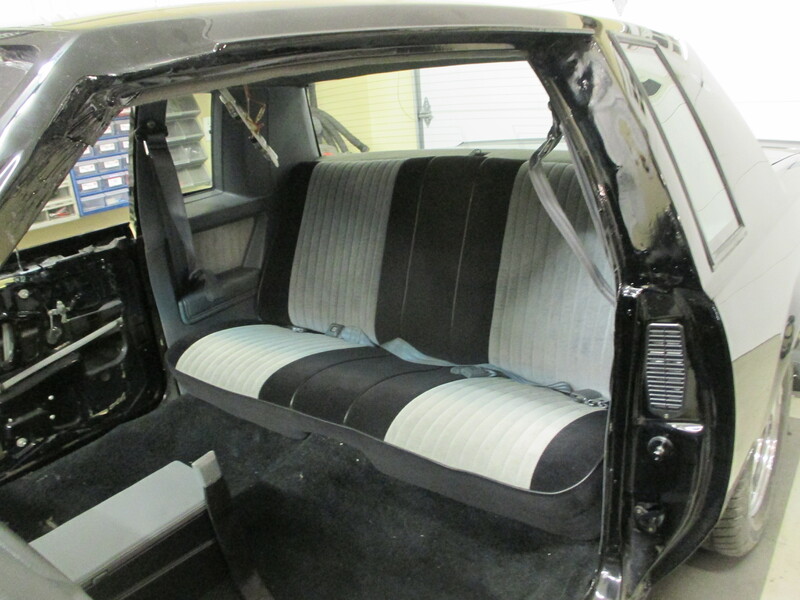 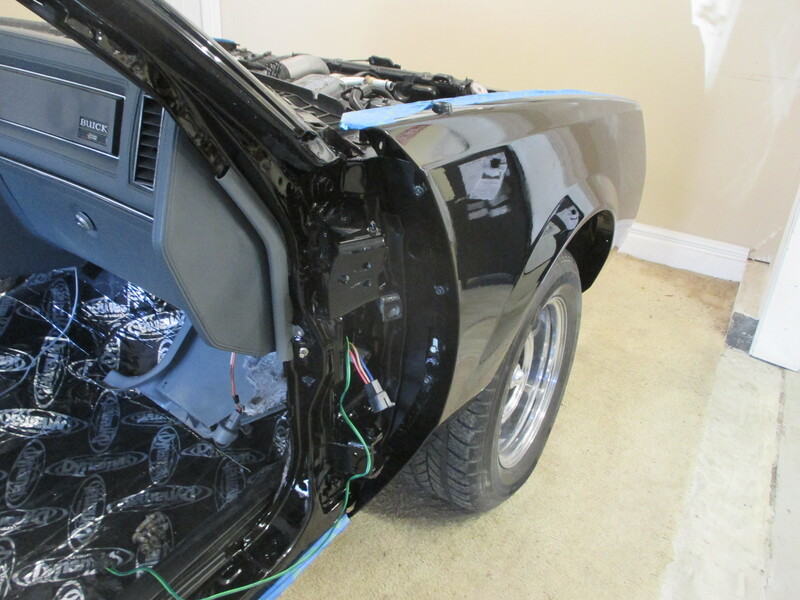 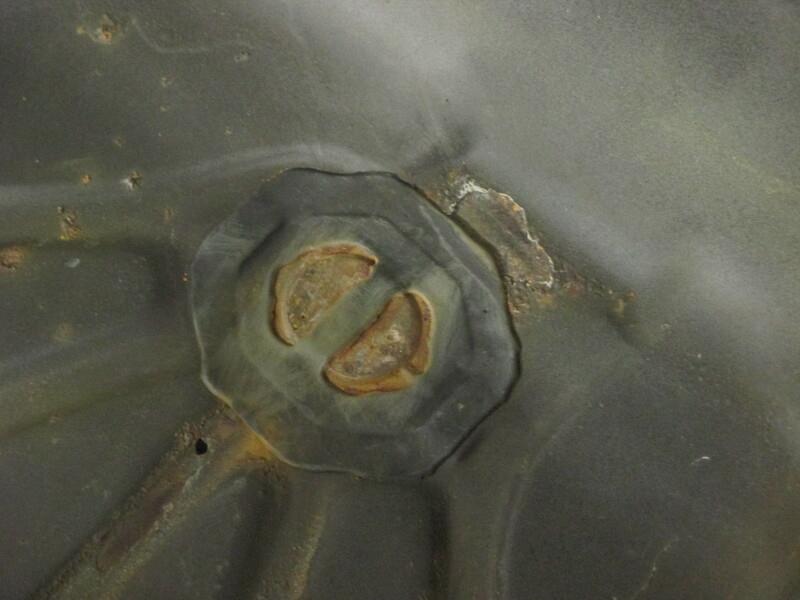 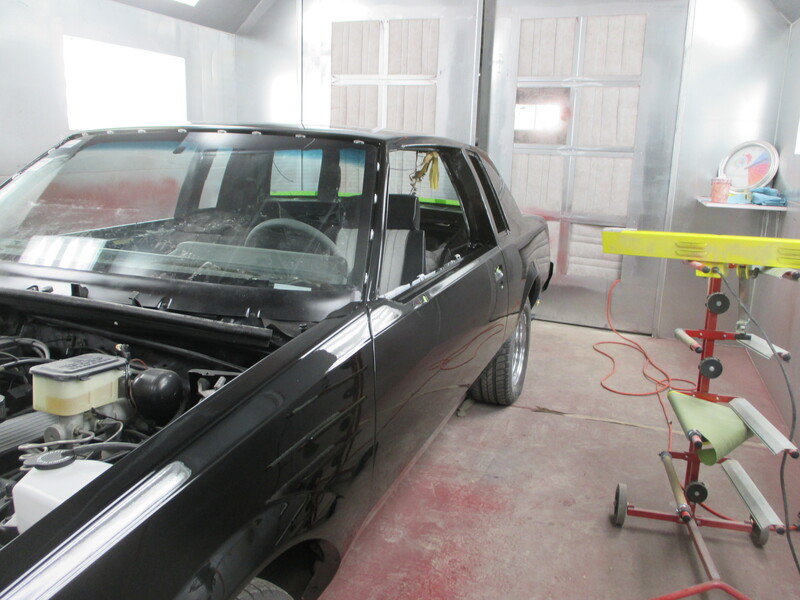 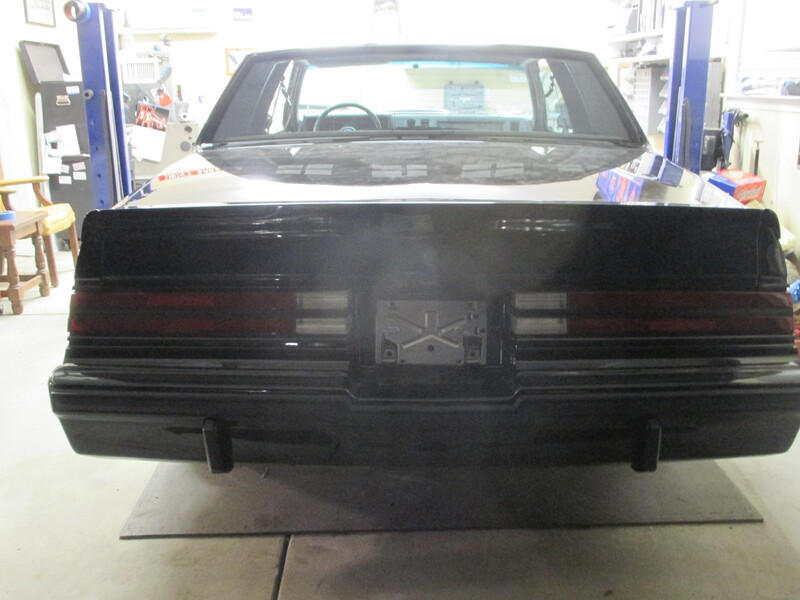 This vehicle is being meticulously restored with every effort being made for a historically correct restoration. 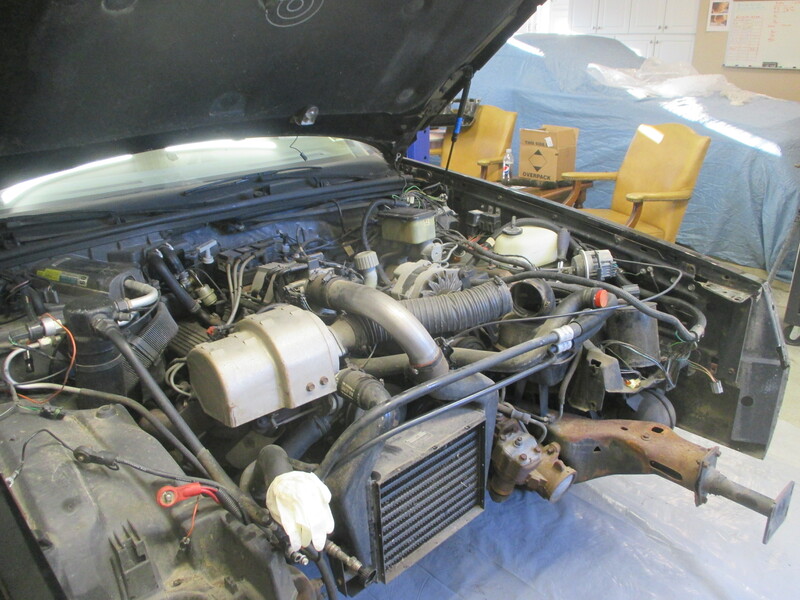 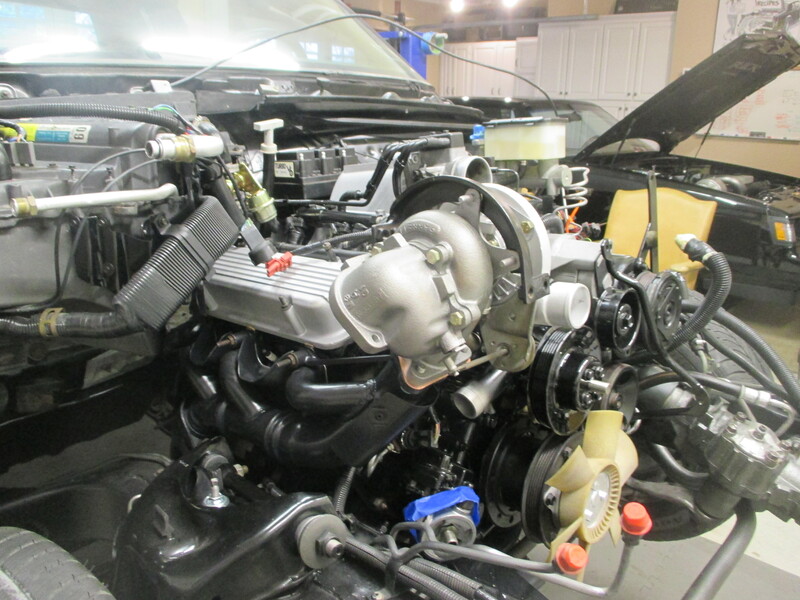 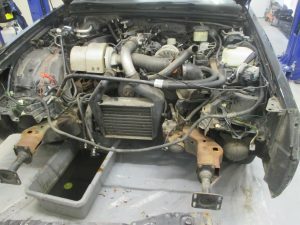 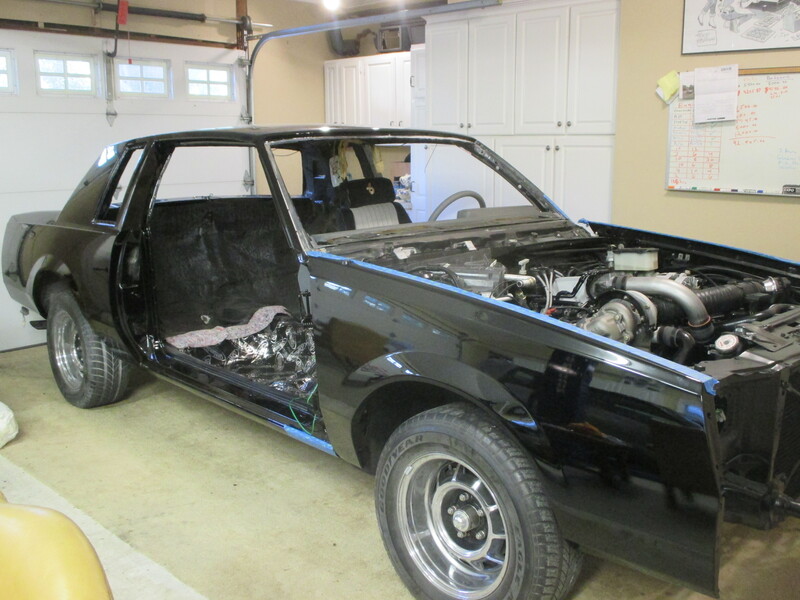 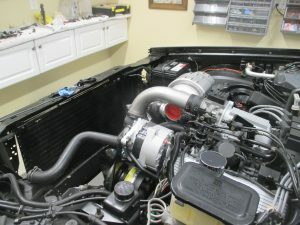 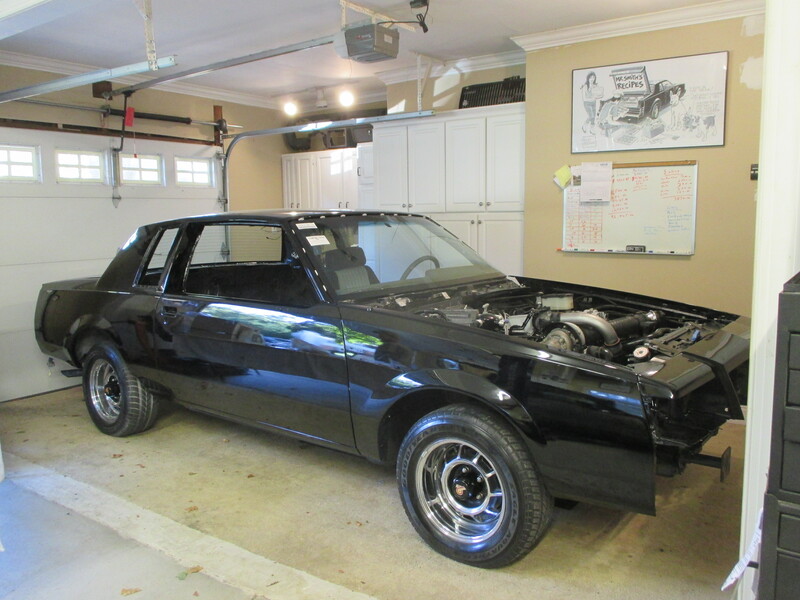 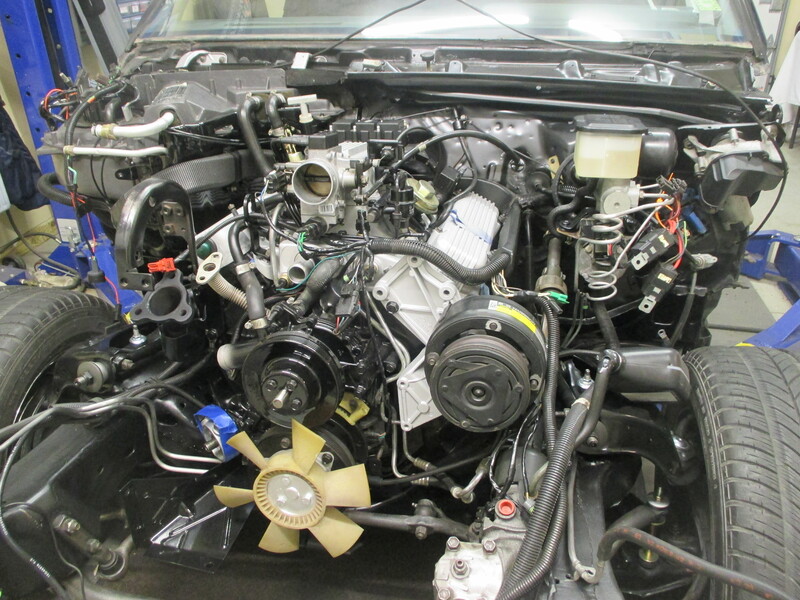 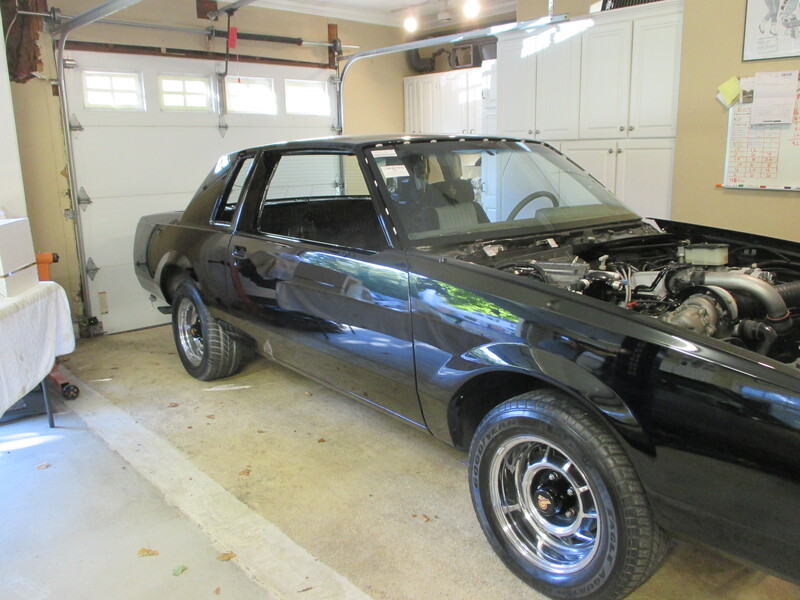 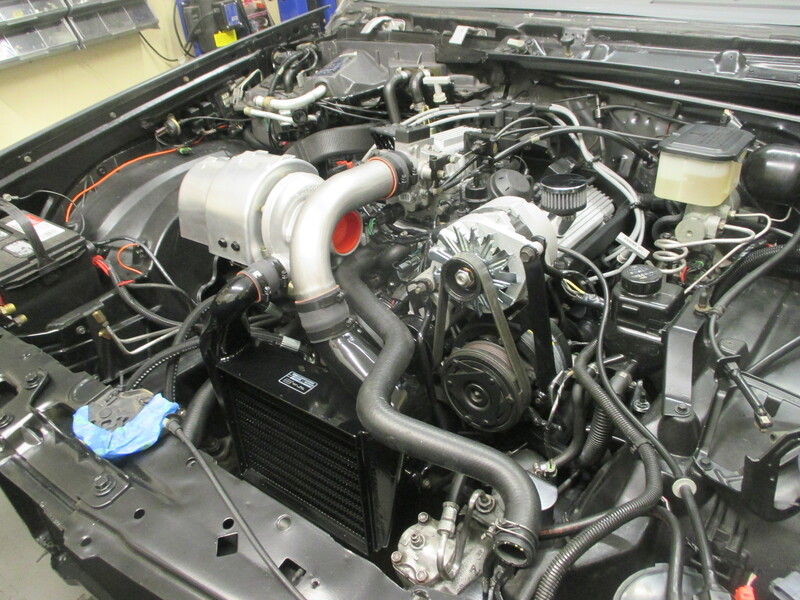 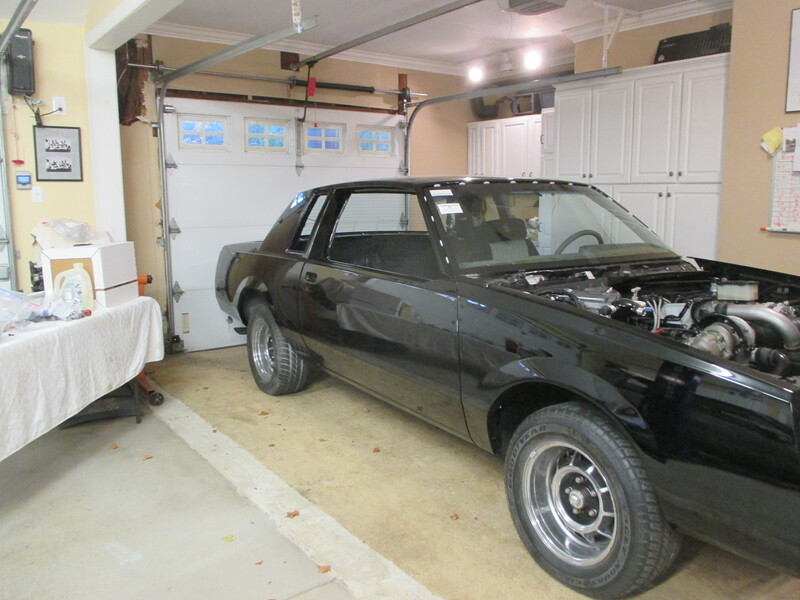 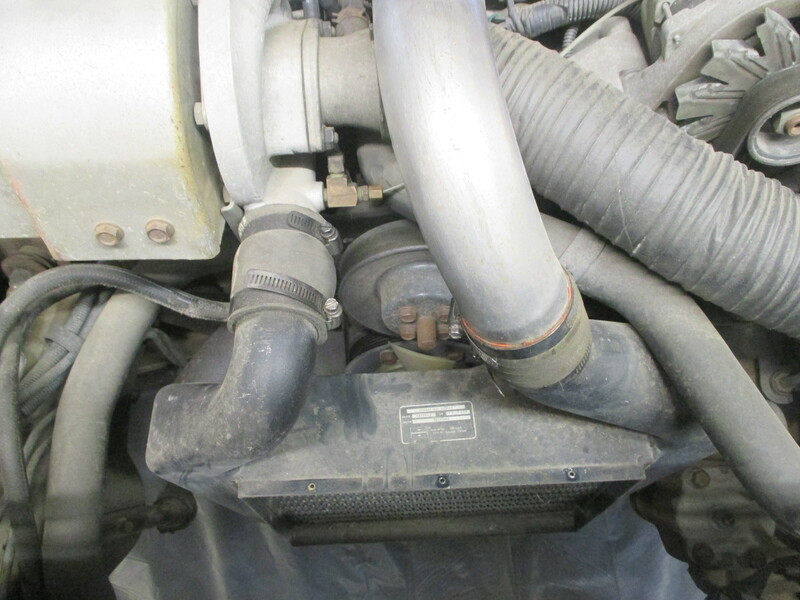 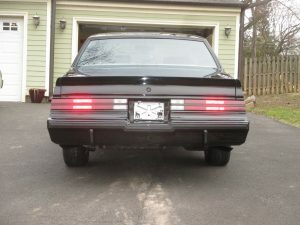 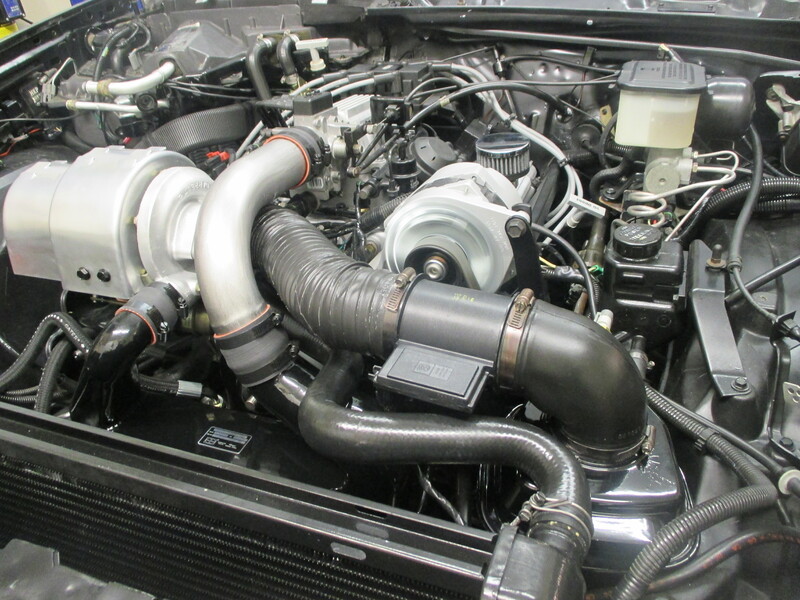 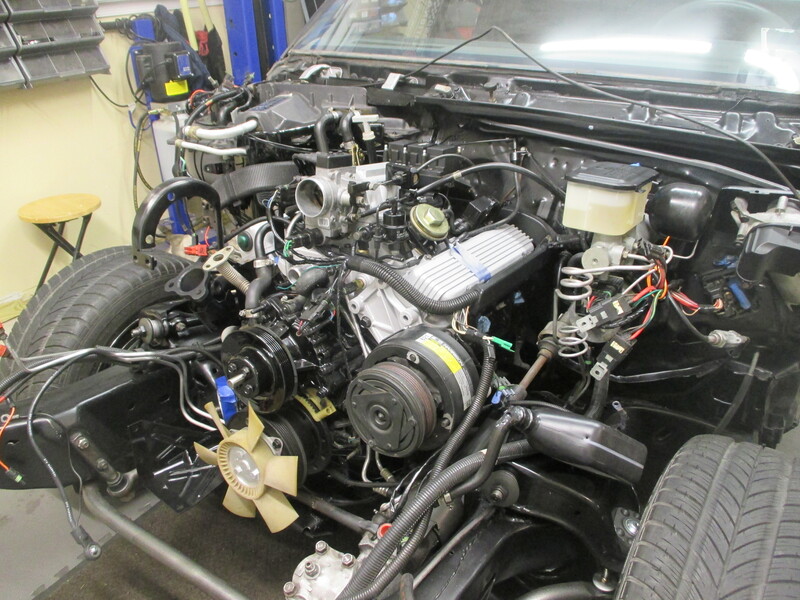 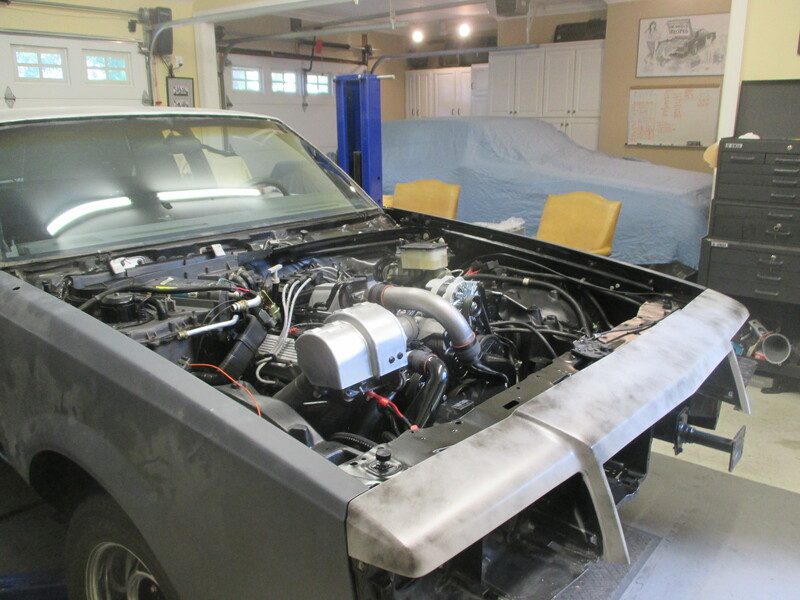 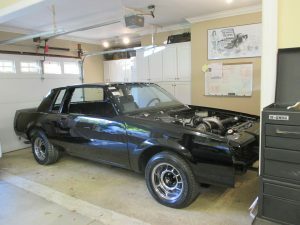 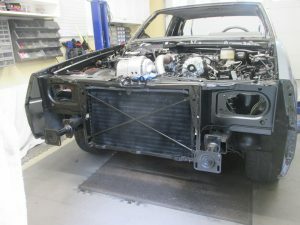 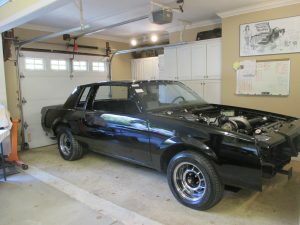 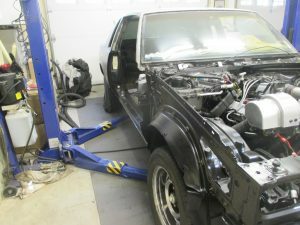 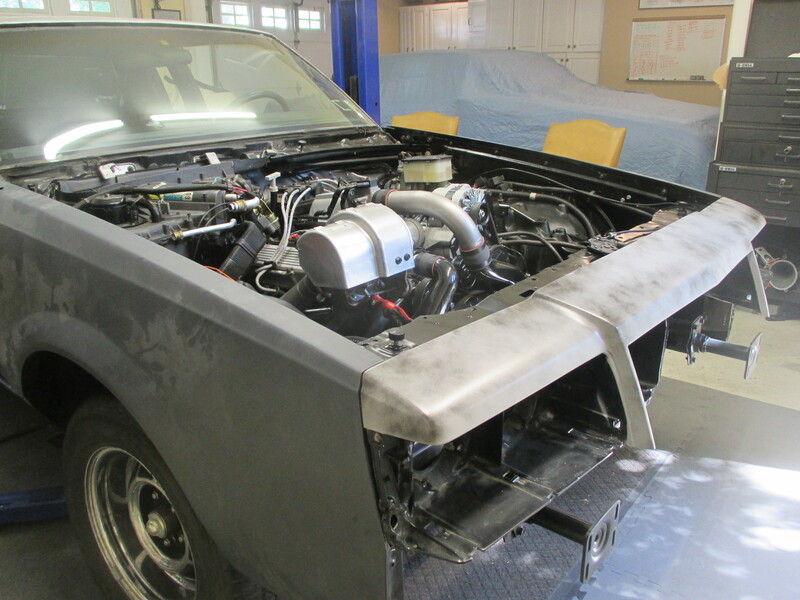 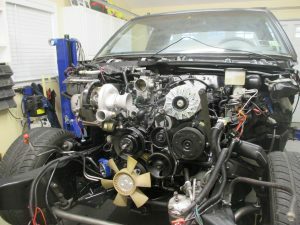 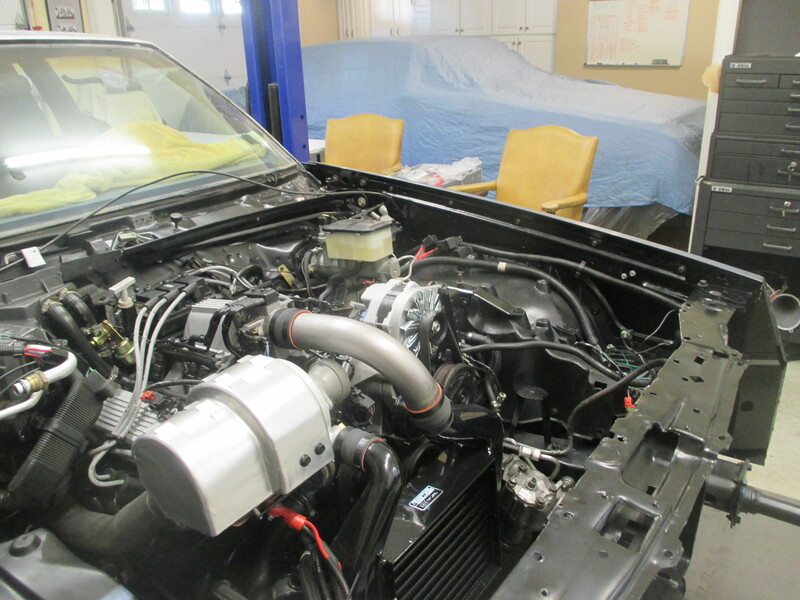 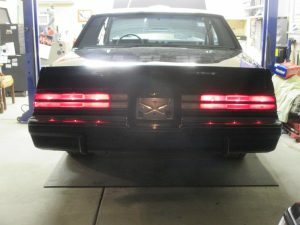 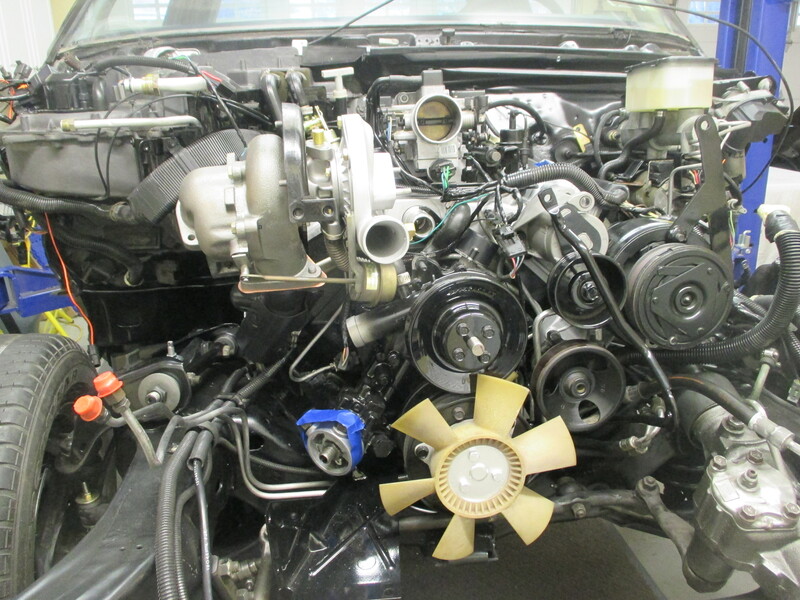 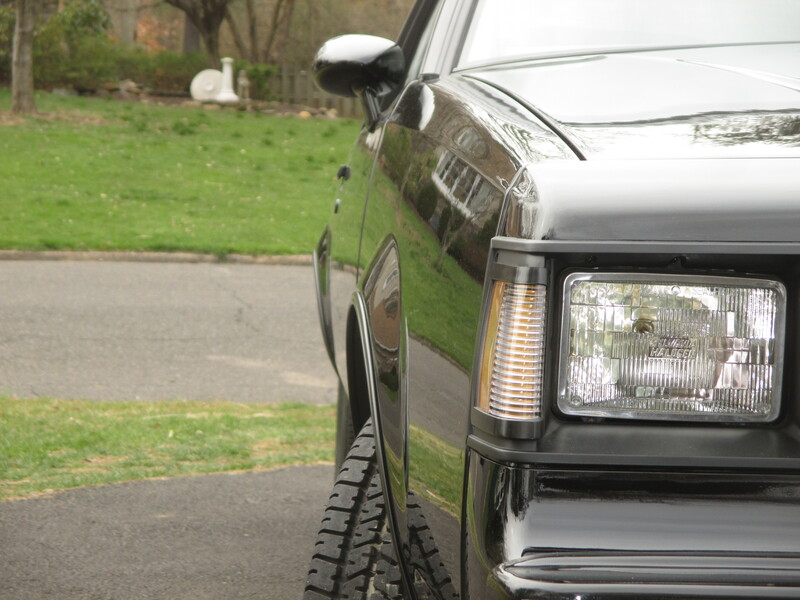 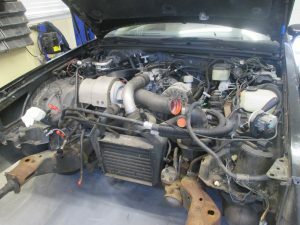 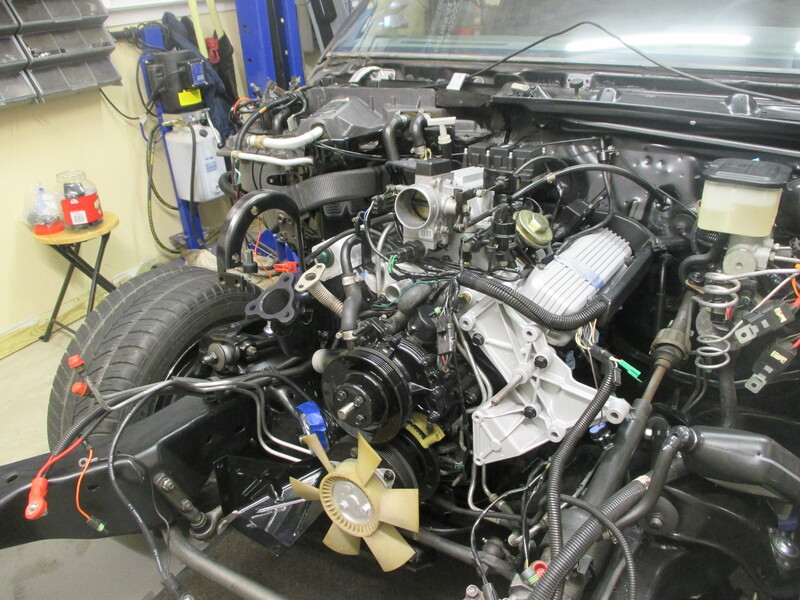 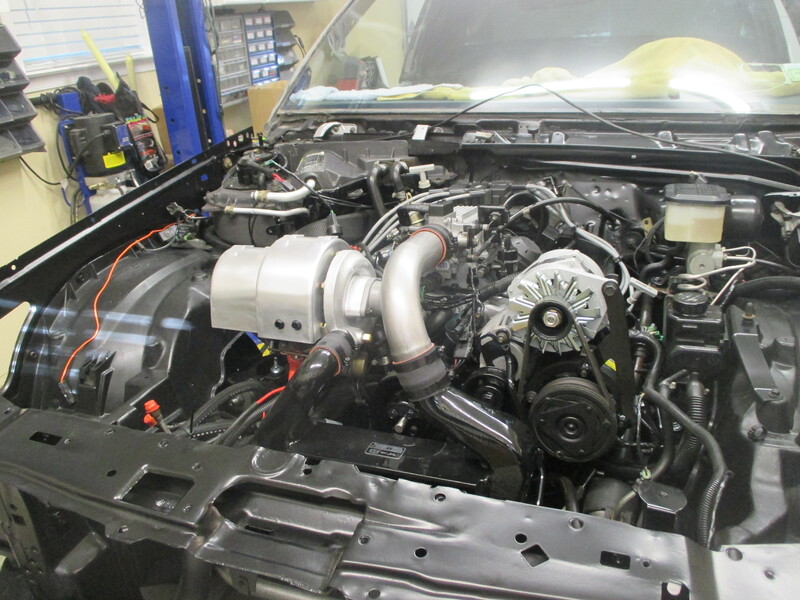 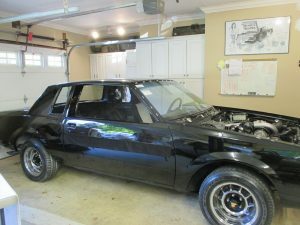 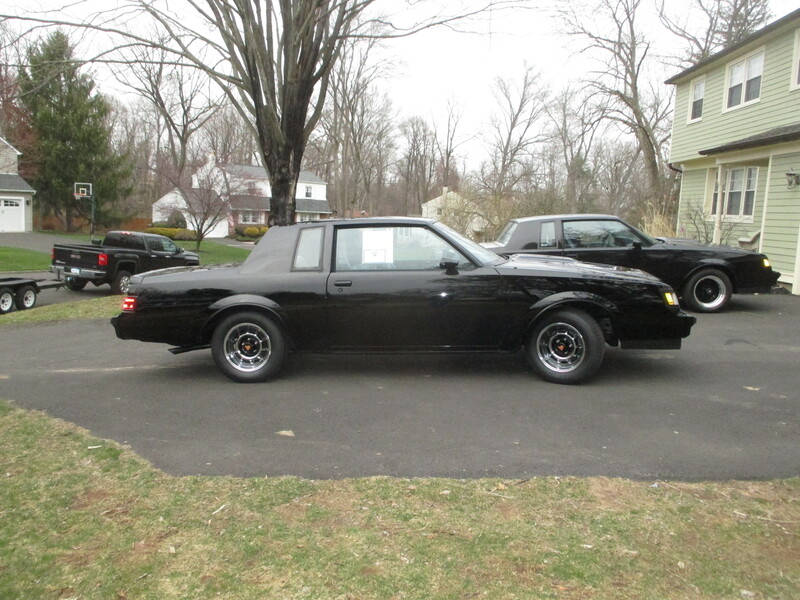 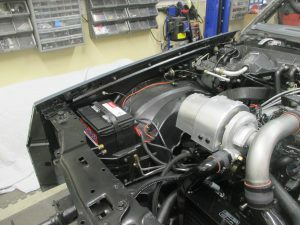 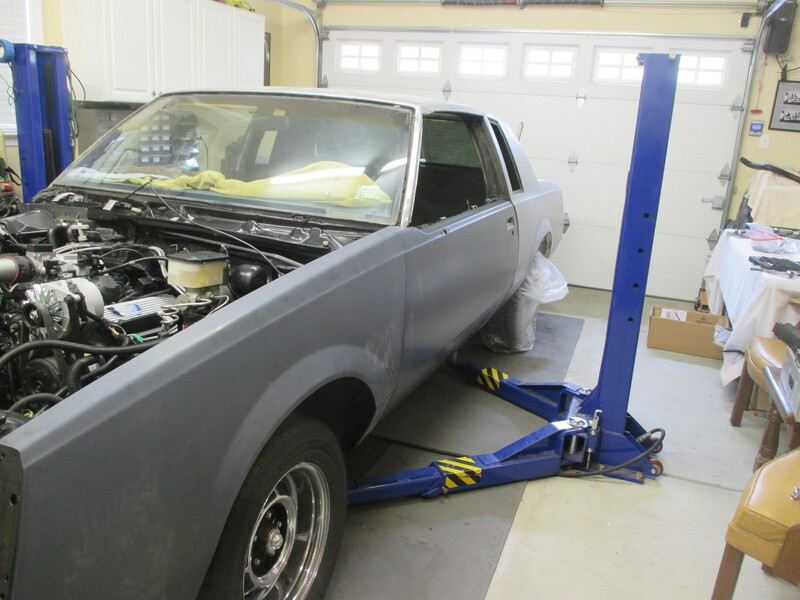 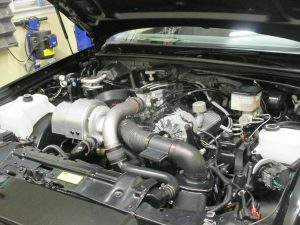 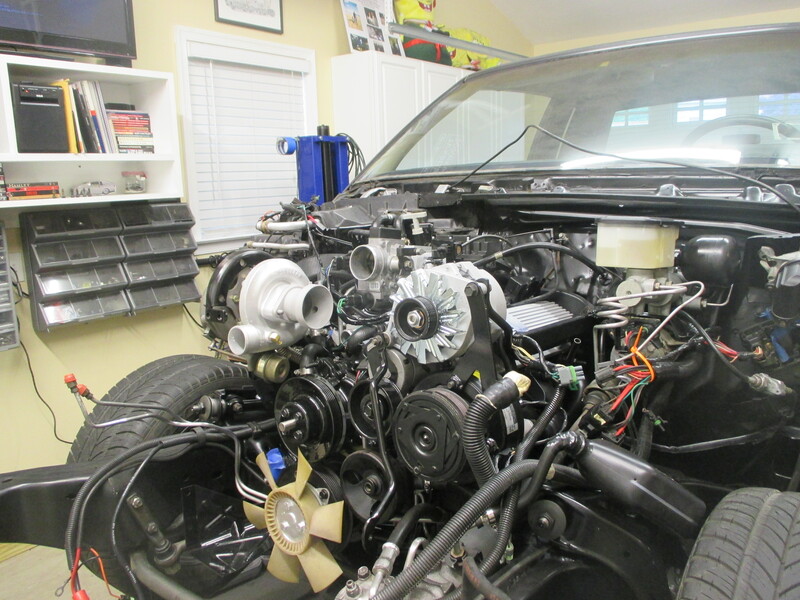 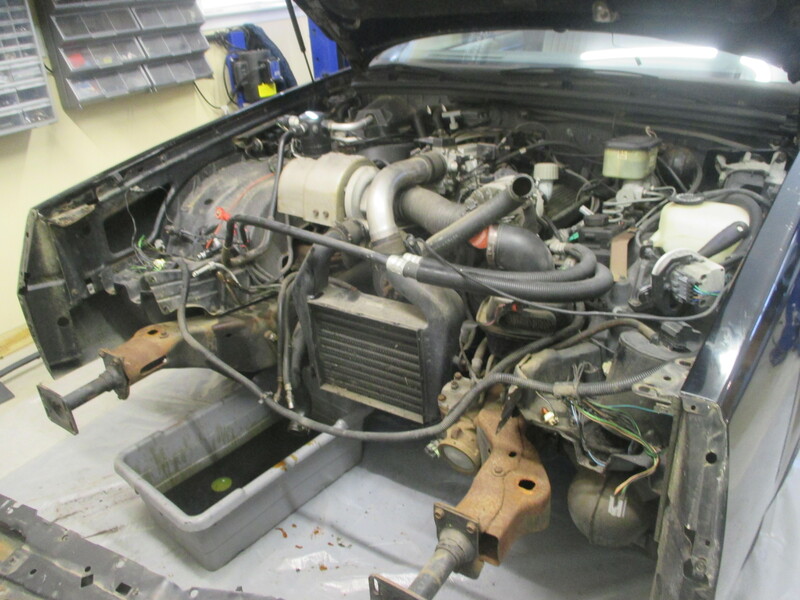 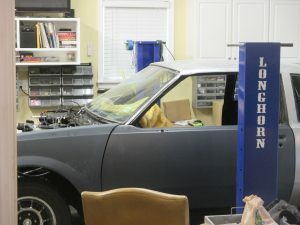 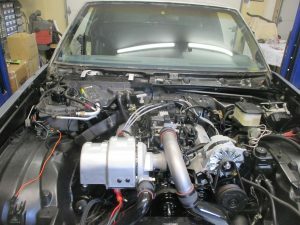 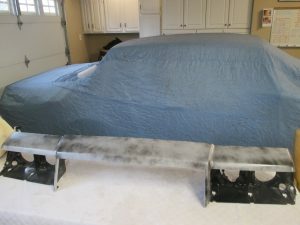 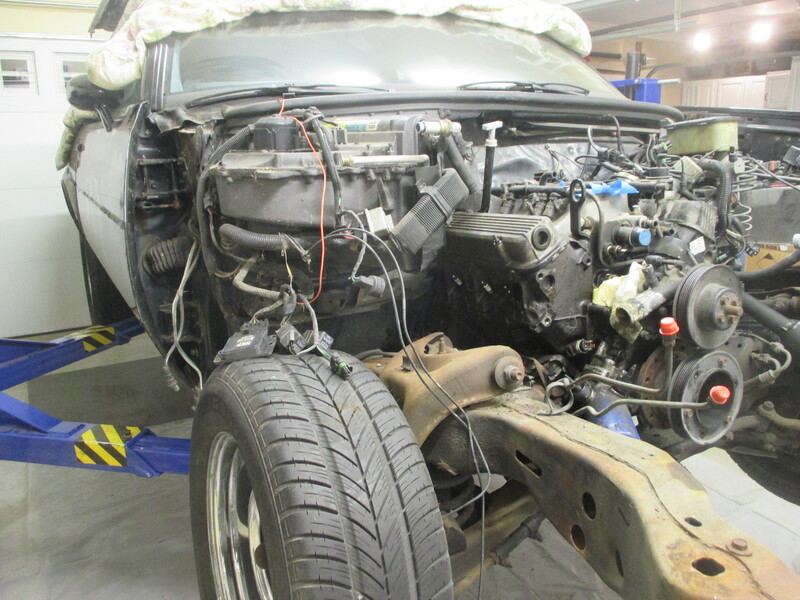 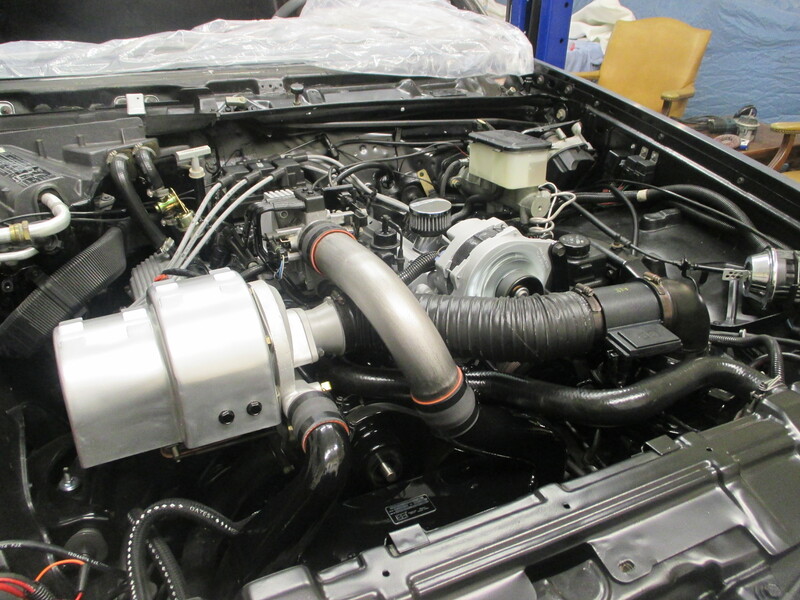 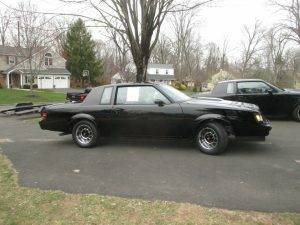 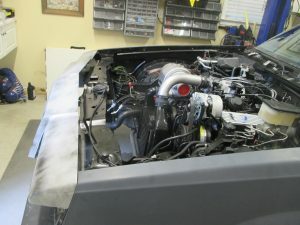 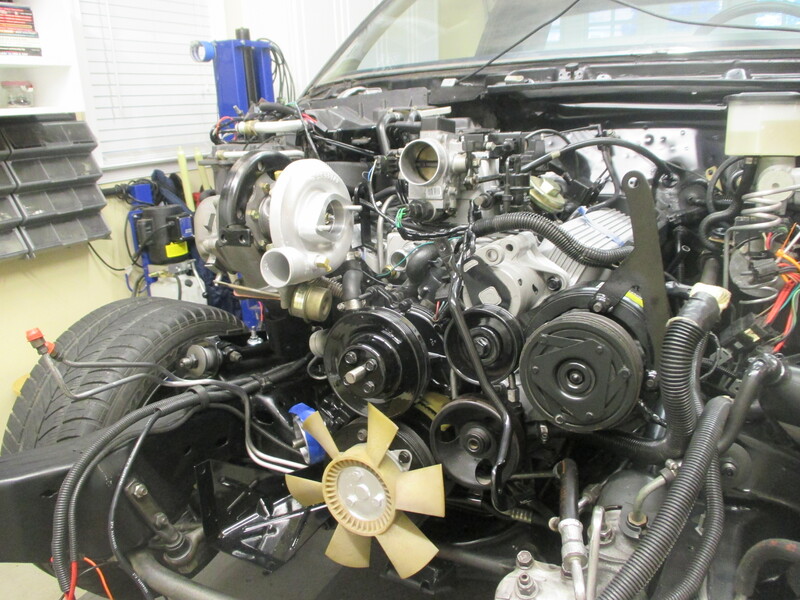 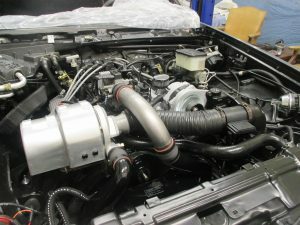 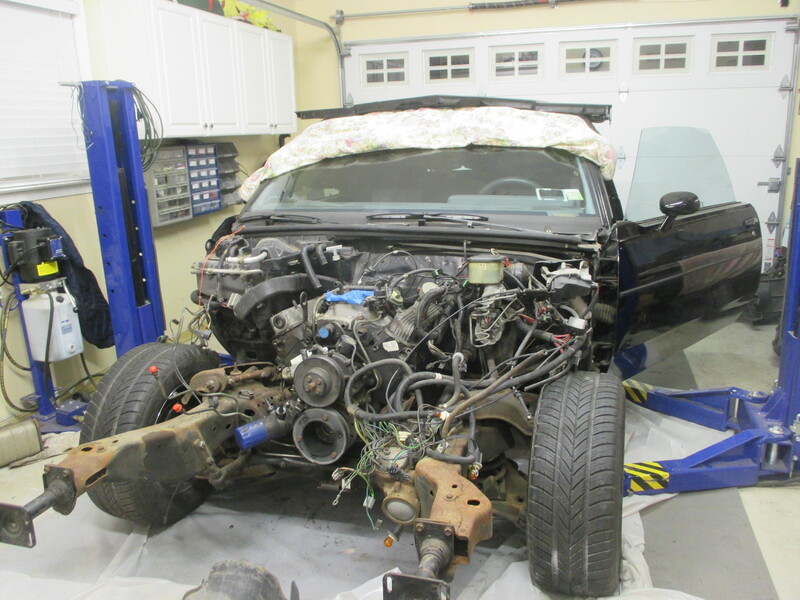 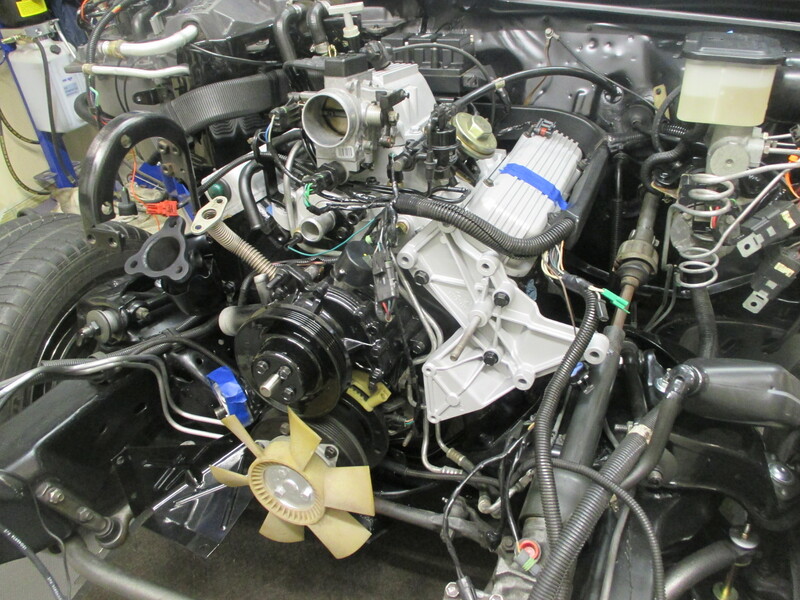 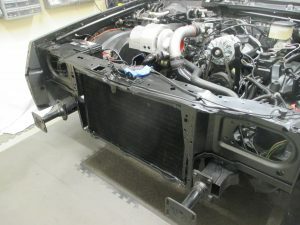 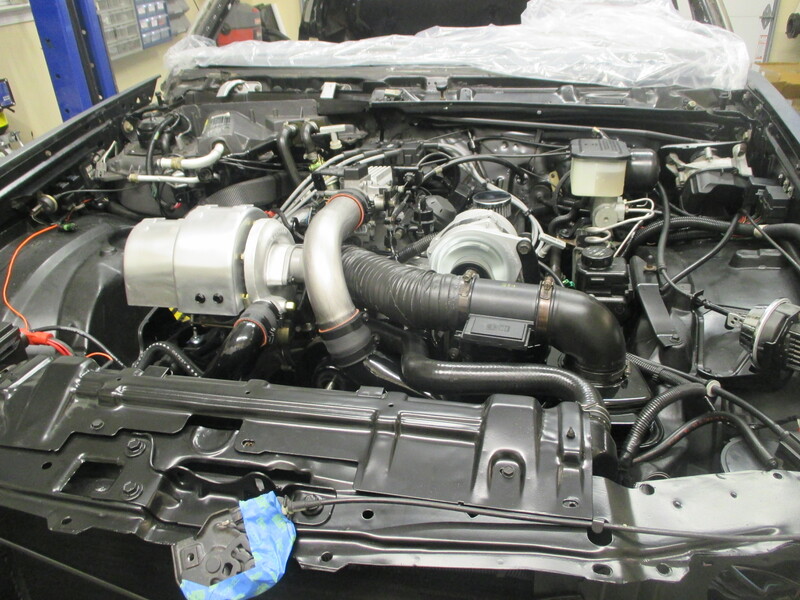 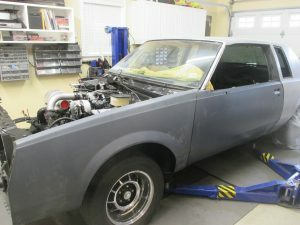 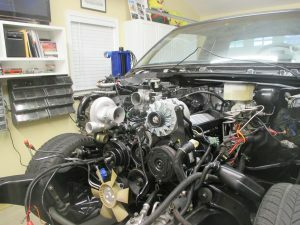 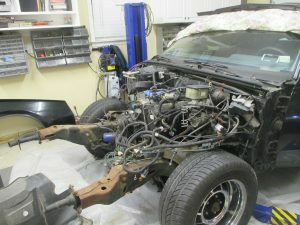 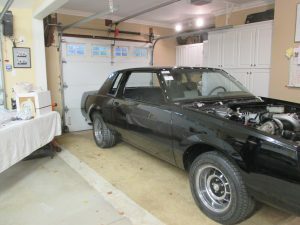 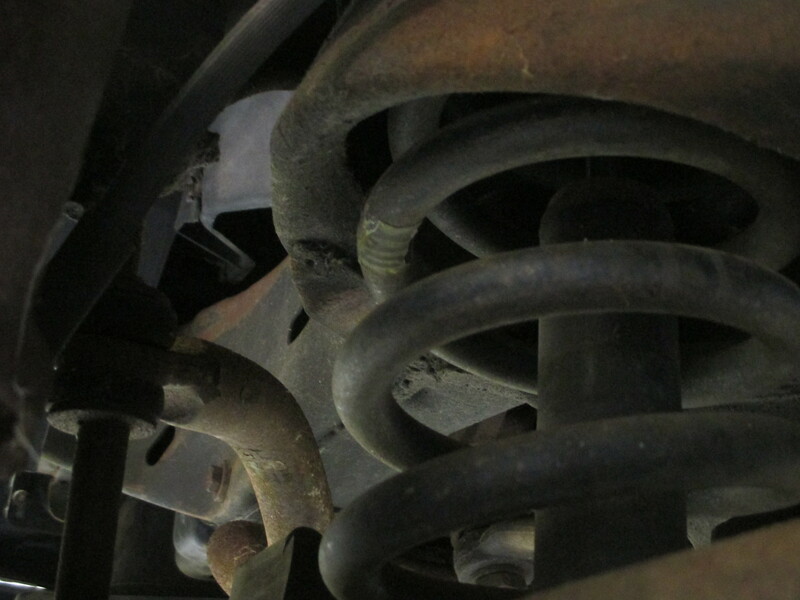 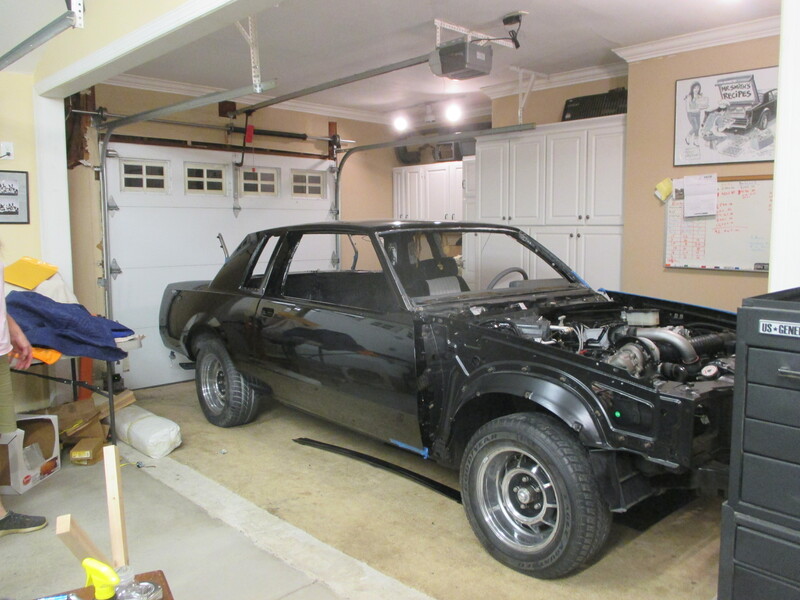 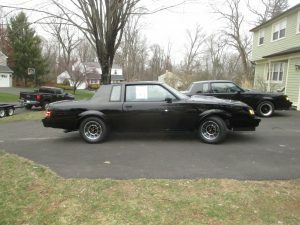 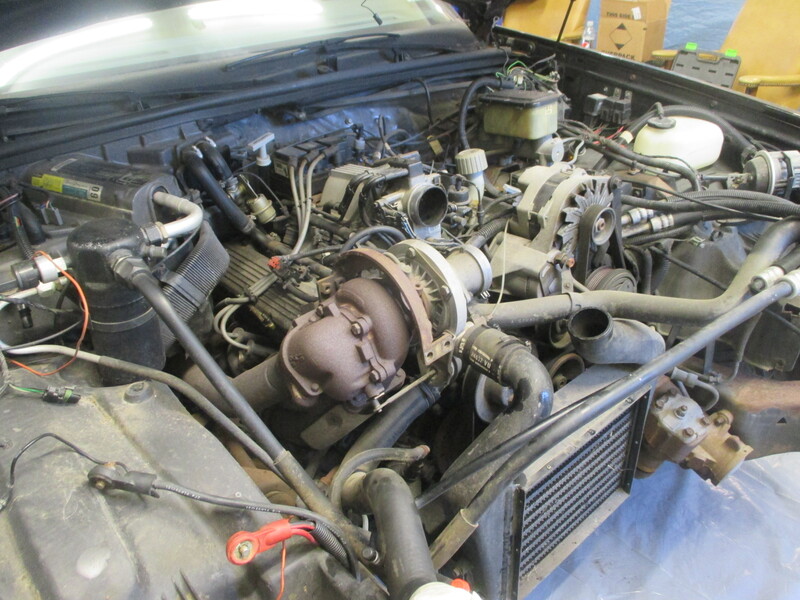 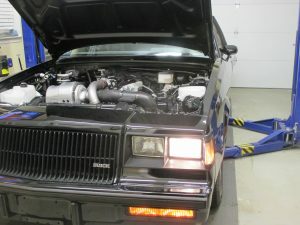 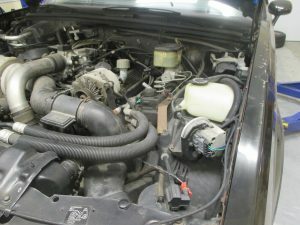 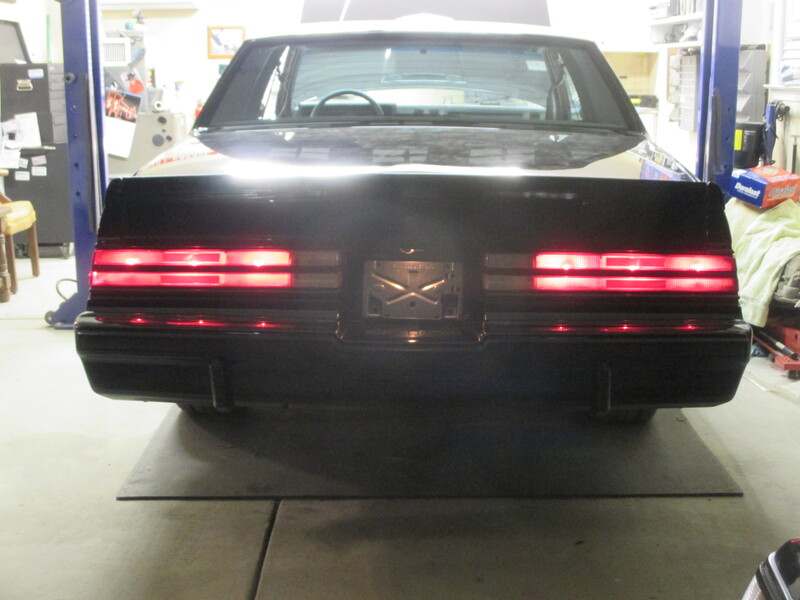 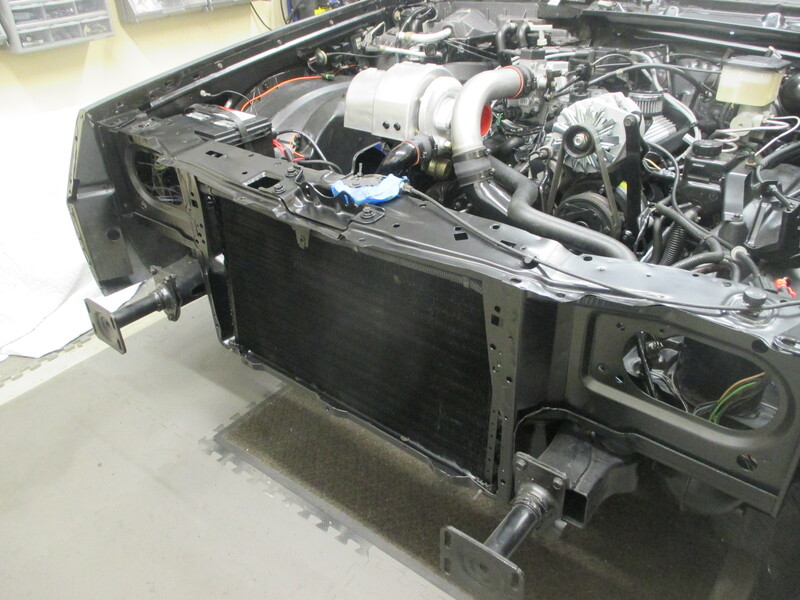 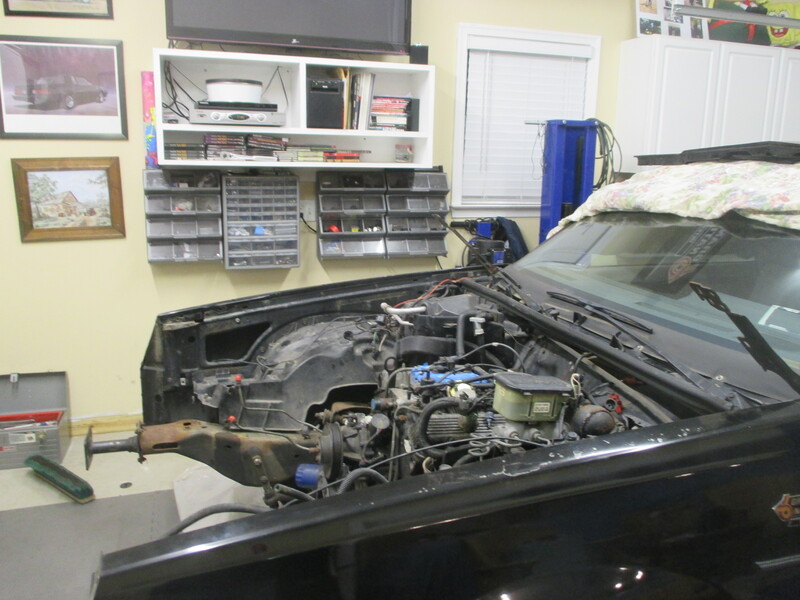 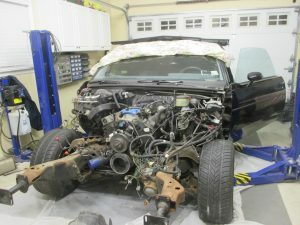 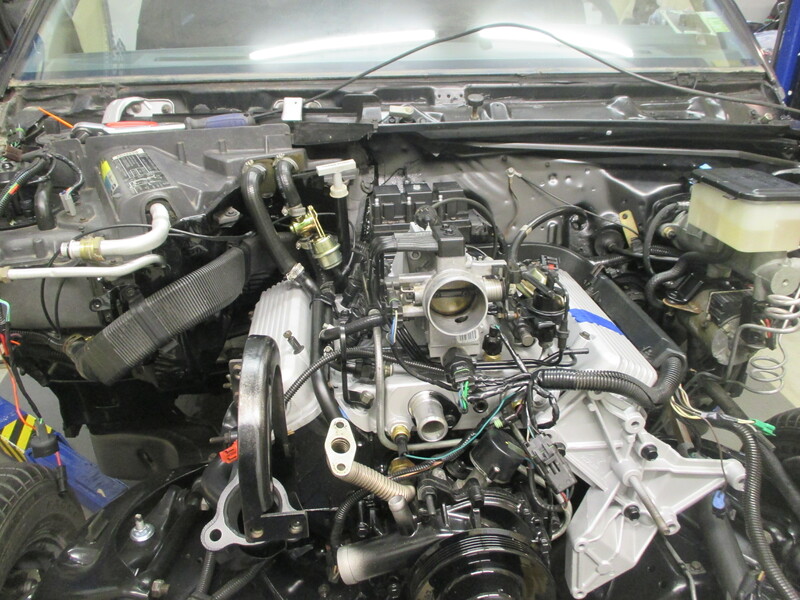 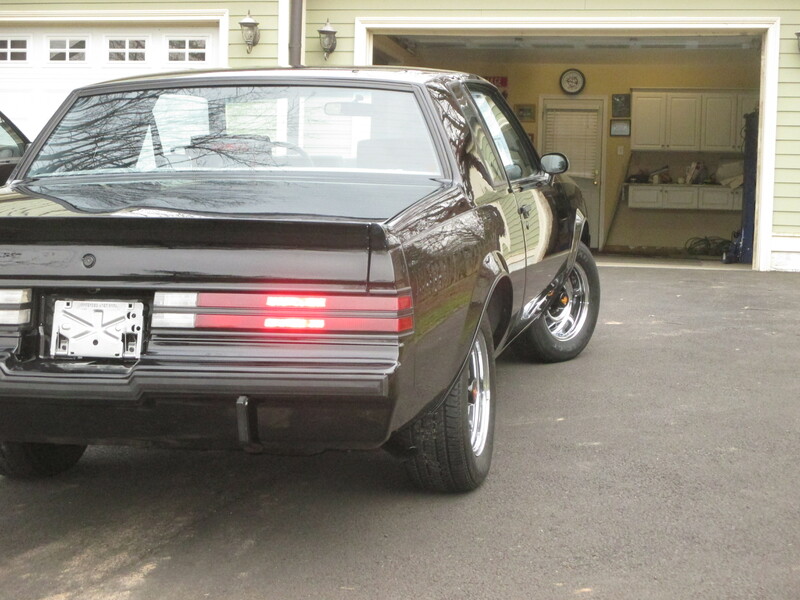 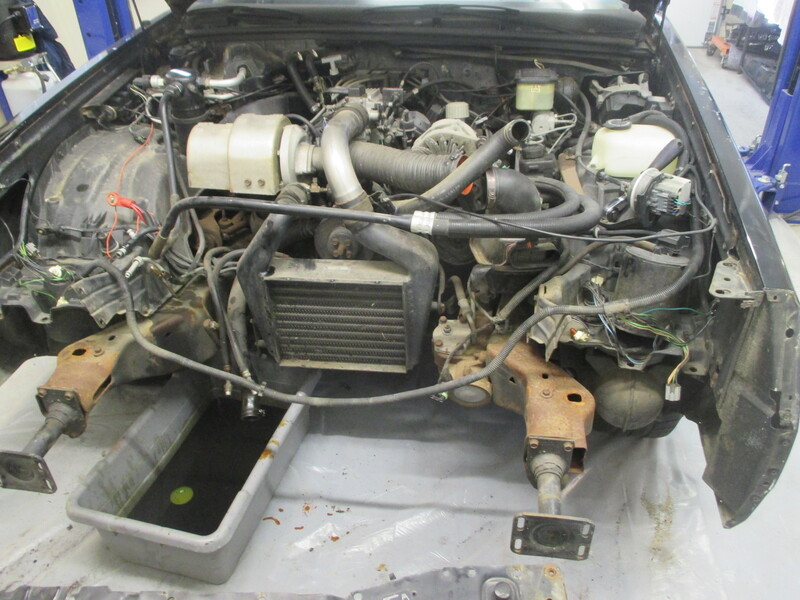 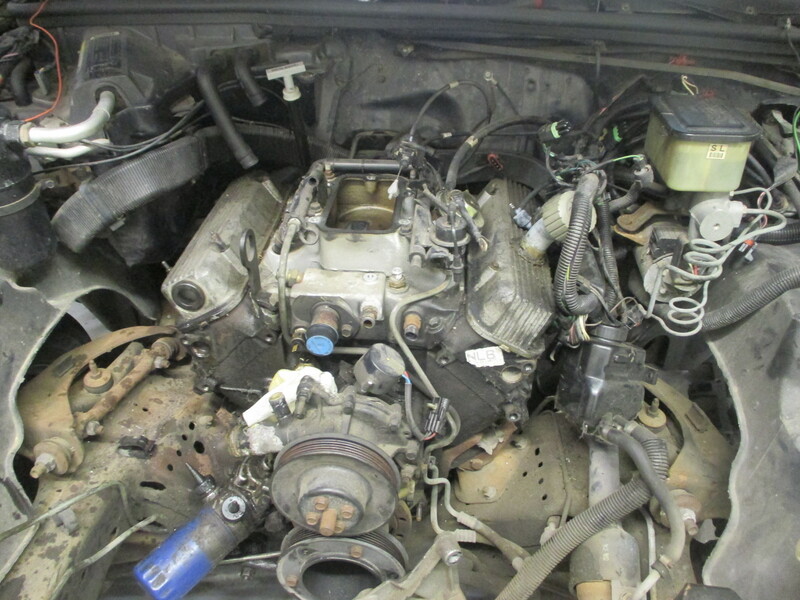 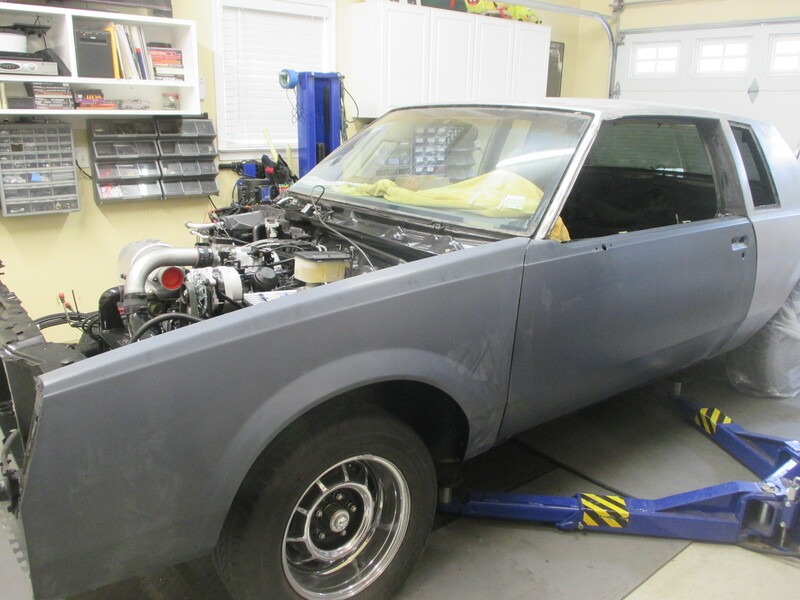 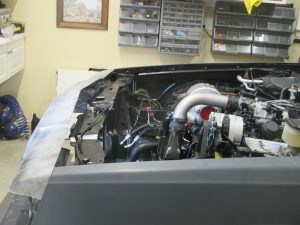 This is a challenging project as the car has low miles and was only titled once. 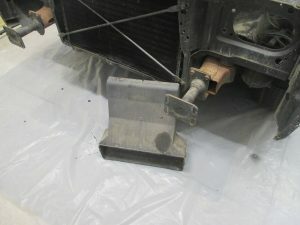 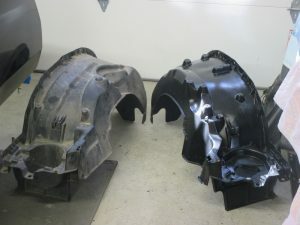 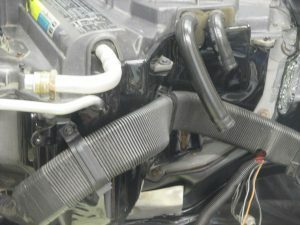 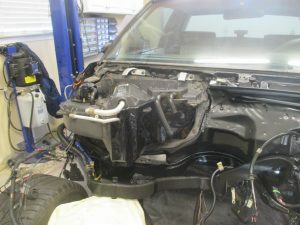 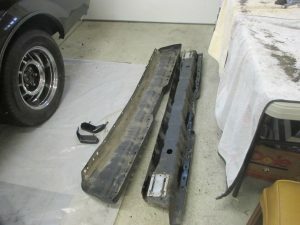 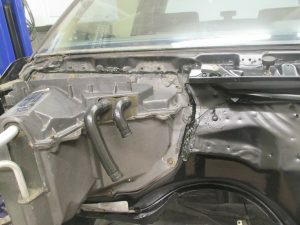 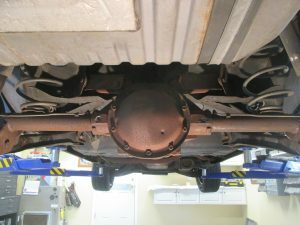 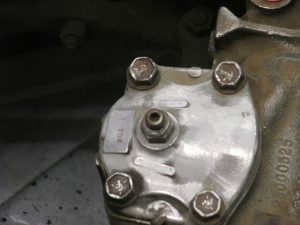 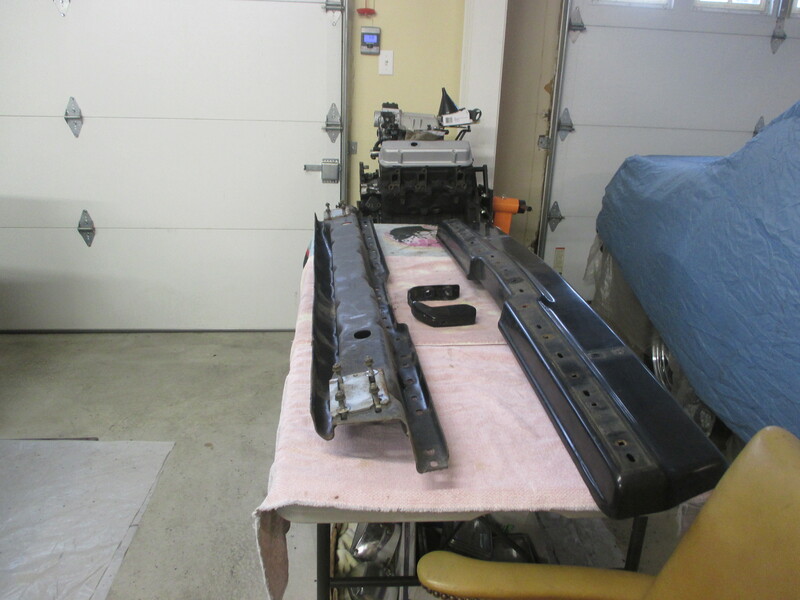 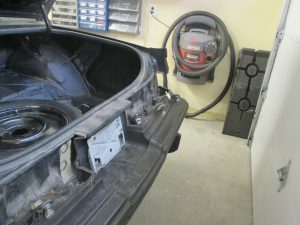 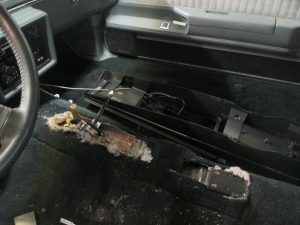 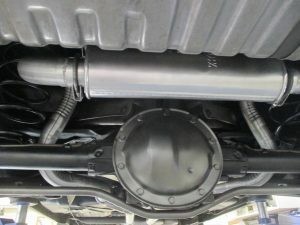 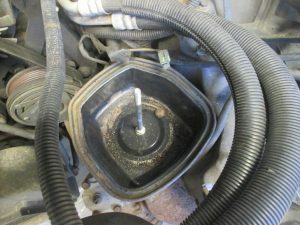 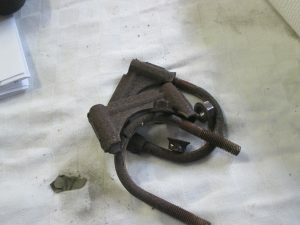 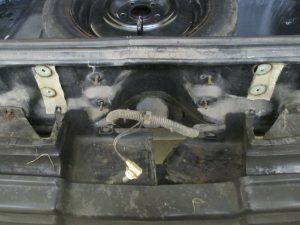 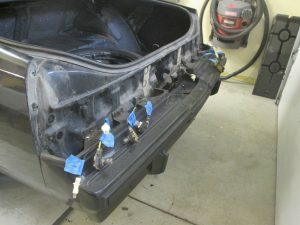 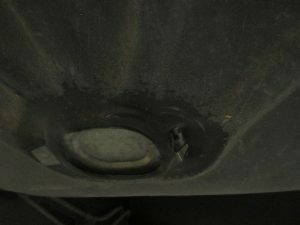 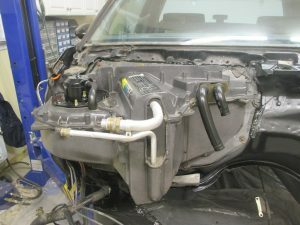 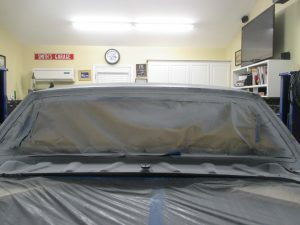 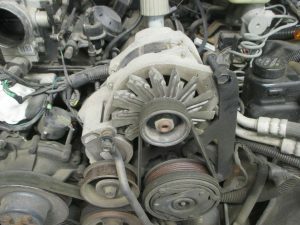 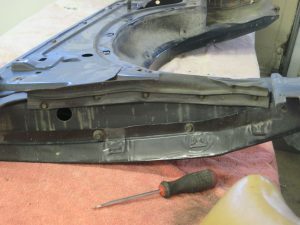 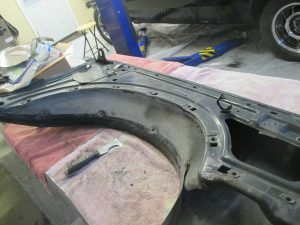 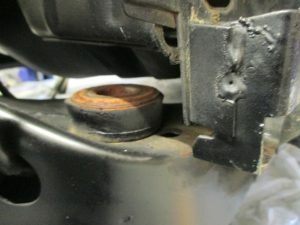 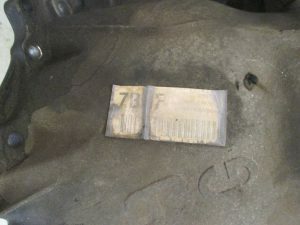 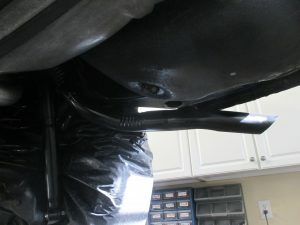 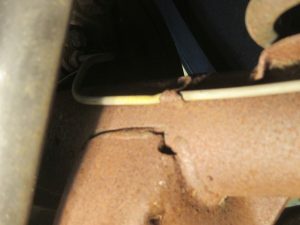 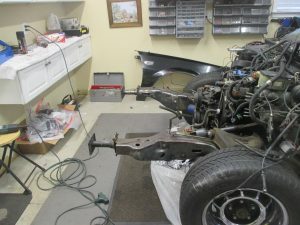 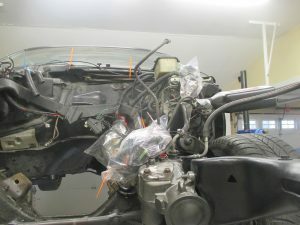 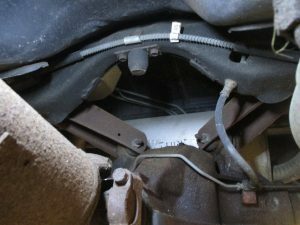 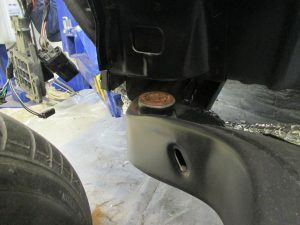 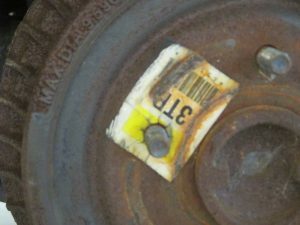 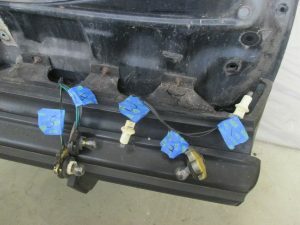 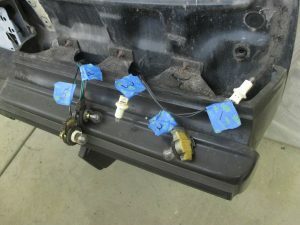 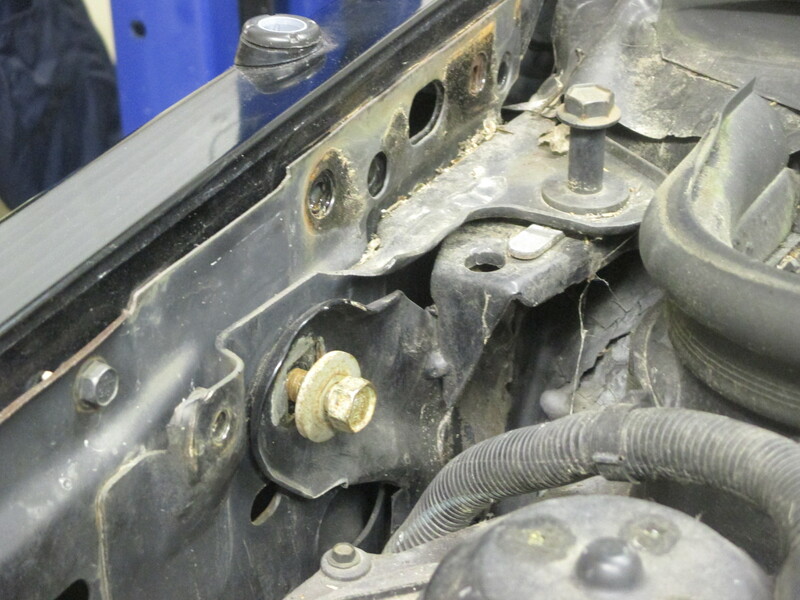 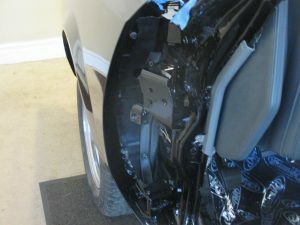 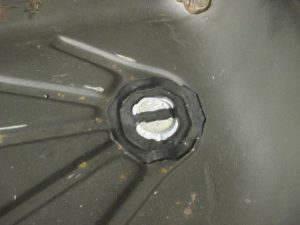 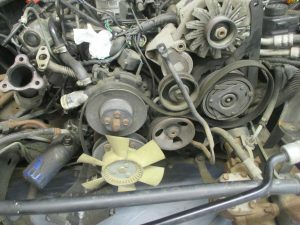 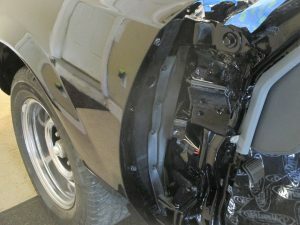 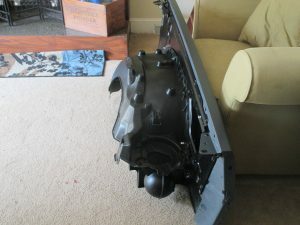 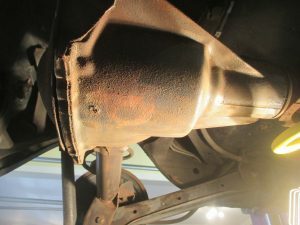 For this reason more effort is required to save and work around the parts of the vehicle that have been preserved. 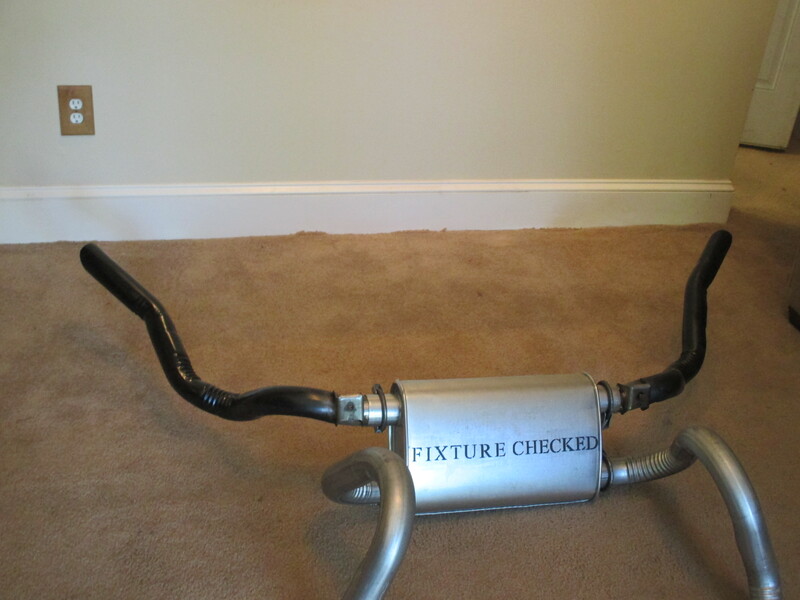 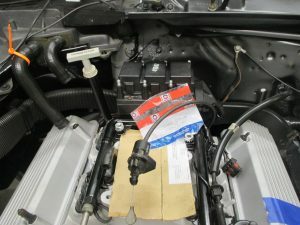 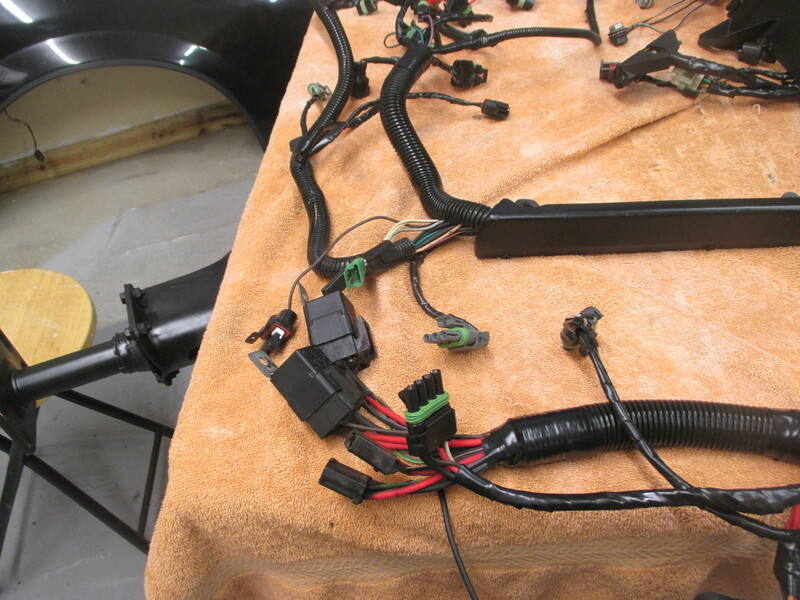 This includes many parts, inspection marks and tags from the assembly line. 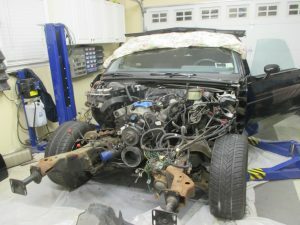 After being driven for only 18,938 miles the car was parked and was discovered in a field in February, 2017. 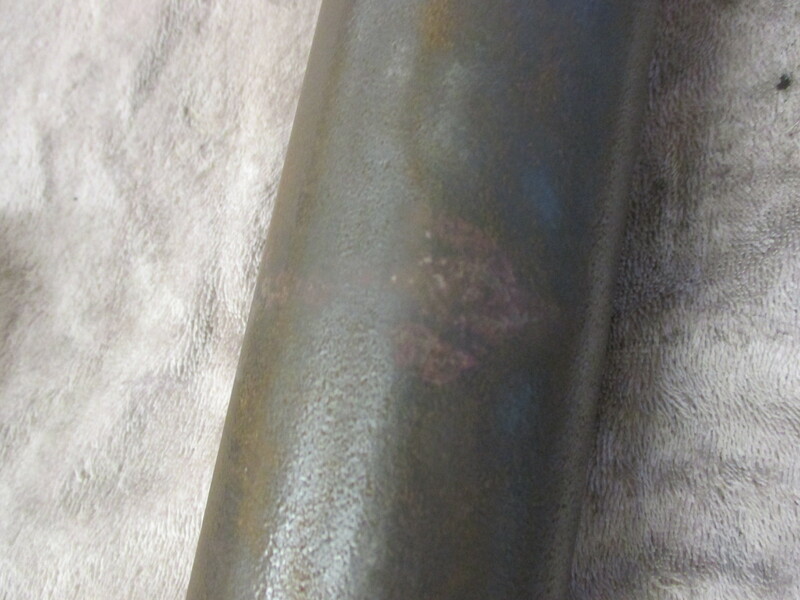 Our research continues on this find and information will be updated, as it becomes available. 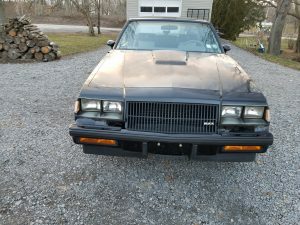 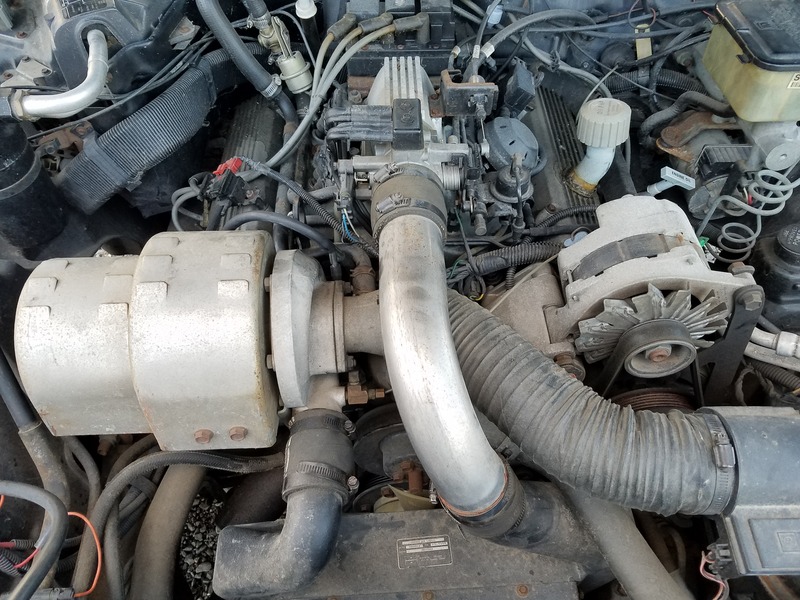 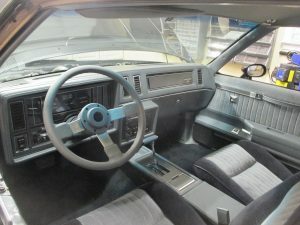 Vehicle also comes with original owner’s manual, tire and vehicle warranty book as well as maintenance book, AC Delco radio instruction book, original 1987 sales brochures and a copy of the original dealer invoice. 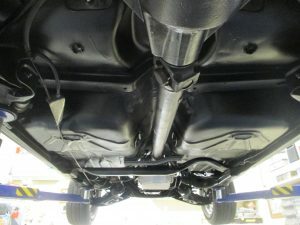 Body lifted off vehicle. Frame was stripped and painted. 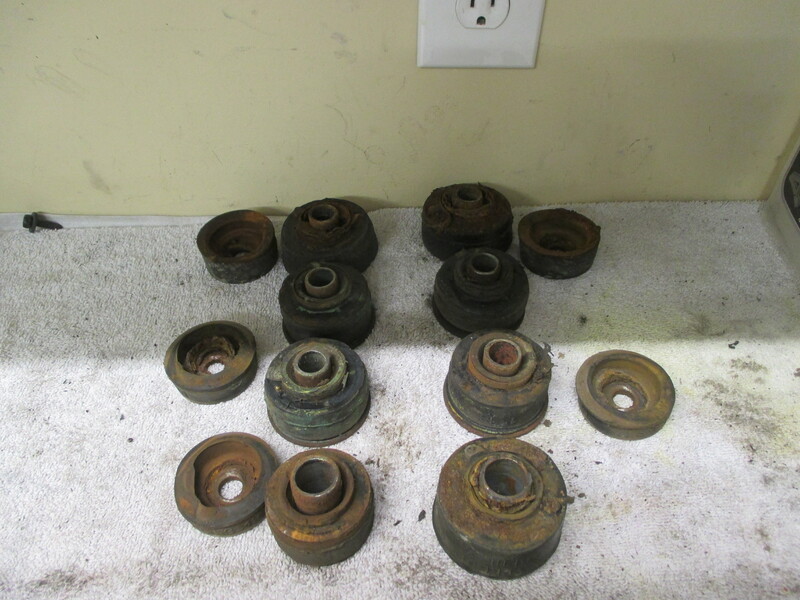 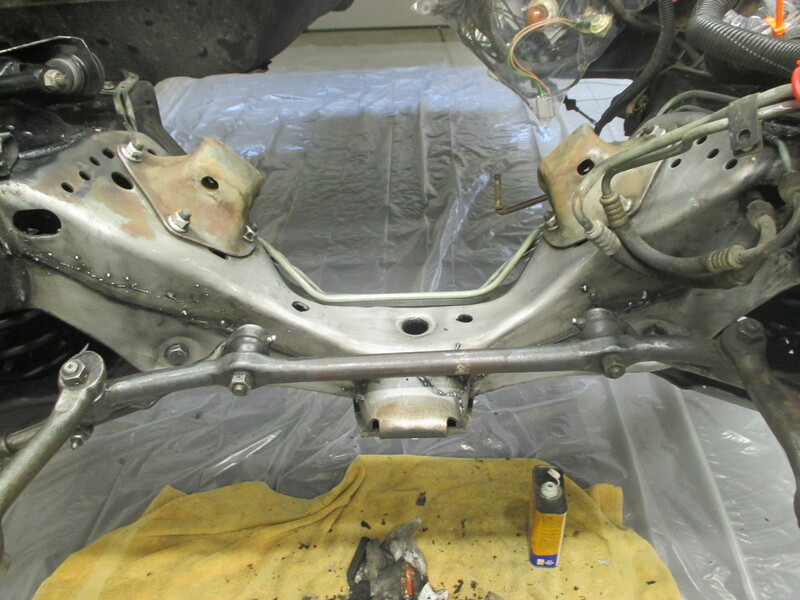 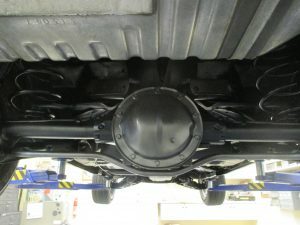 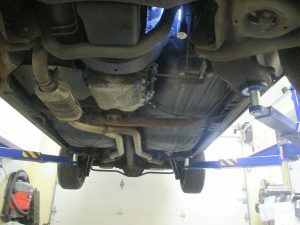 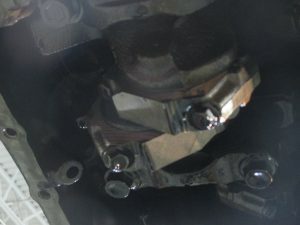 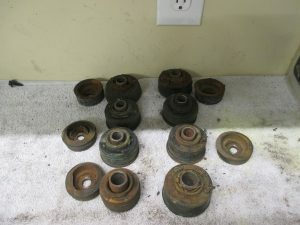 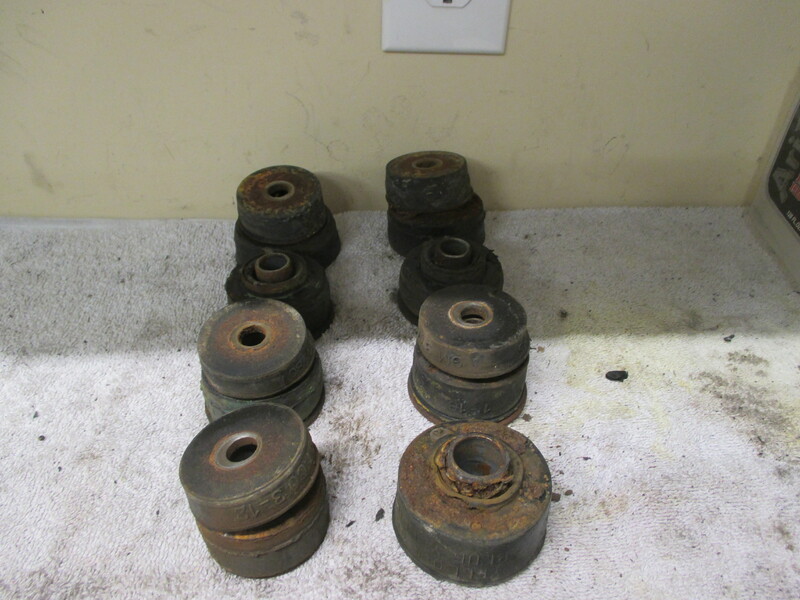 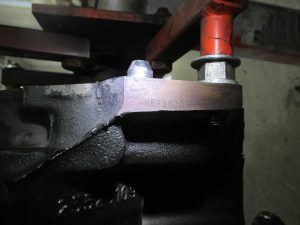 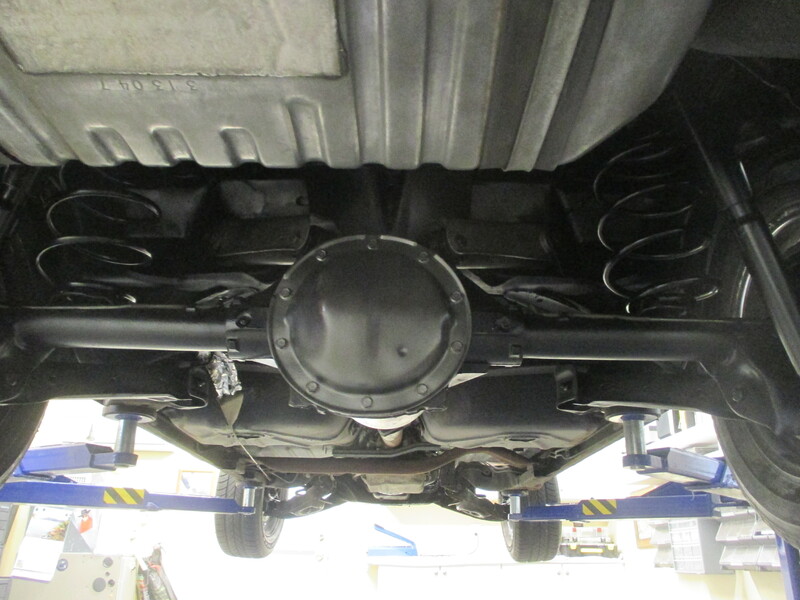 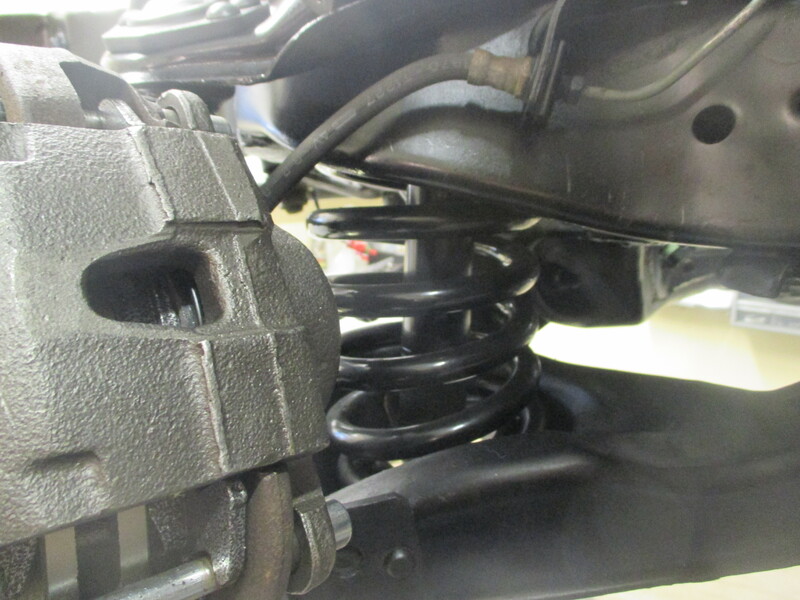 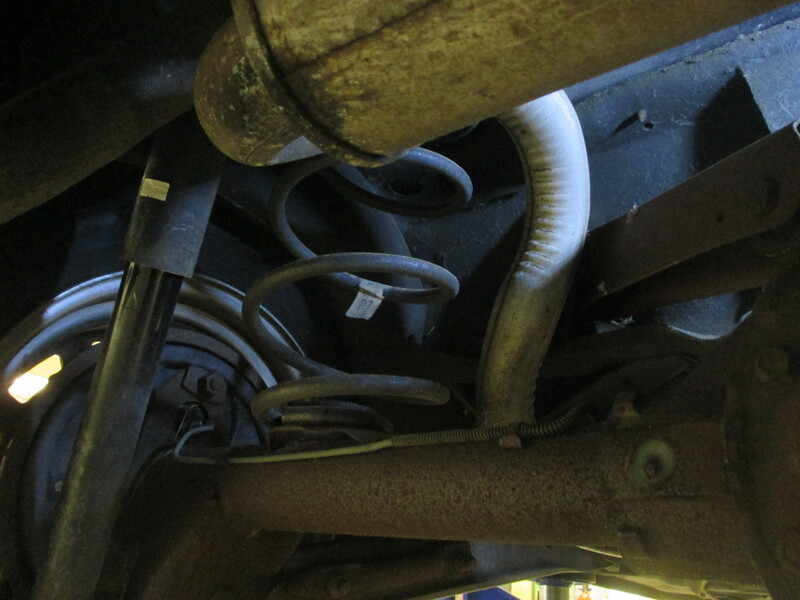 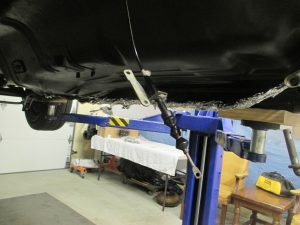 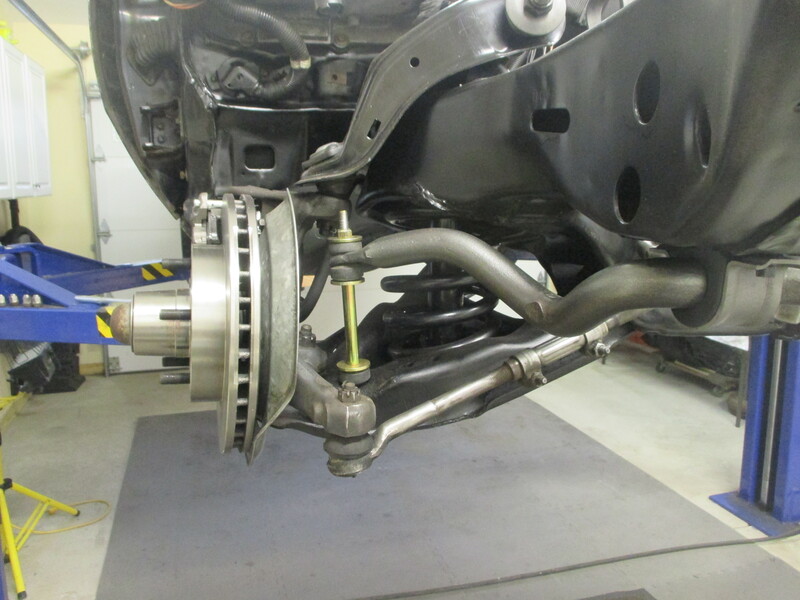 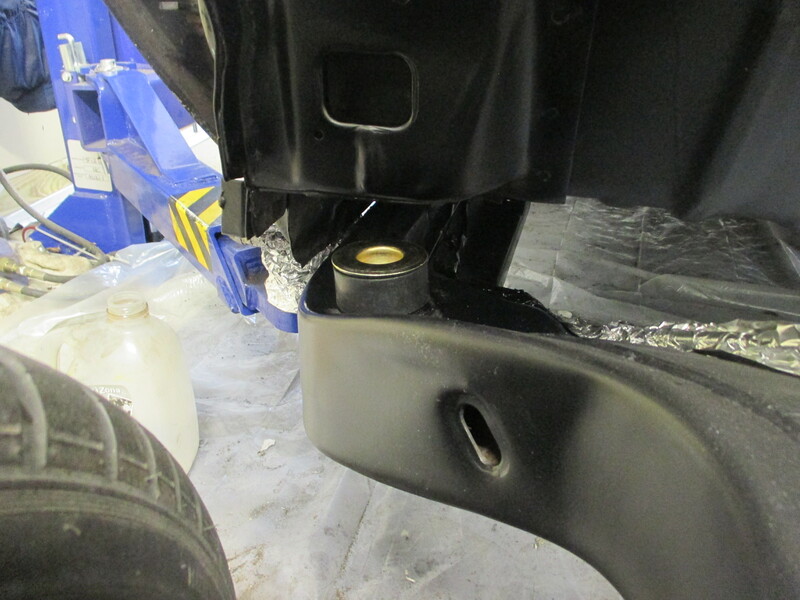 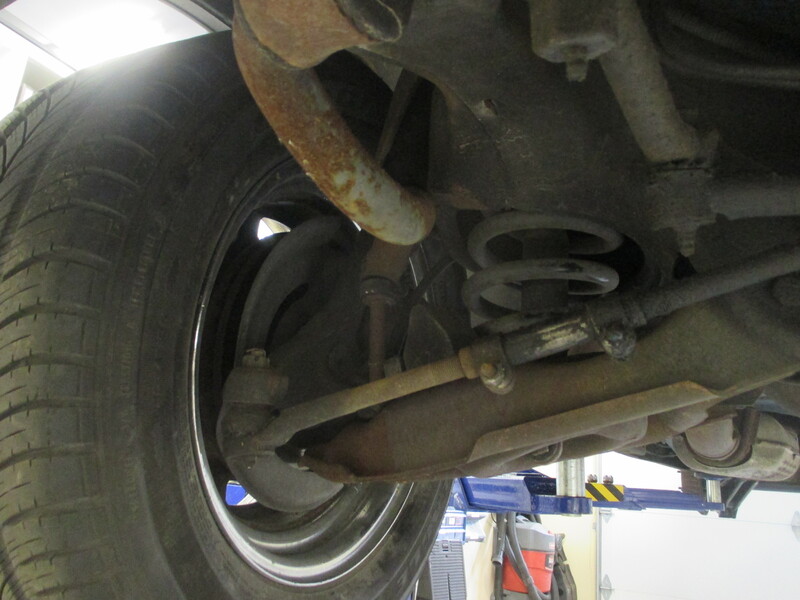 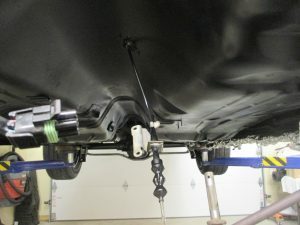 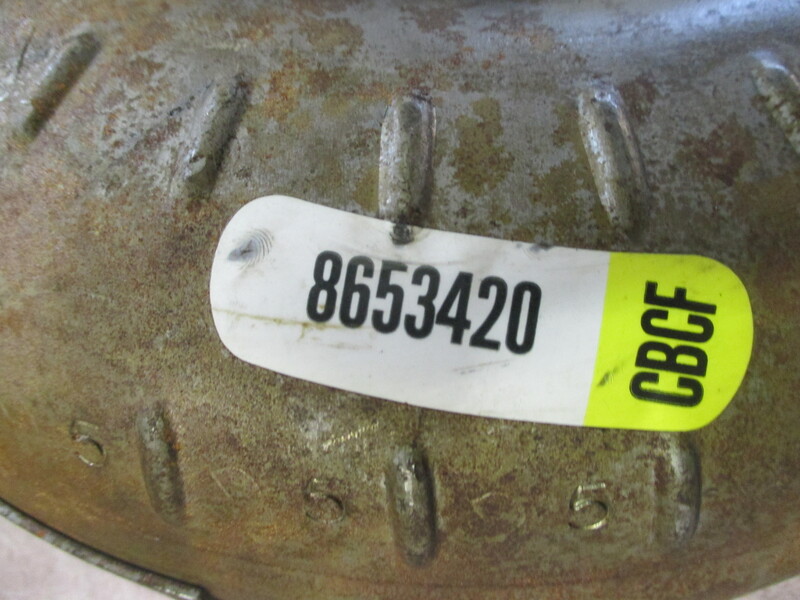 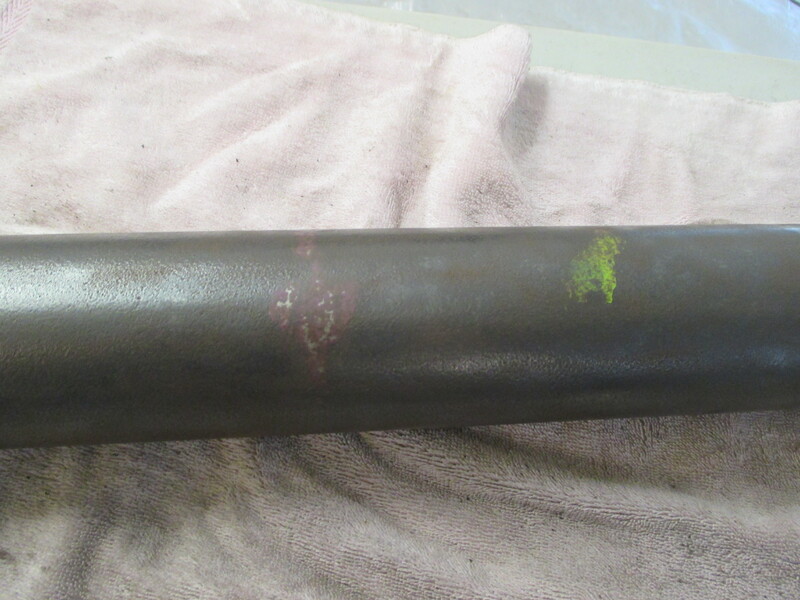 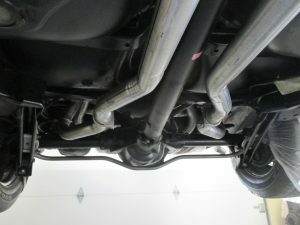 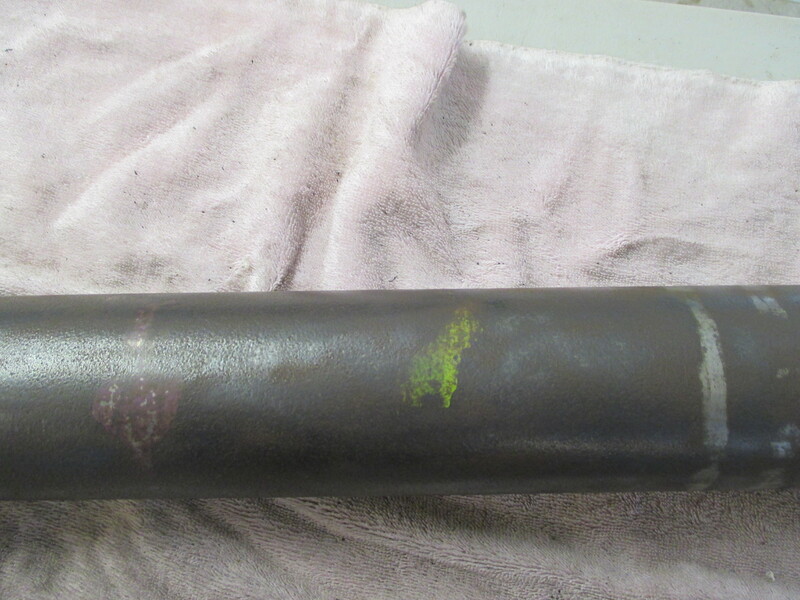 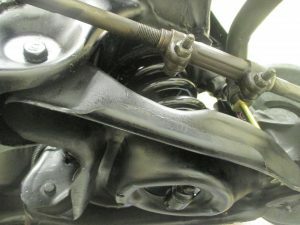 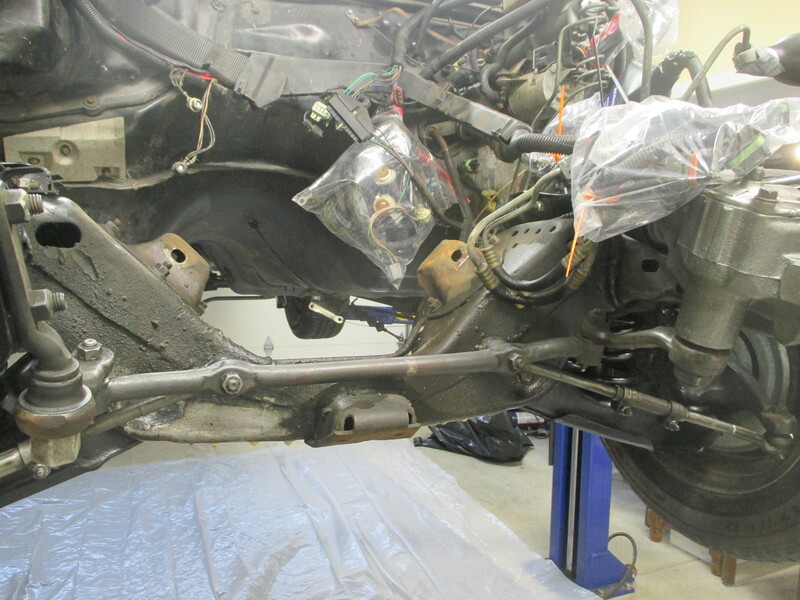 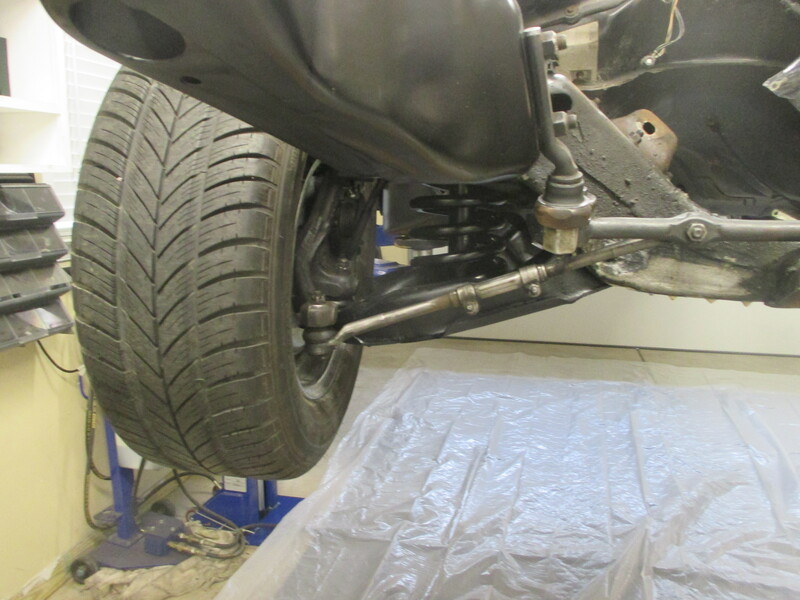 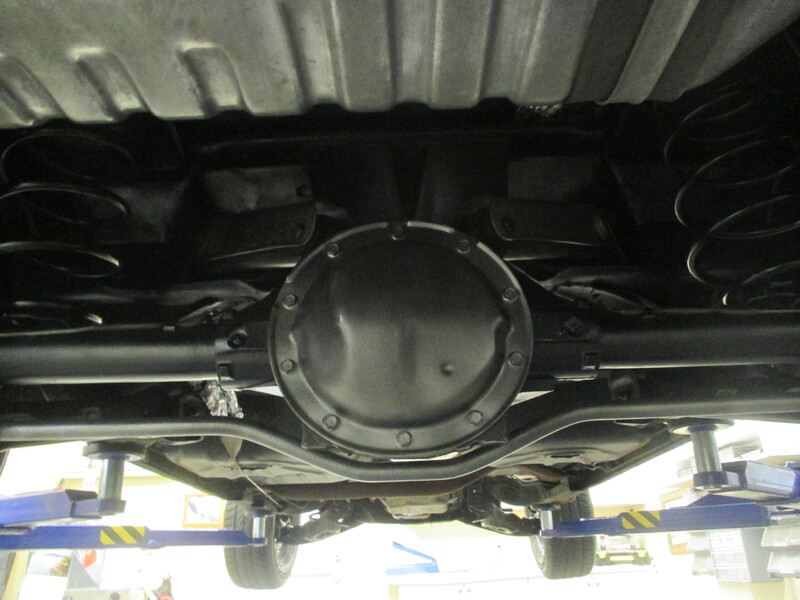 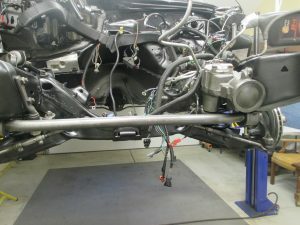 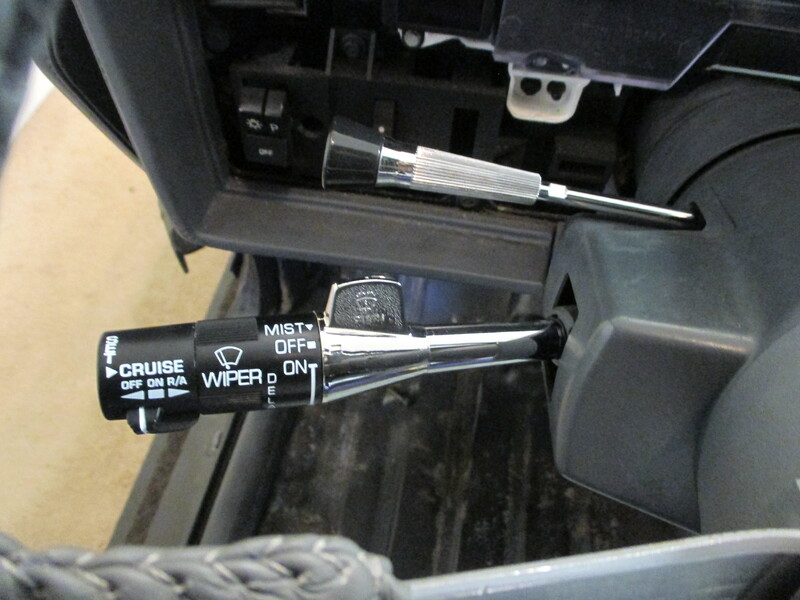 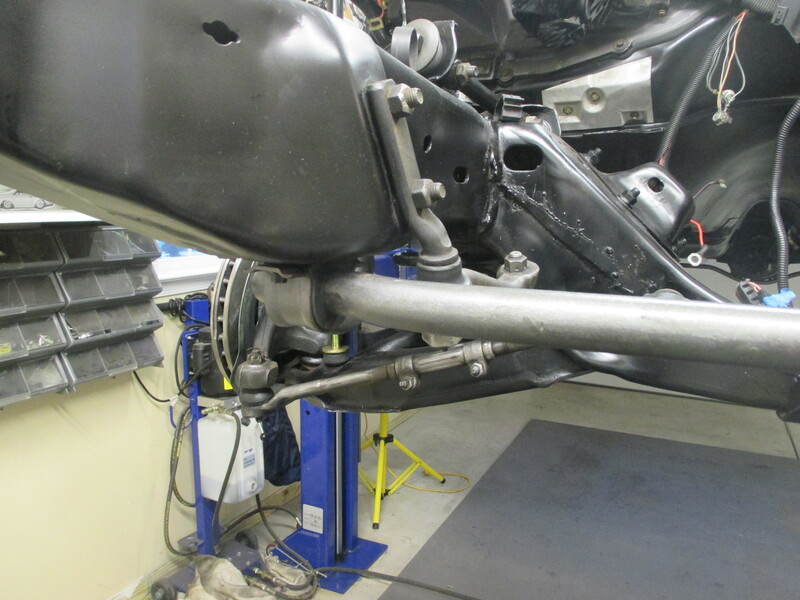 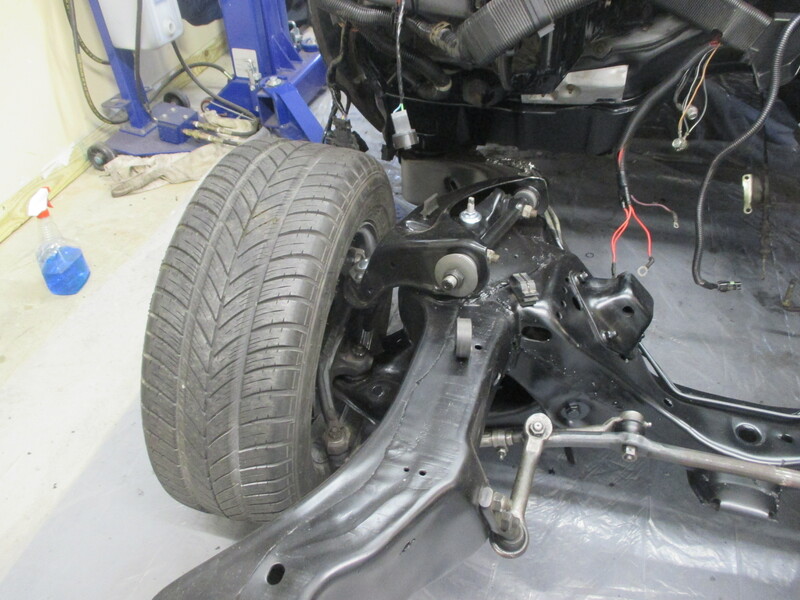 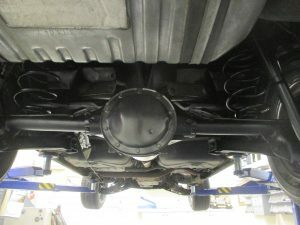 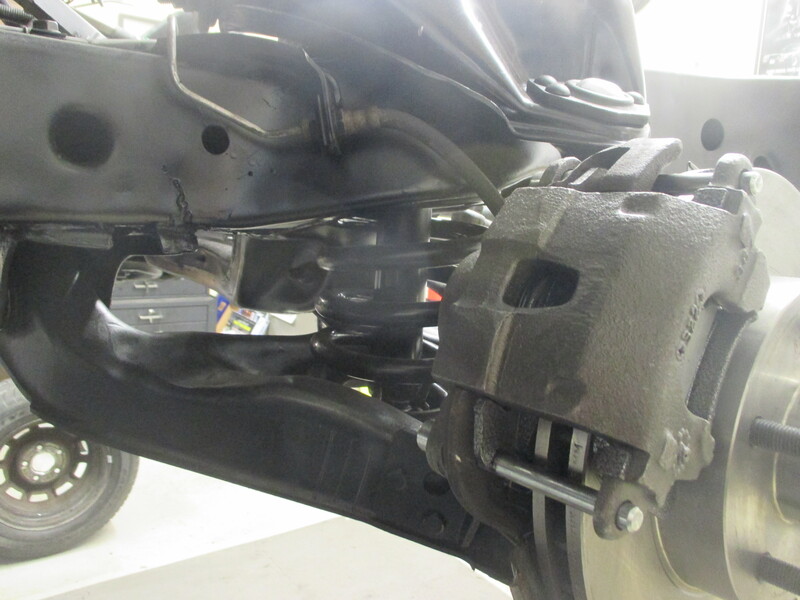 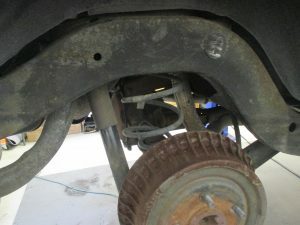 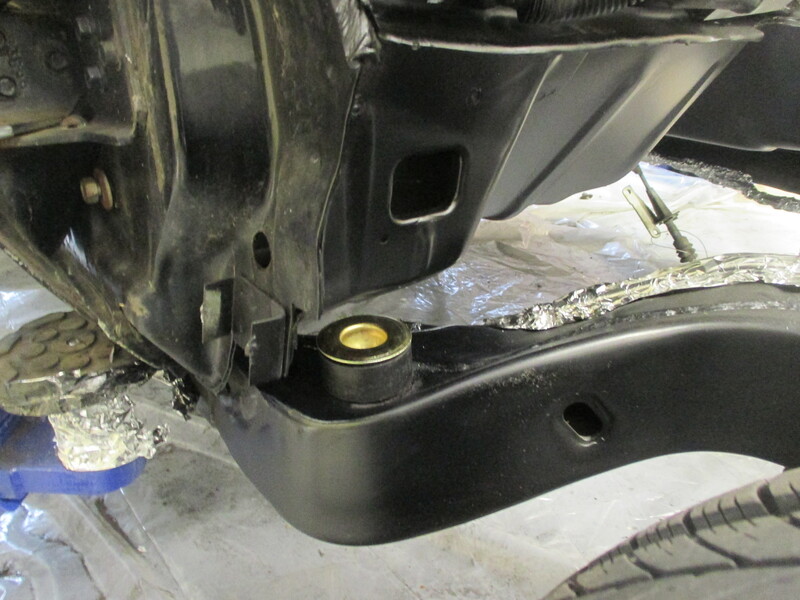 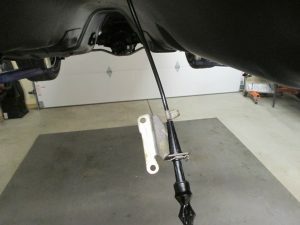 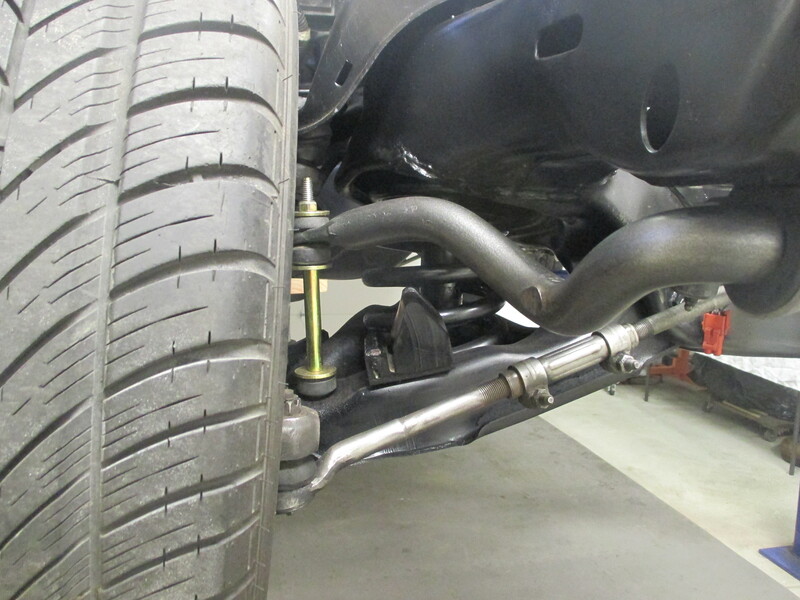 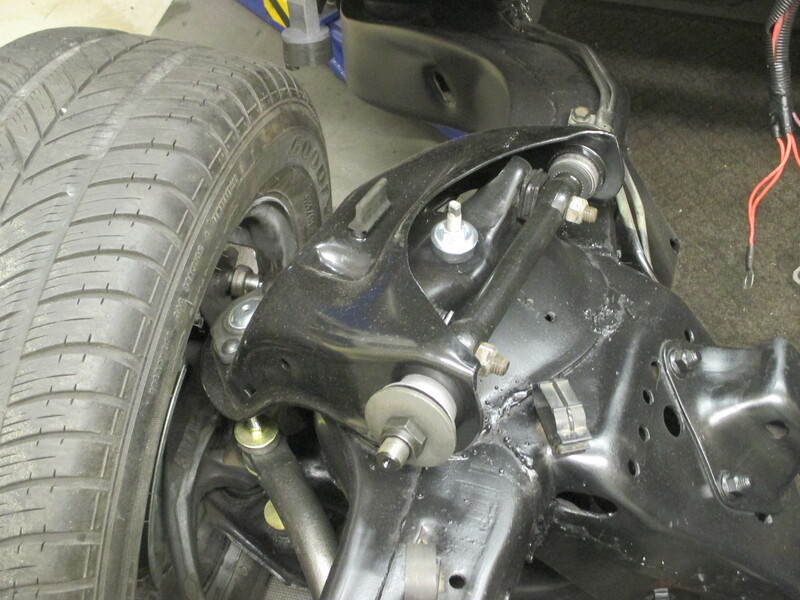 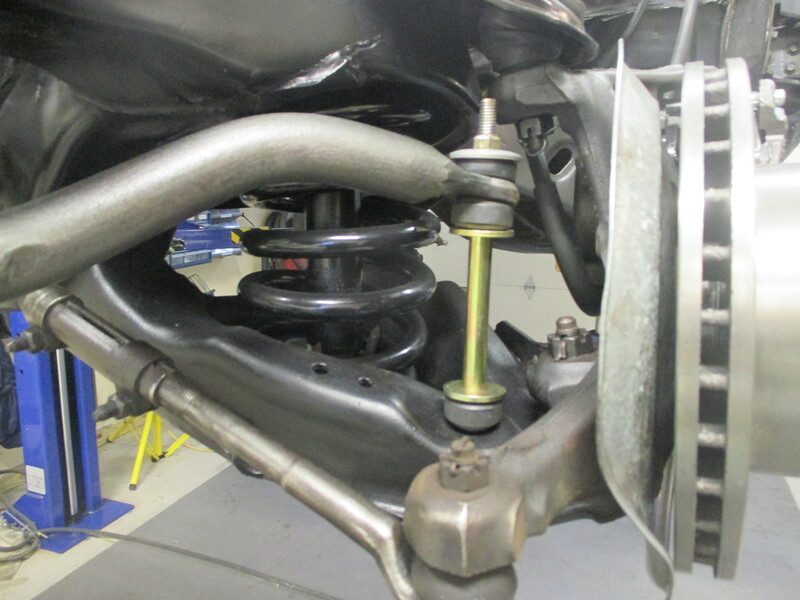 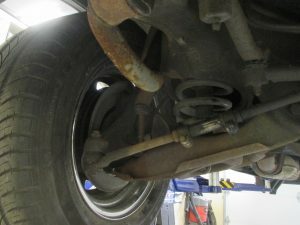 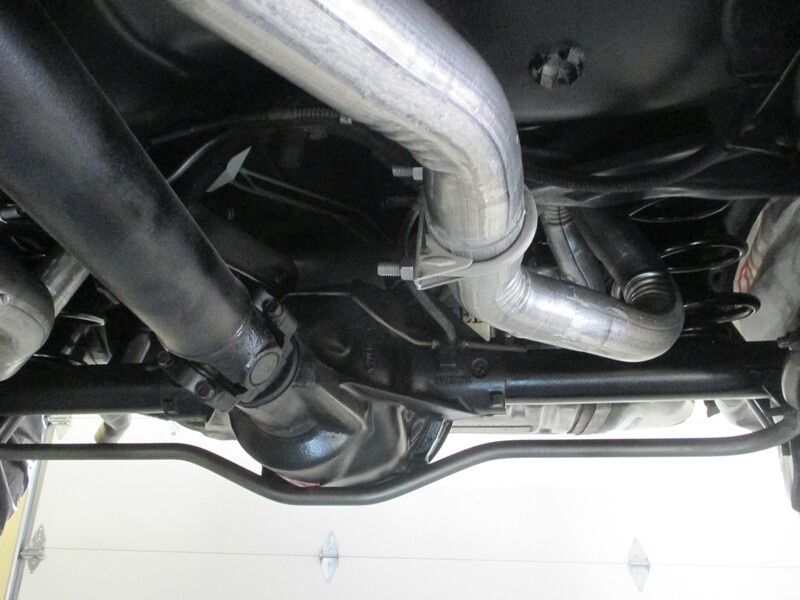 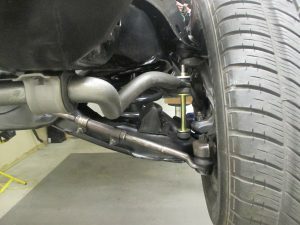 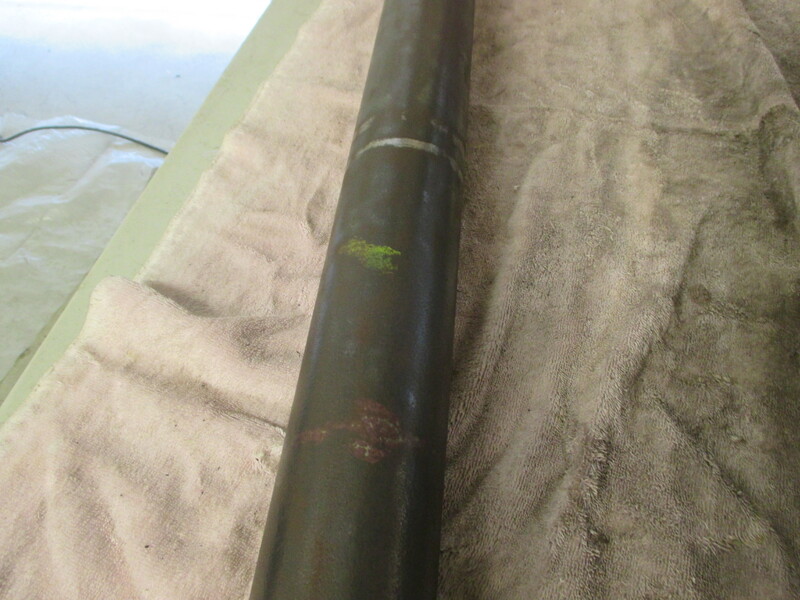 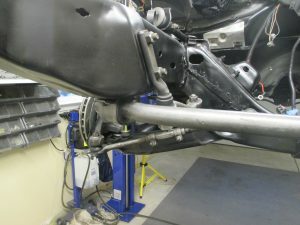 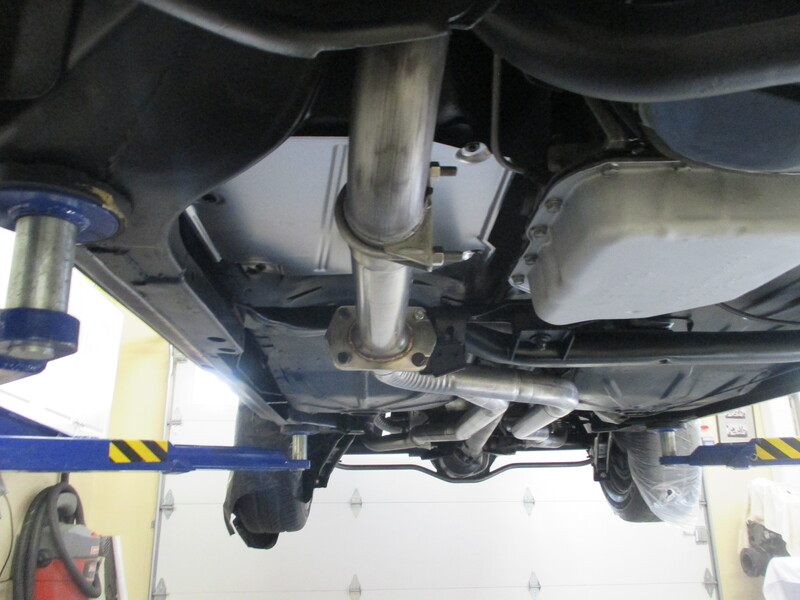 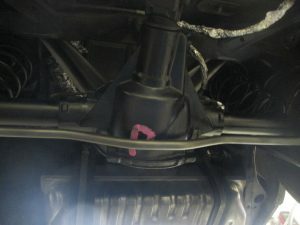 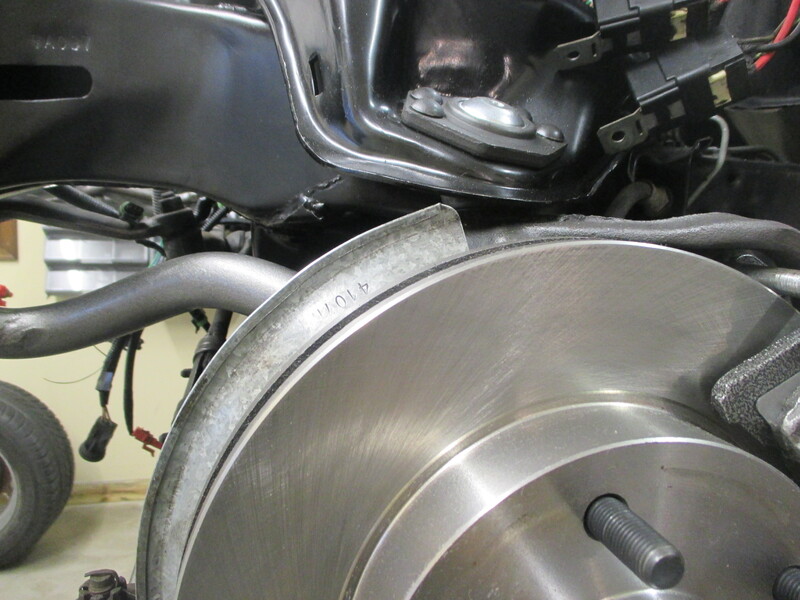 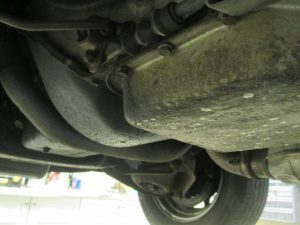 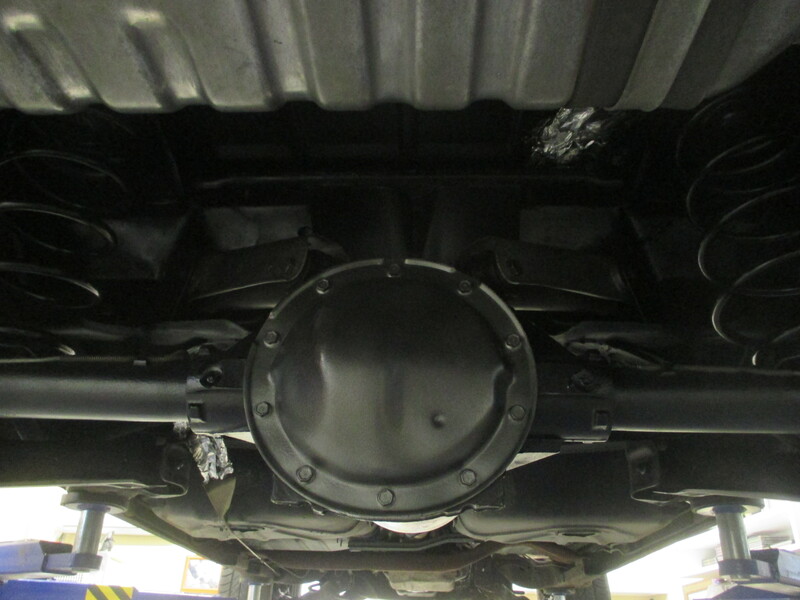 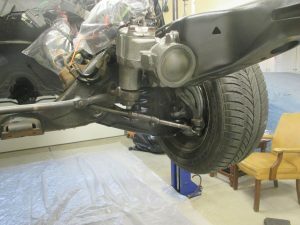 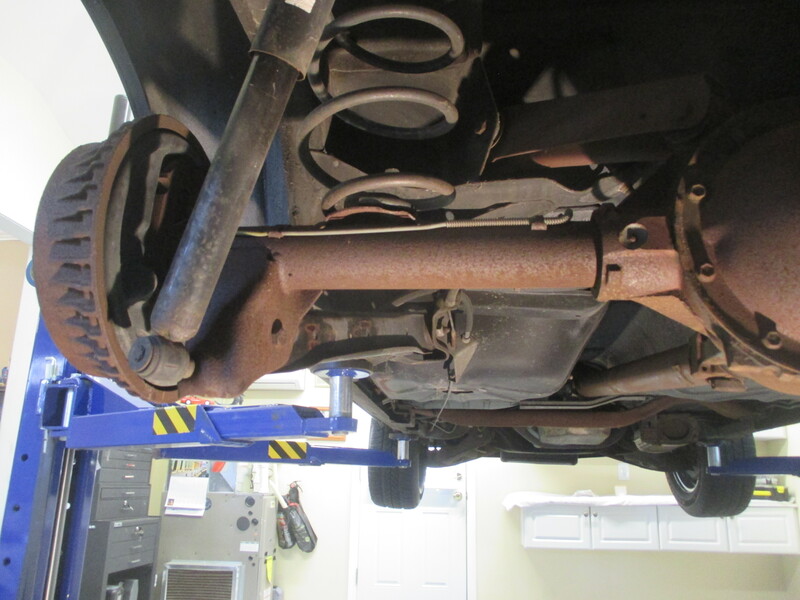 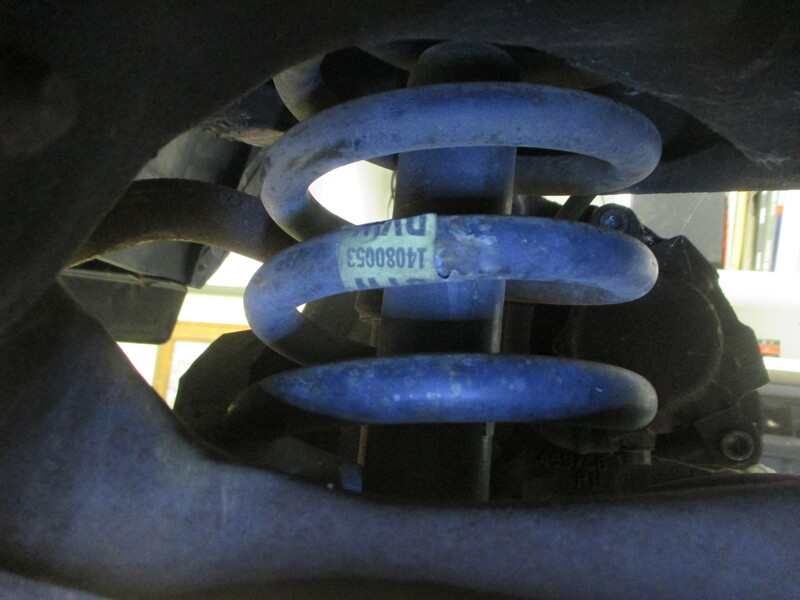 Every effort was made to replace all of the factory markings on the driveshaft, differential, control arms etc. 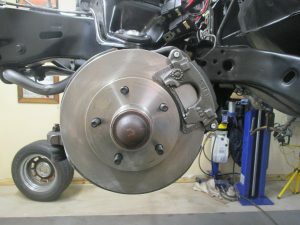 New brakes, new calipers, rotors, drums and pads. 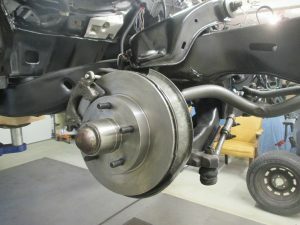 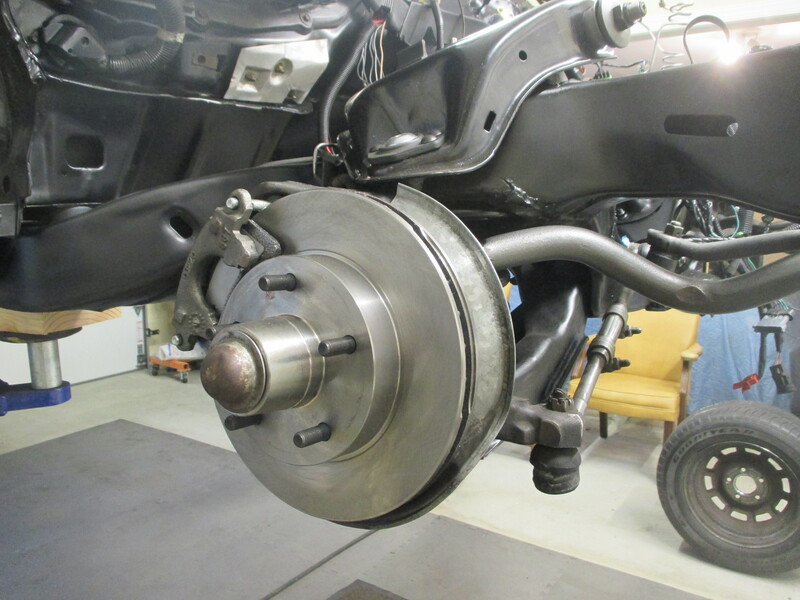 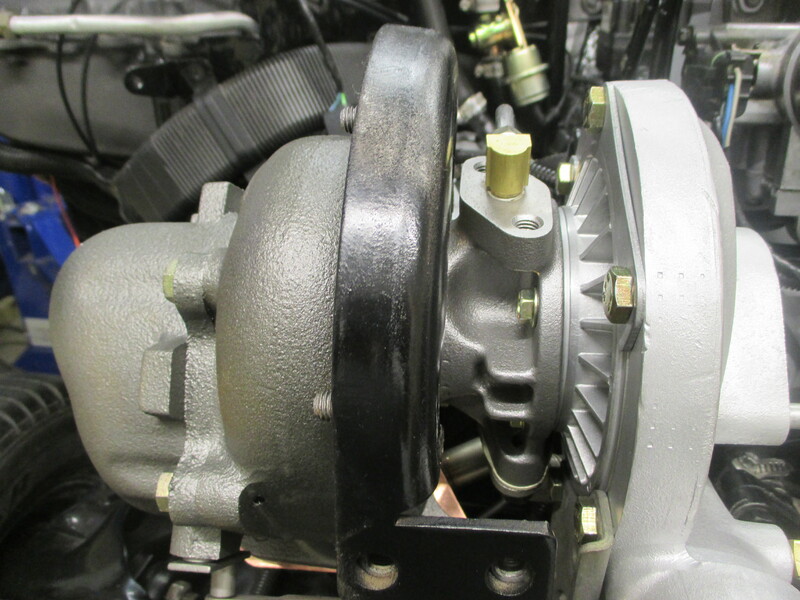 Completely rebuilt Power master brake system done by Richard Clarke. 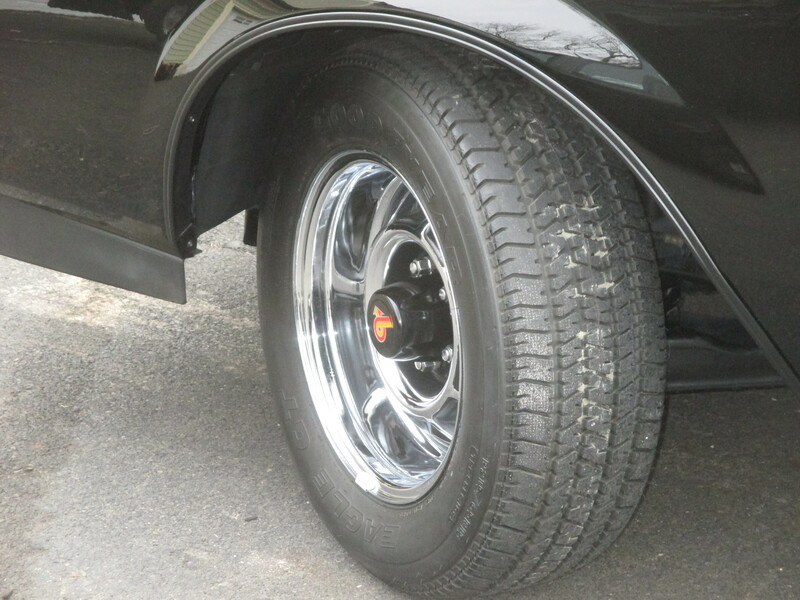 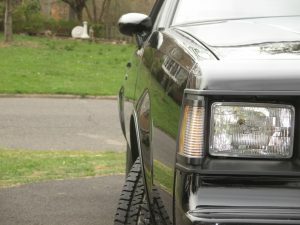 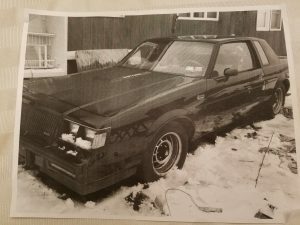 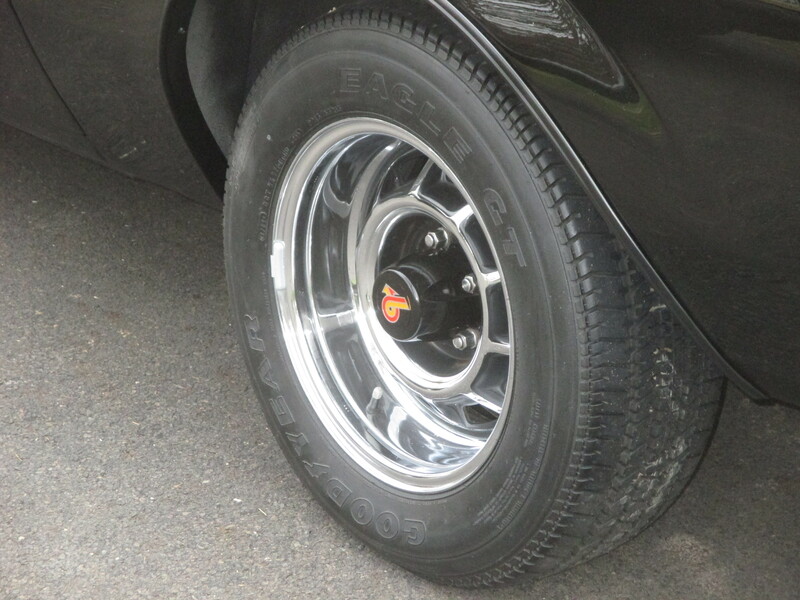 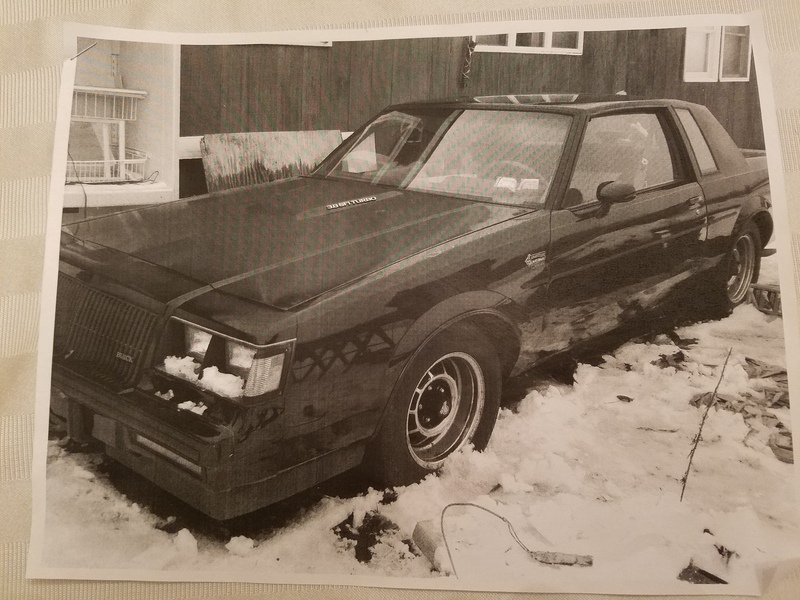 Original like new factory Grand National rims with NOS center caps and lug nuts. 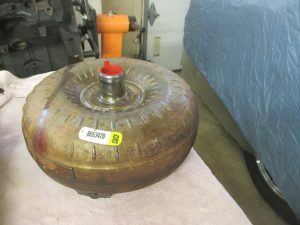 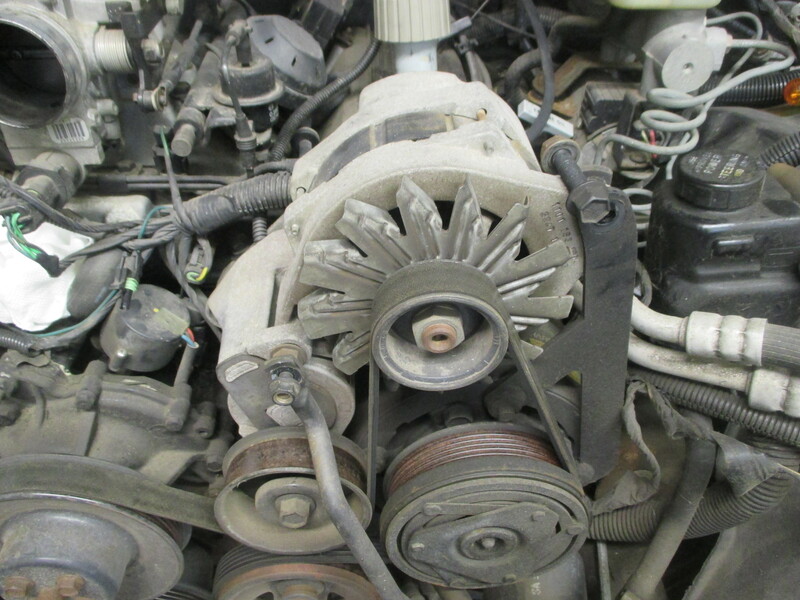 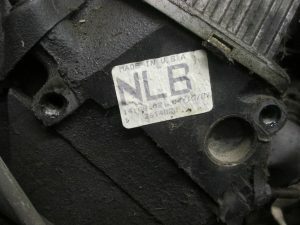 This is an 18,000 original mile motor. 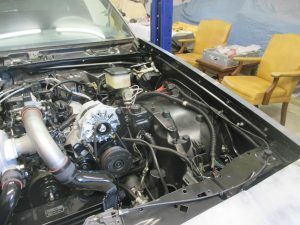 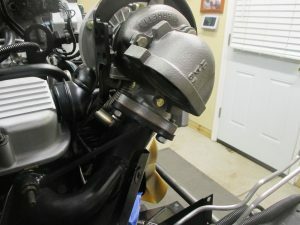 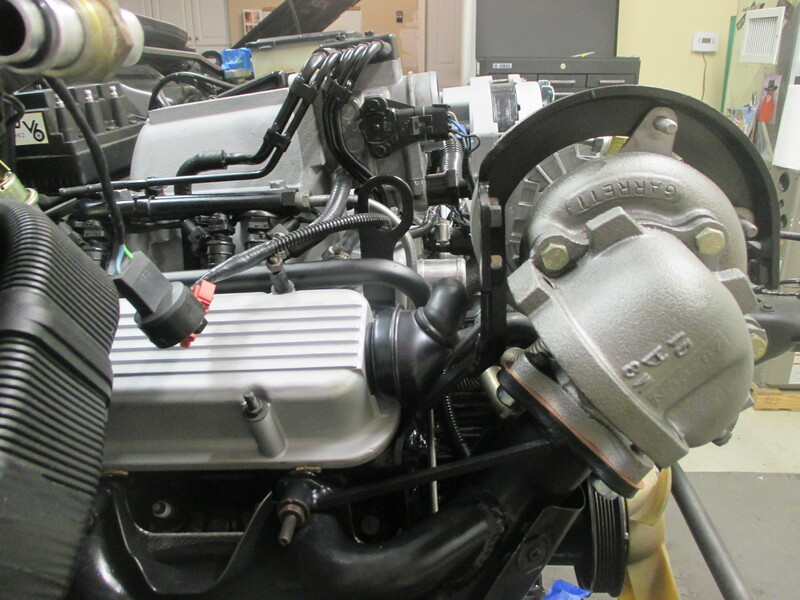 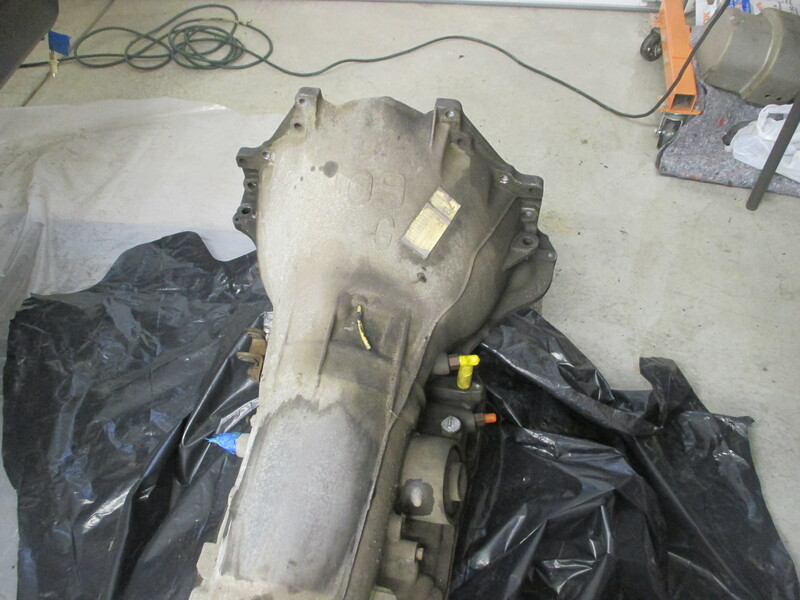 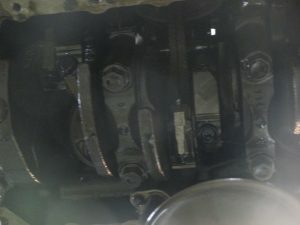 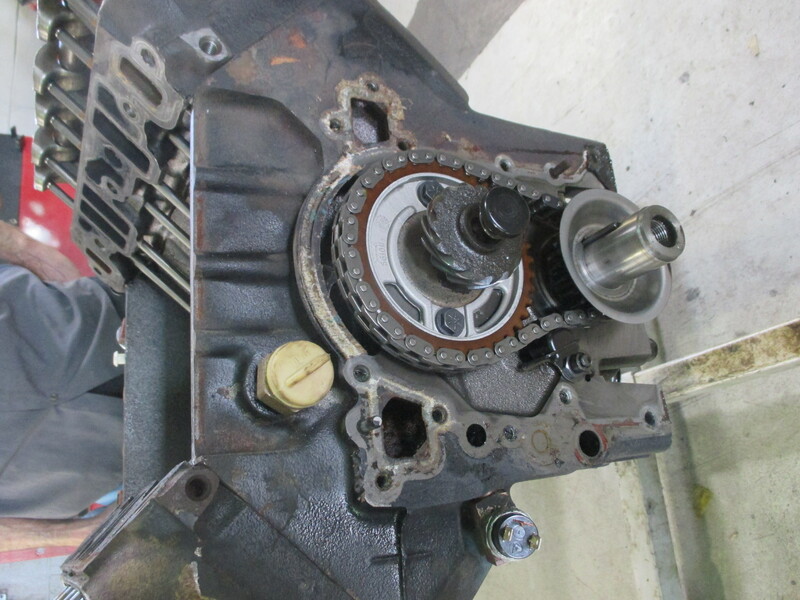 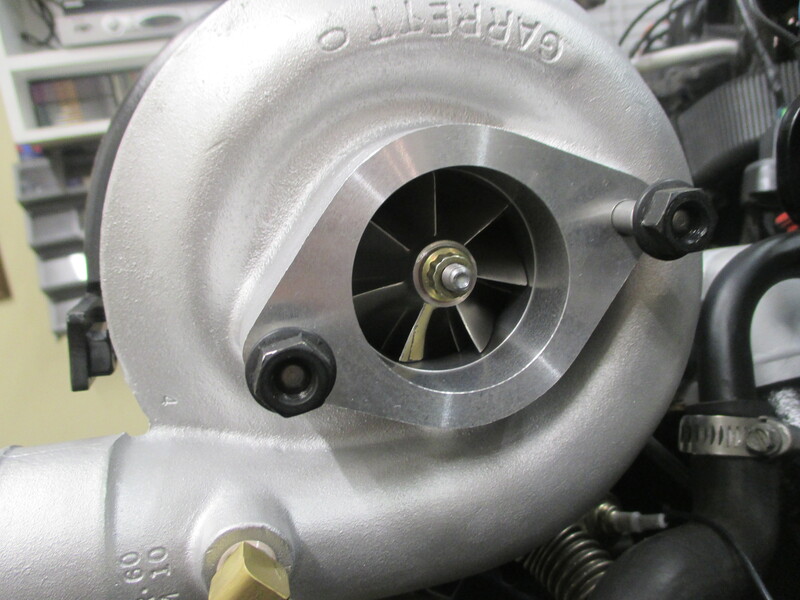 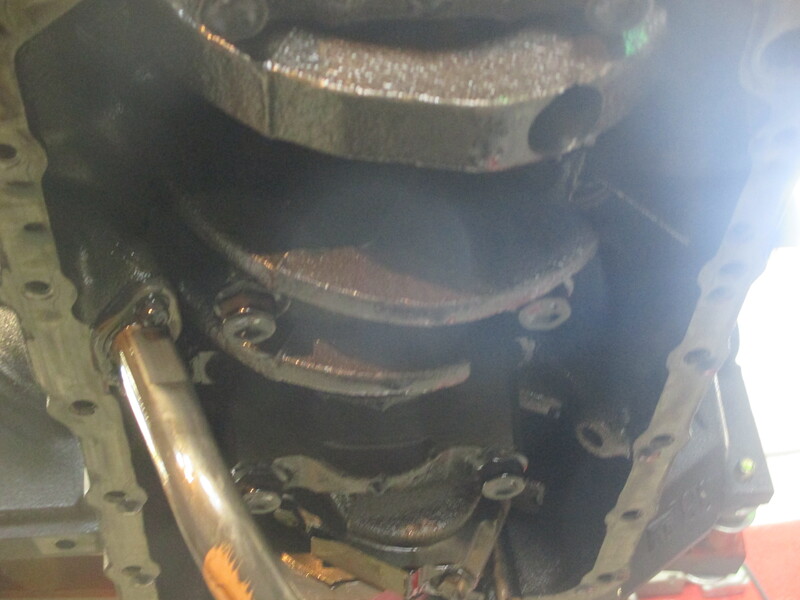 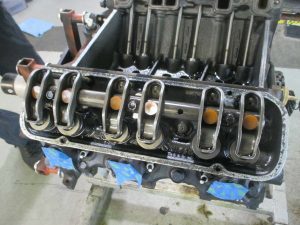 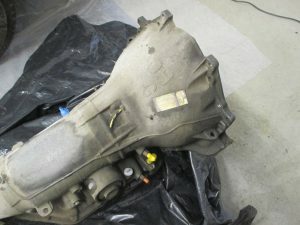 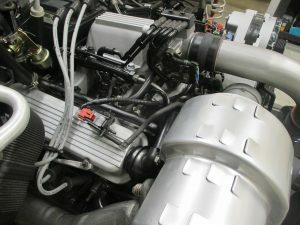 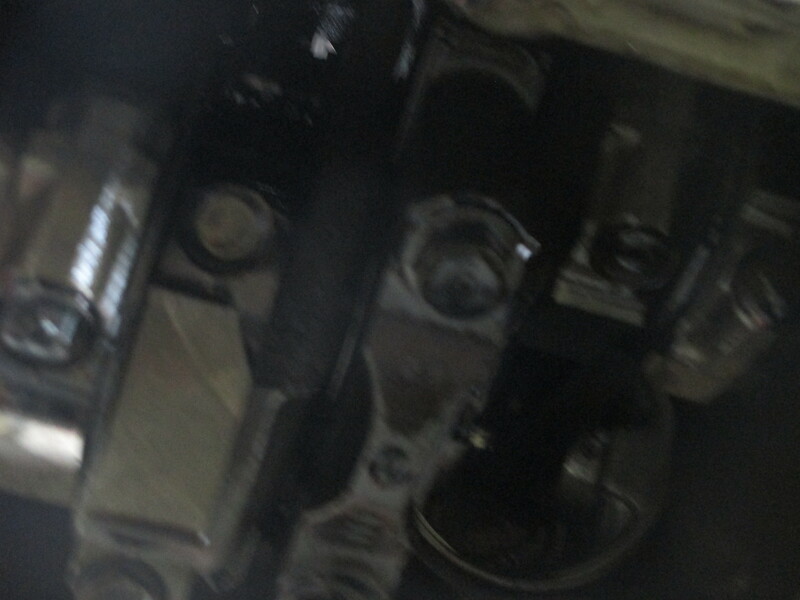 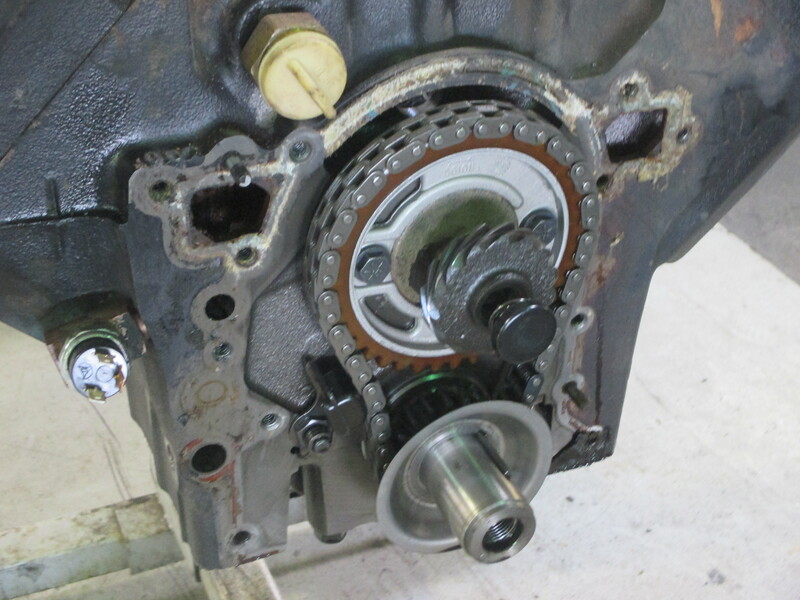 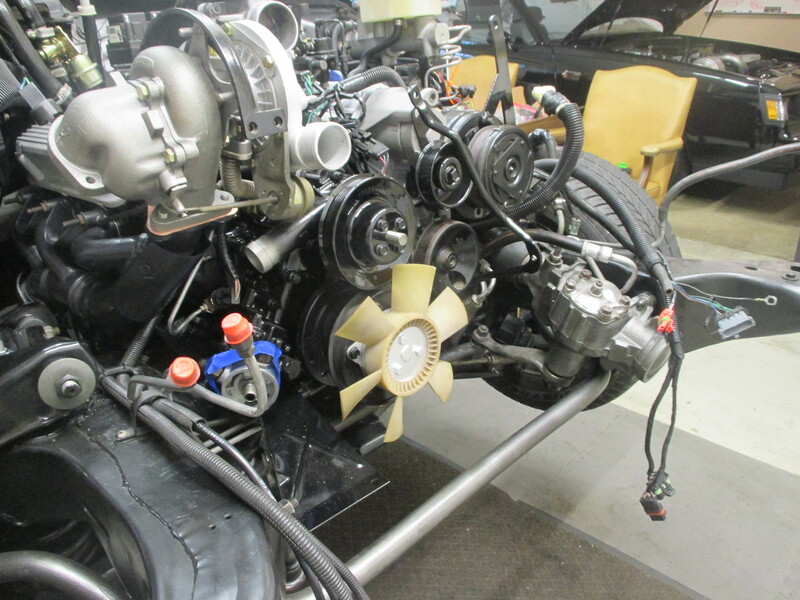 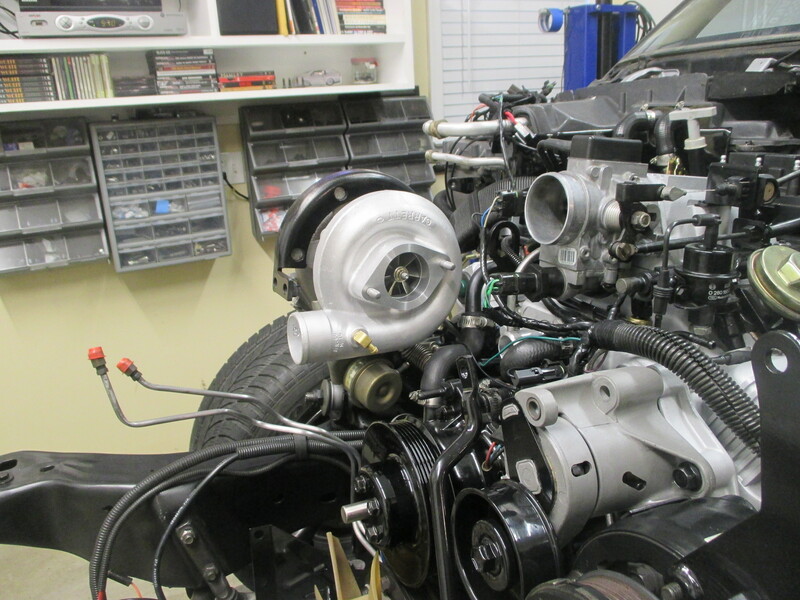 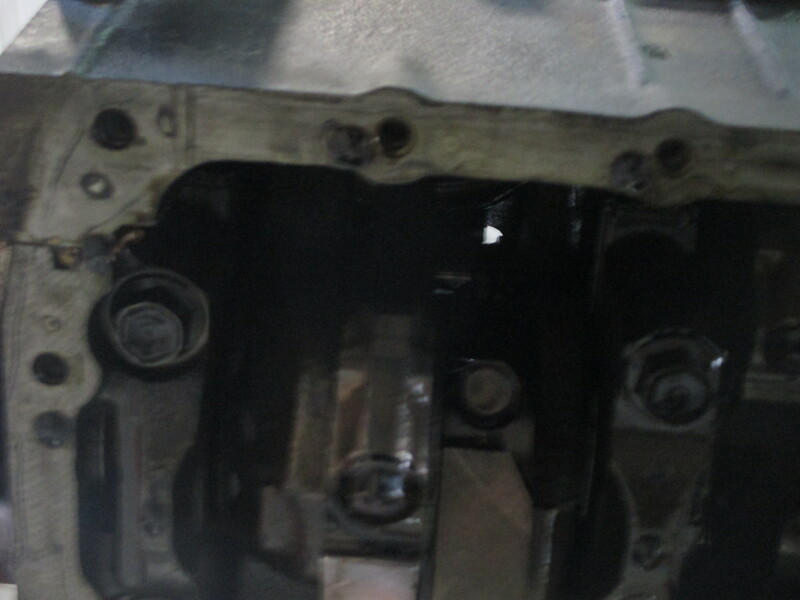 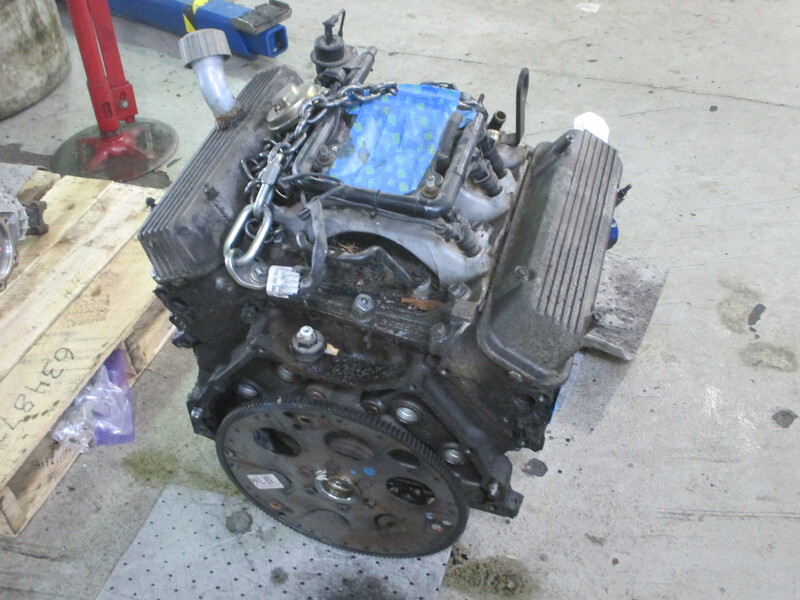 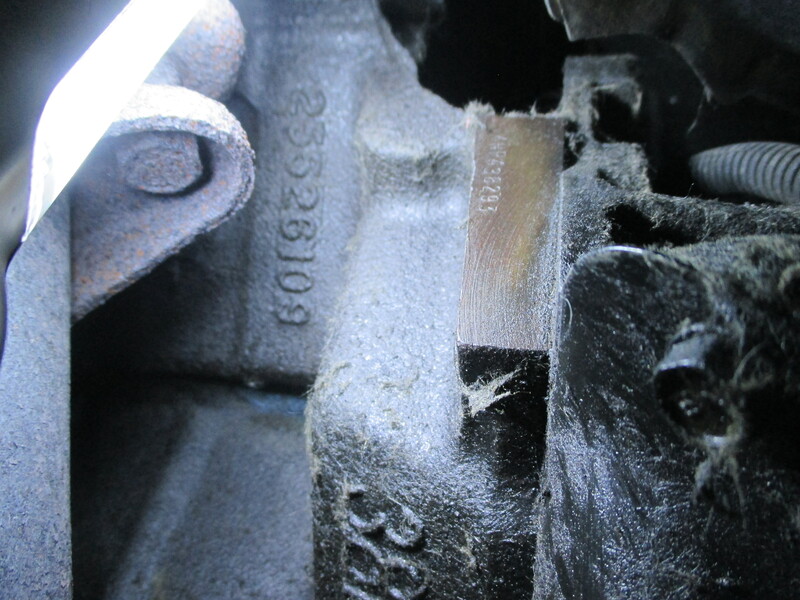 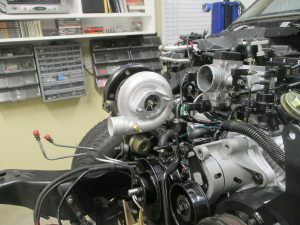 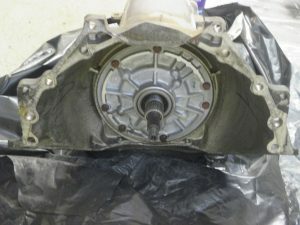 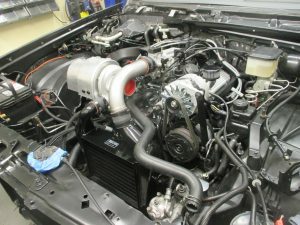 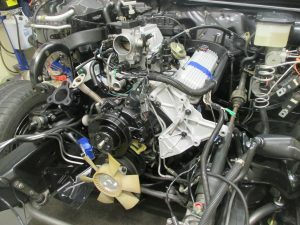 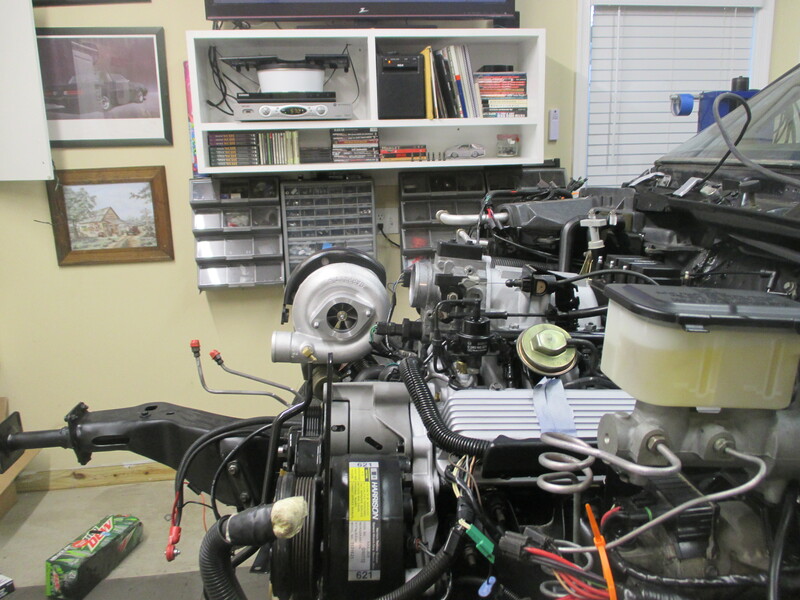 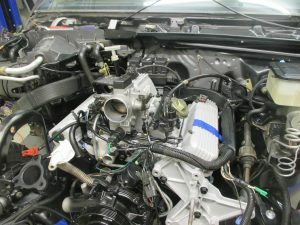 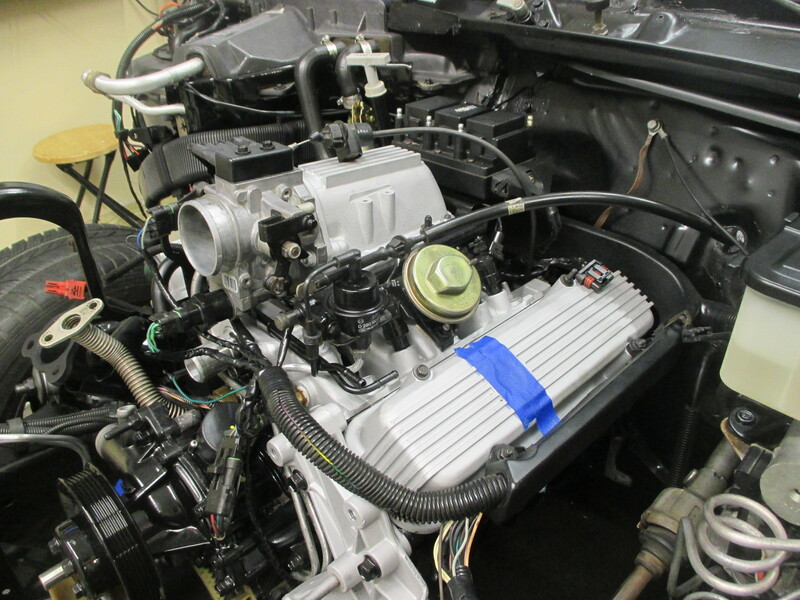 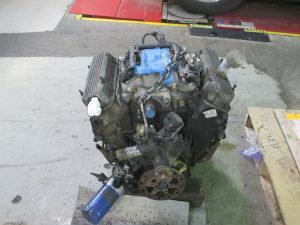 The motor was taken down to the long block, which is in absolutely perfect condition without even a bit of sludge. 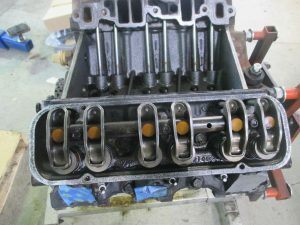 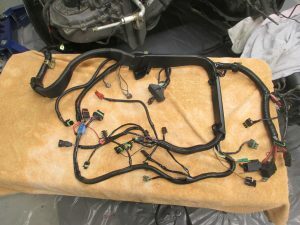 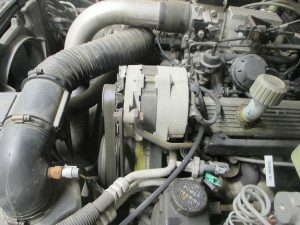 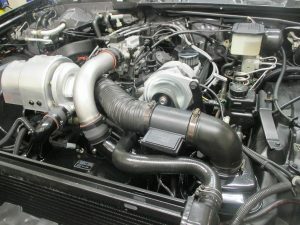 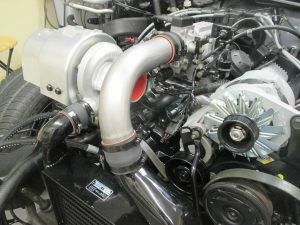 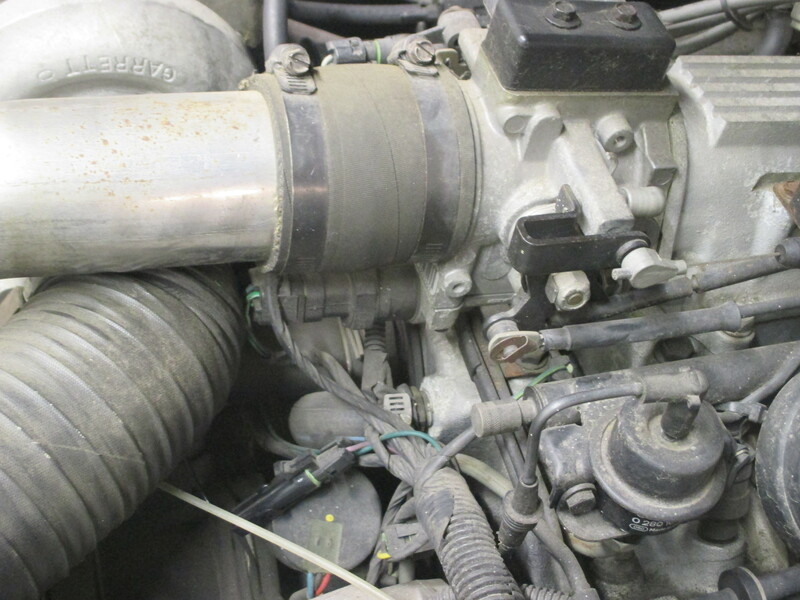 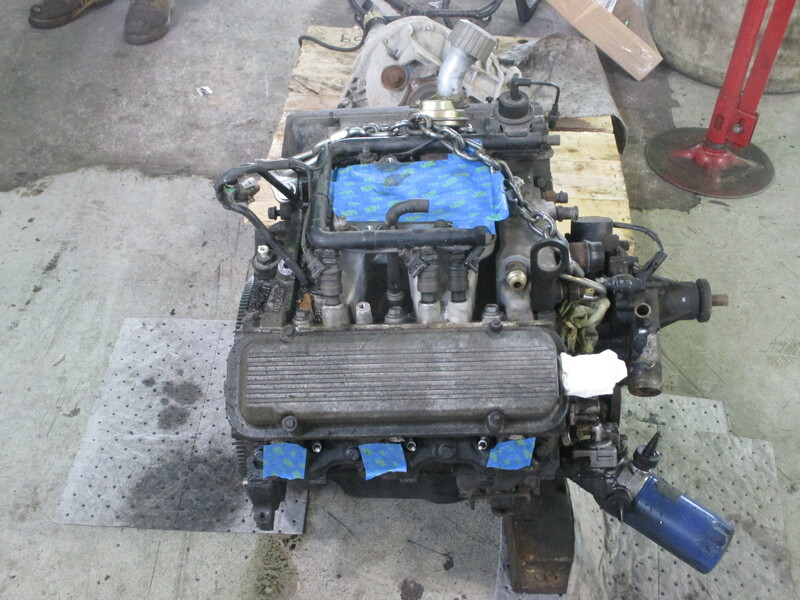 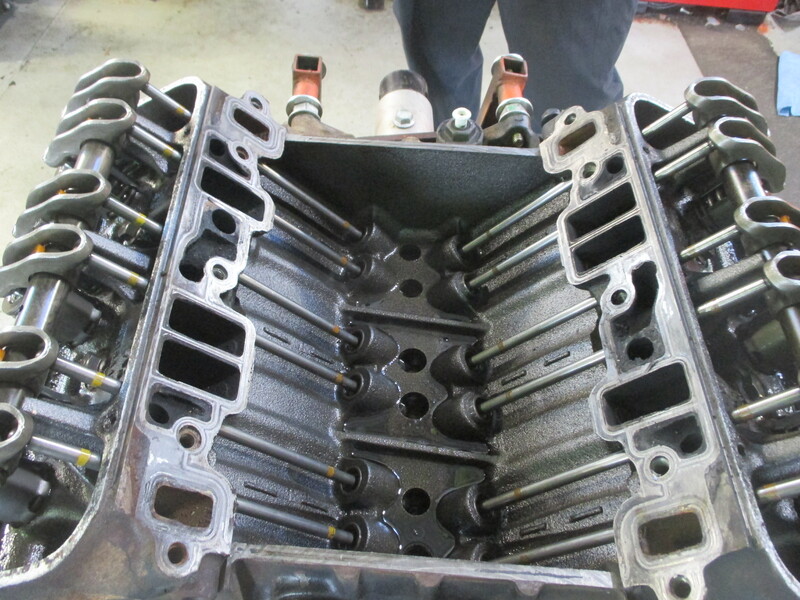 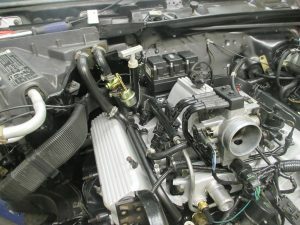 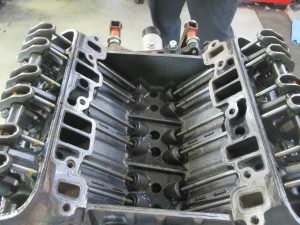 Refurbished intake manifold with all NOS or refurbished parts. 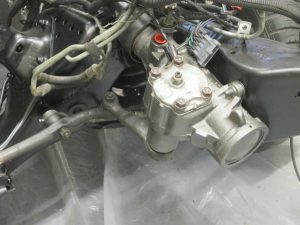 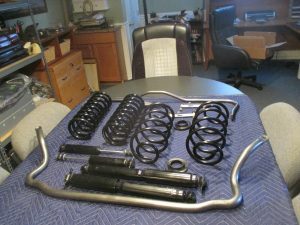 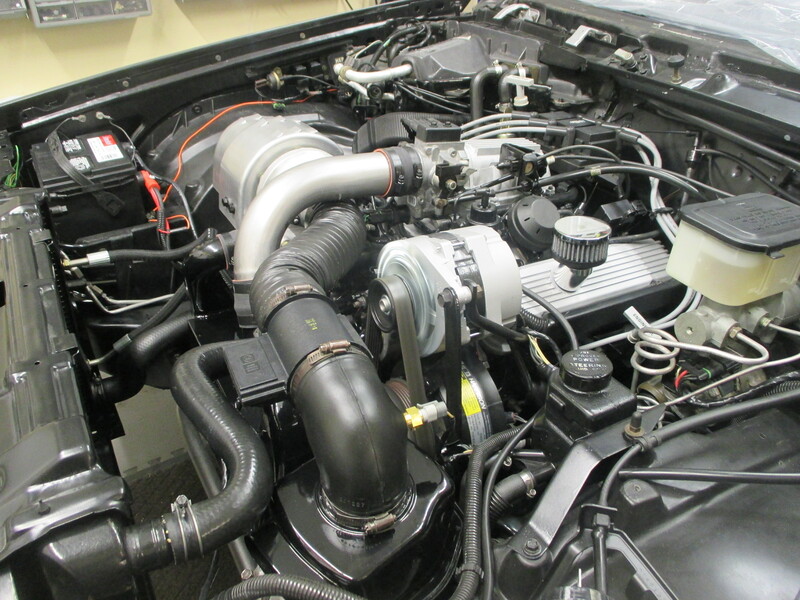 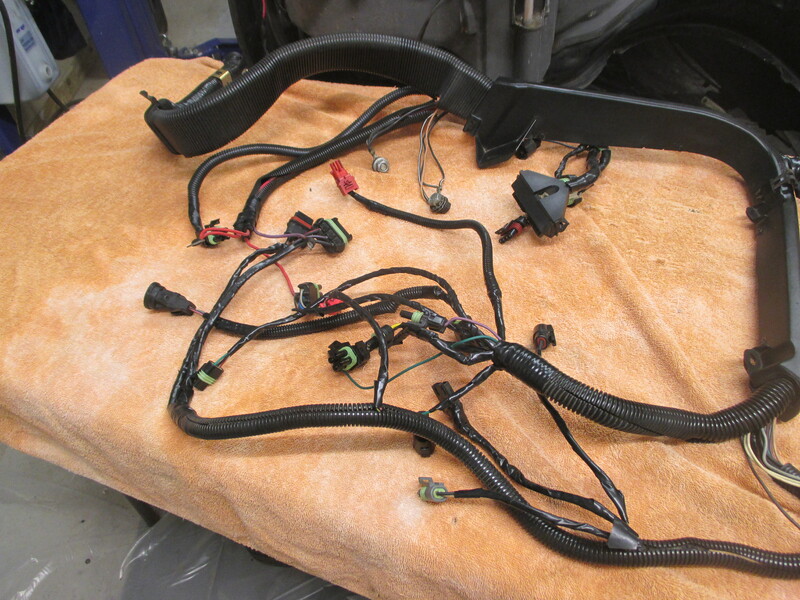 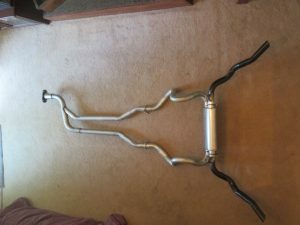 NOS parts include fuel rail, vacuum lines, pcv valve and hose, fuel regulator, plenum, IAC control, EGR control, coolant lines and more. 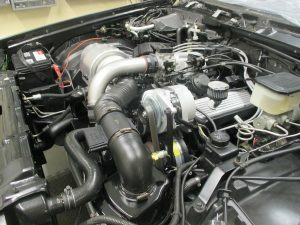 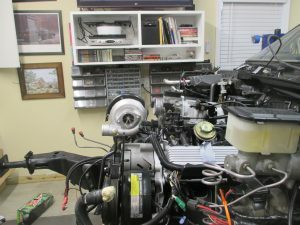 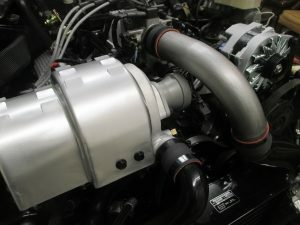 The motor looks and acts showroom new. 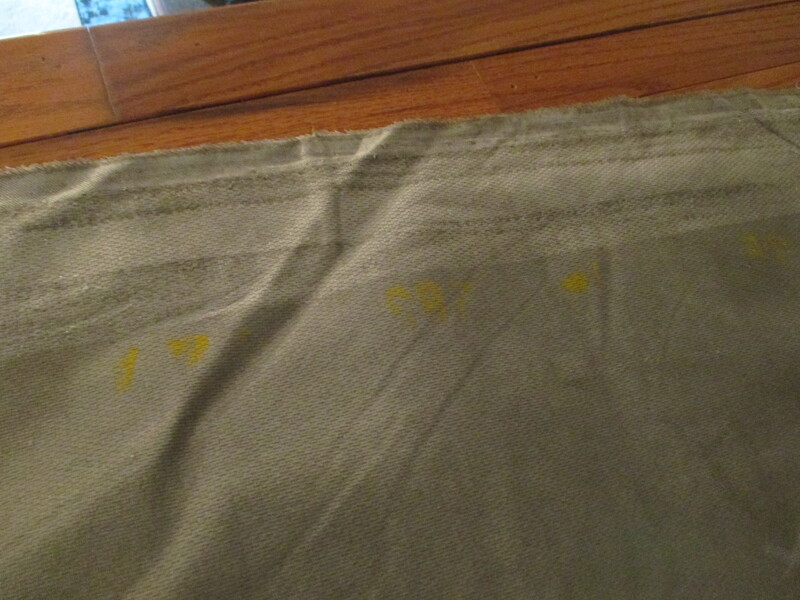 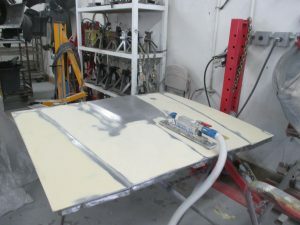 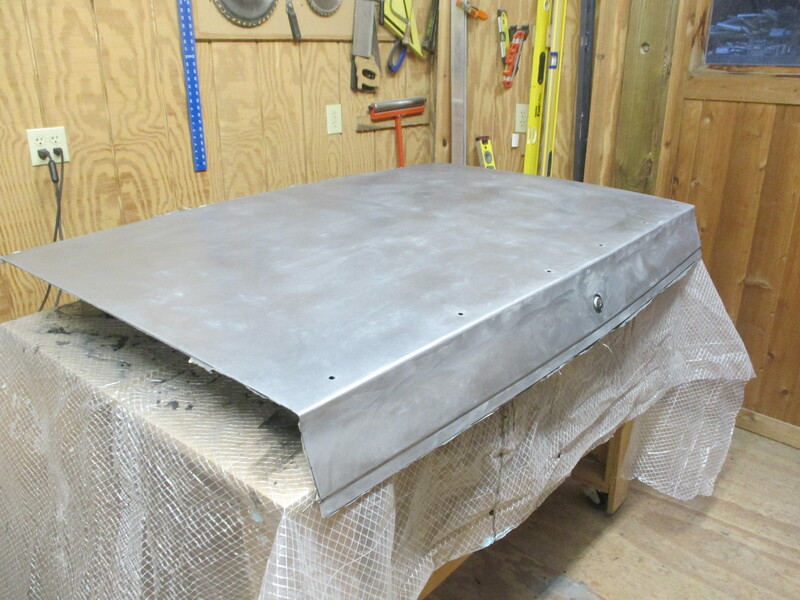 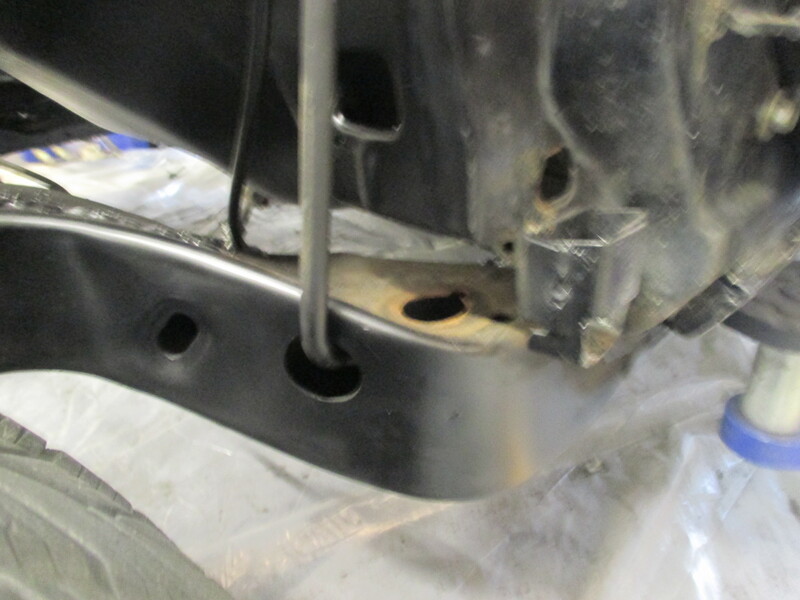 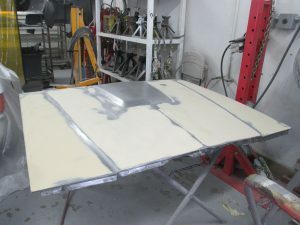 While body was off the frame the belly was stripped and painted. 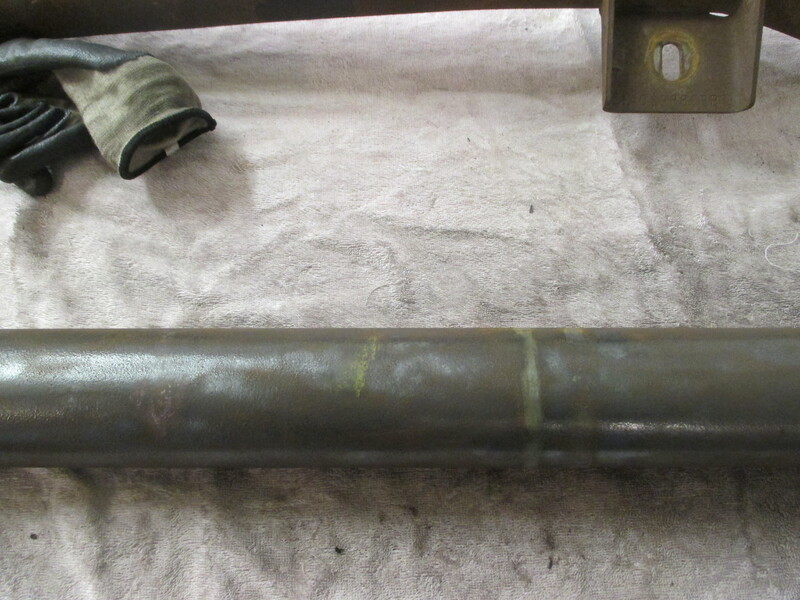 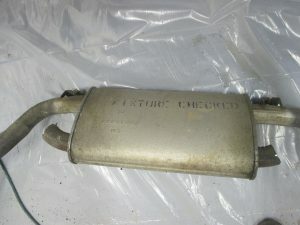 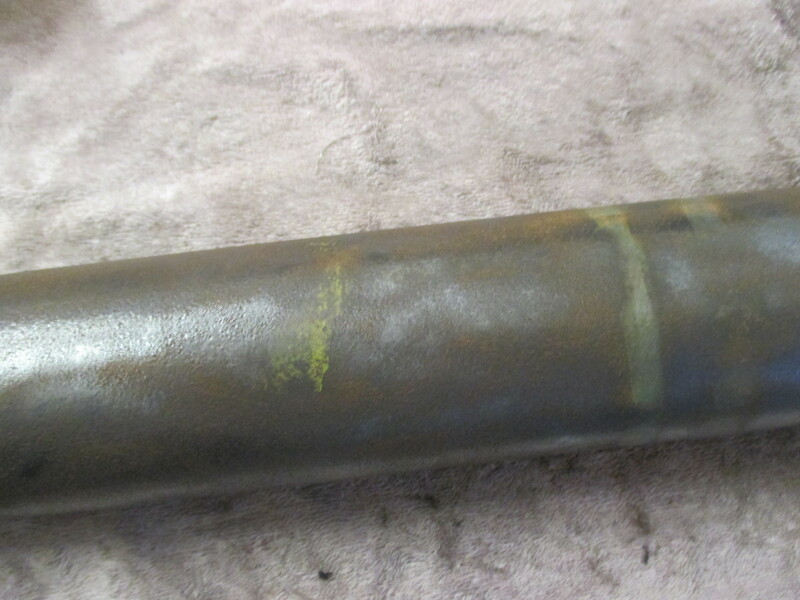 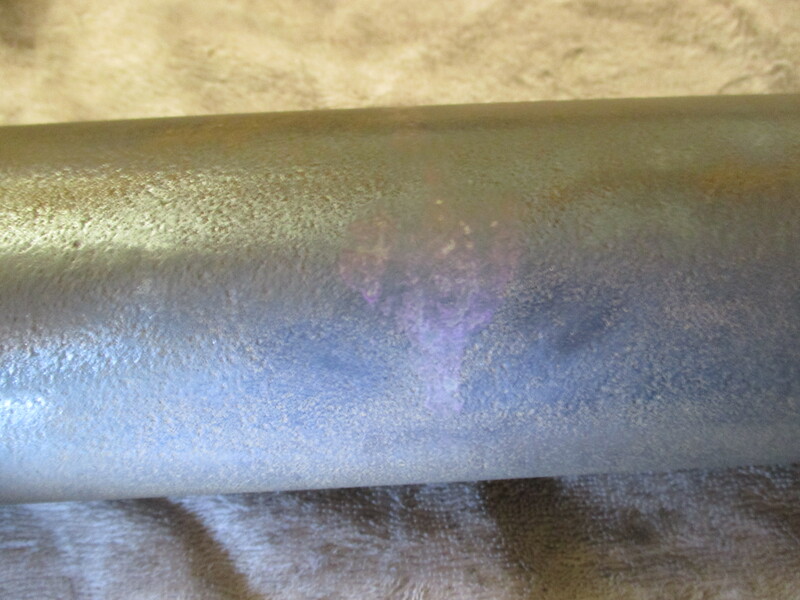 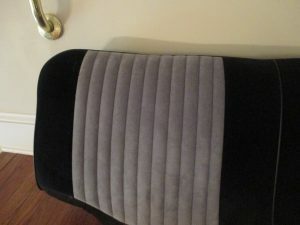 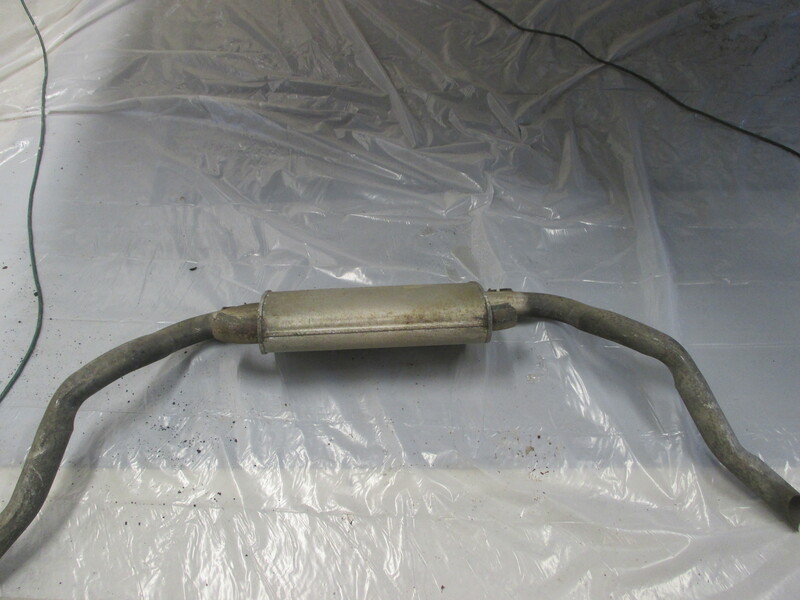 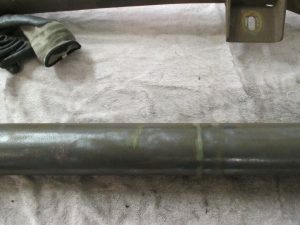 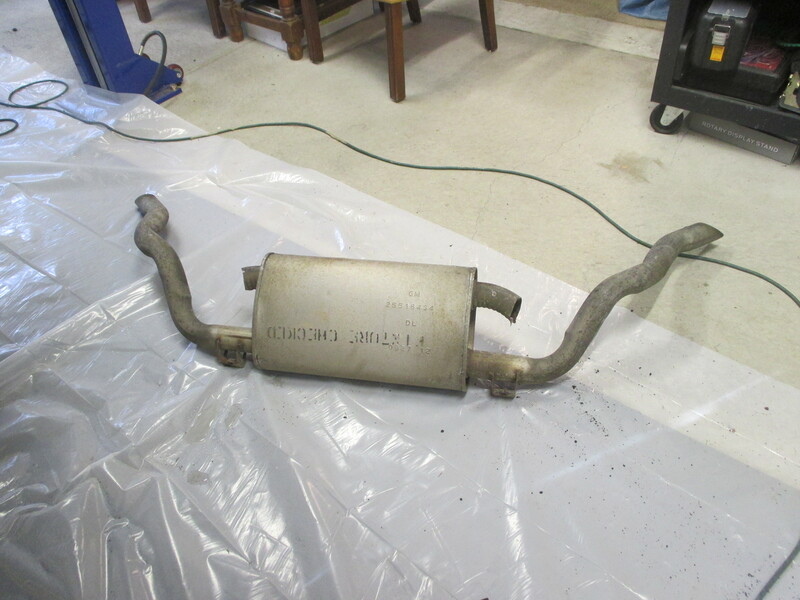 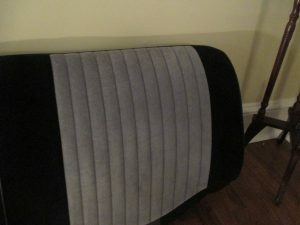 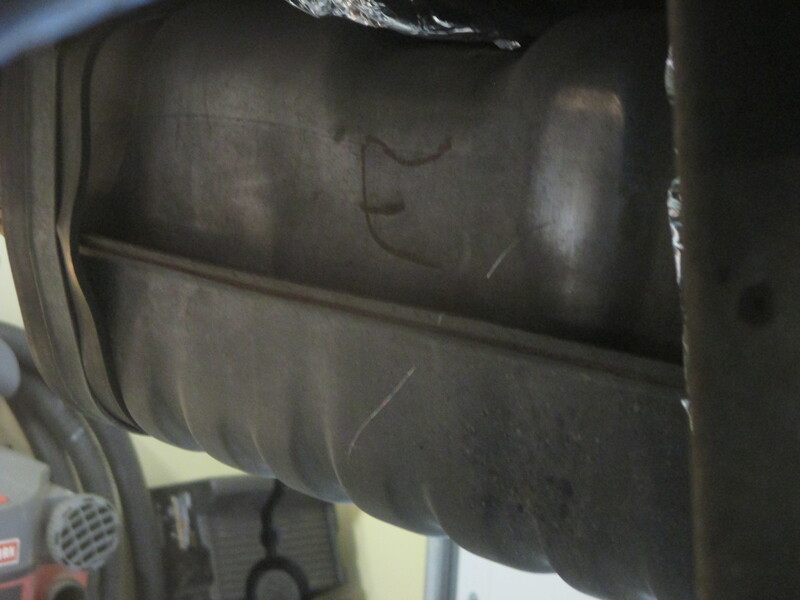 All heat shields were refurbished. 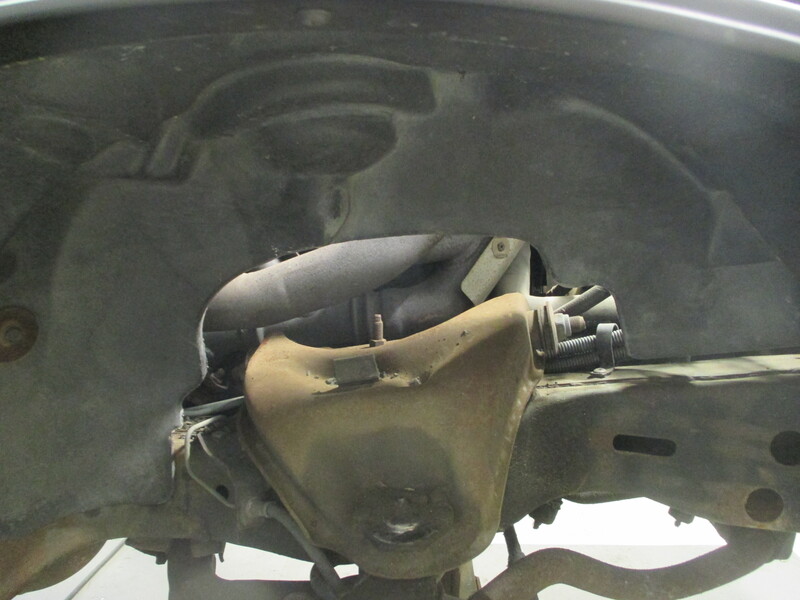 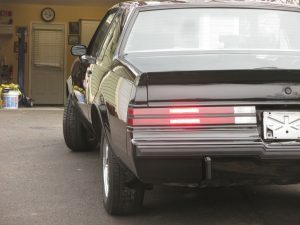 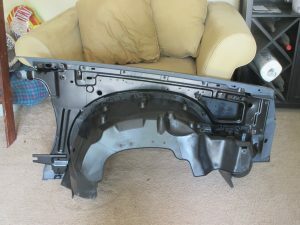 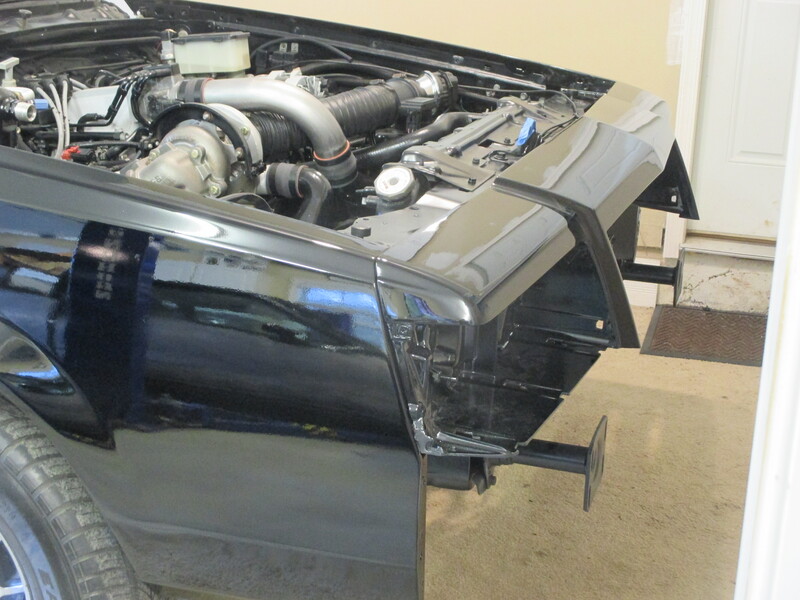 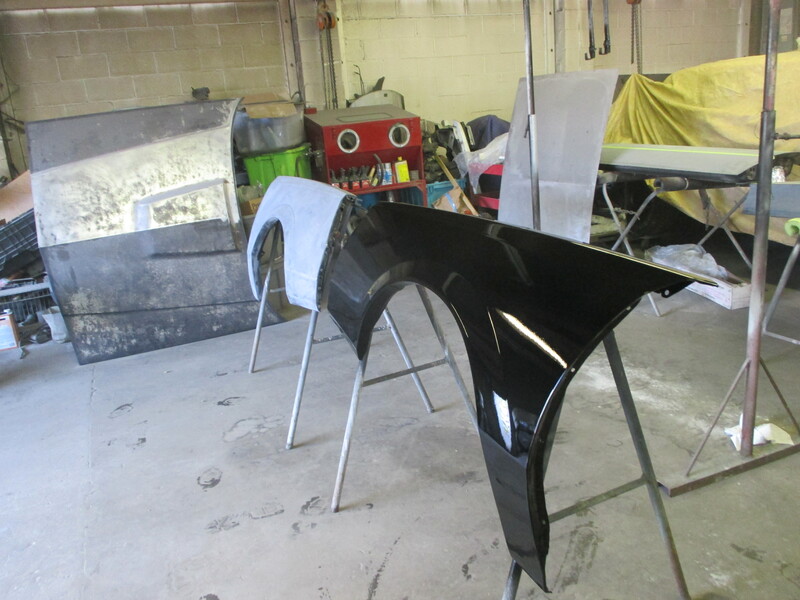 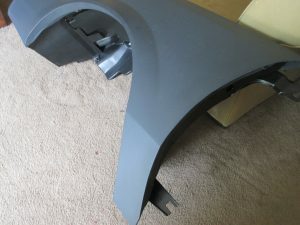 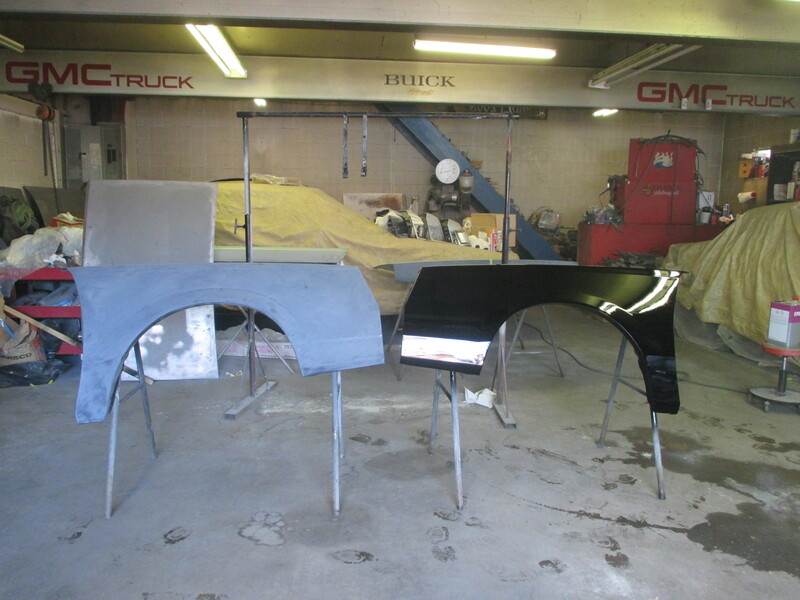 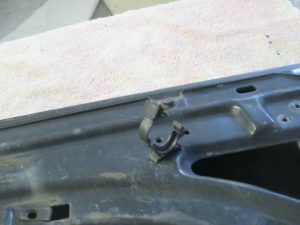 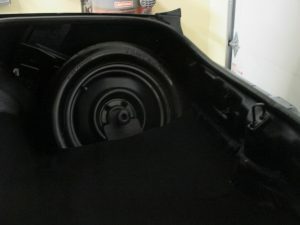 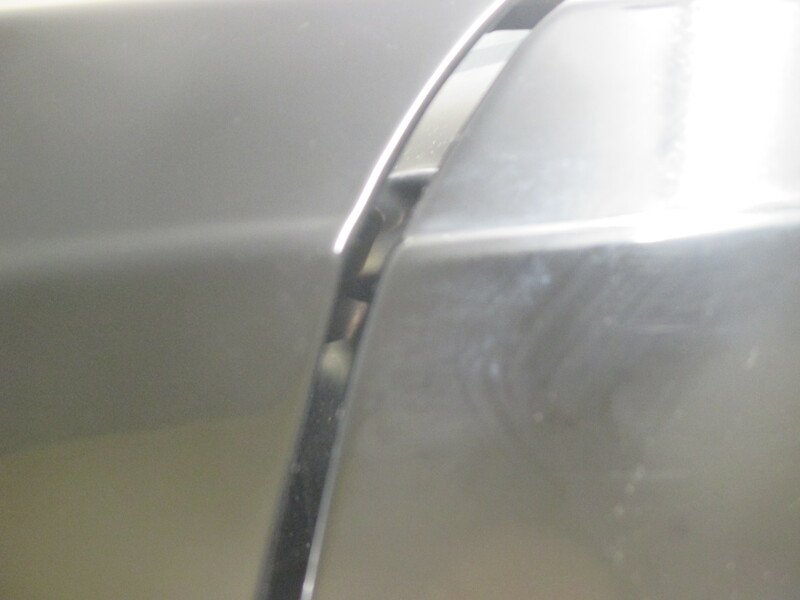 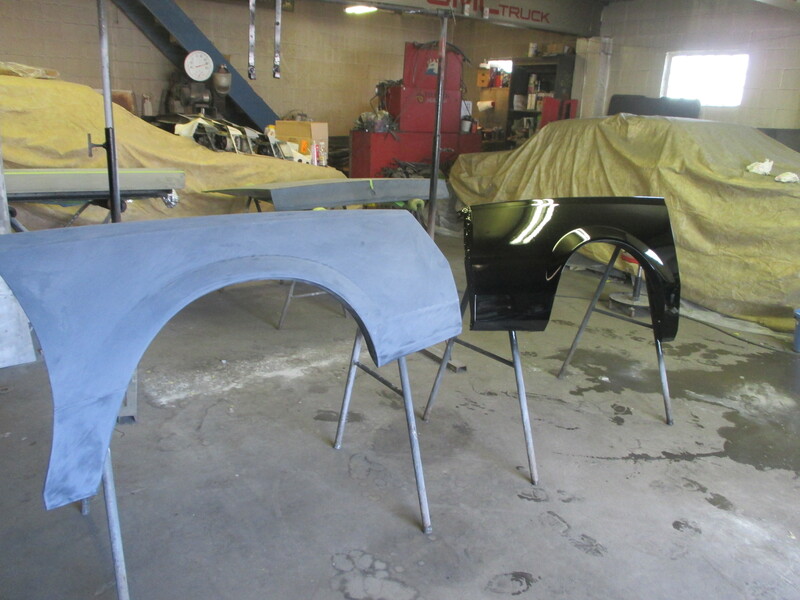 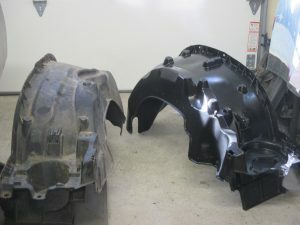 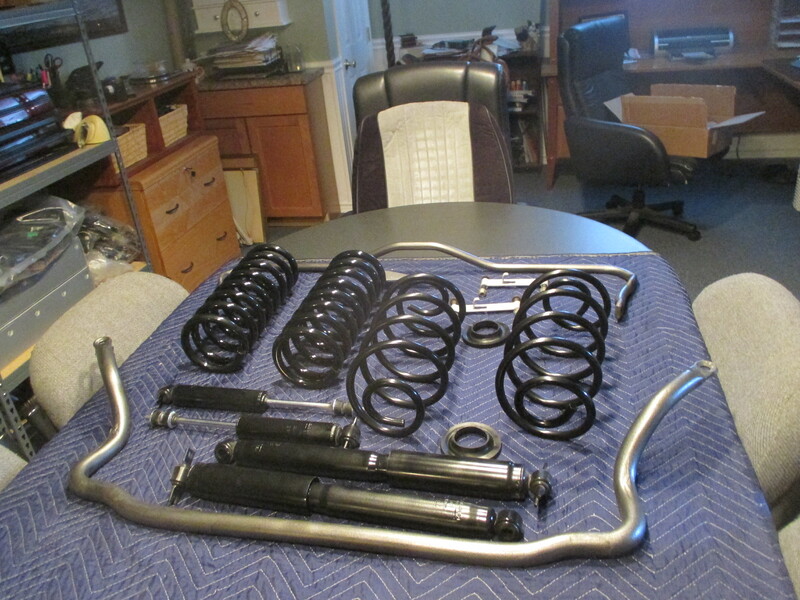 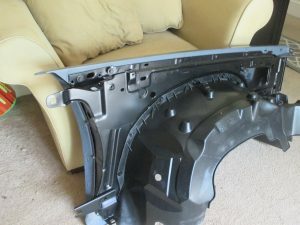 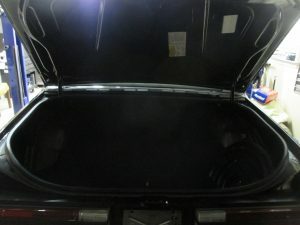 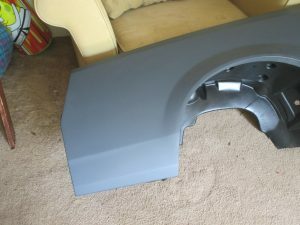 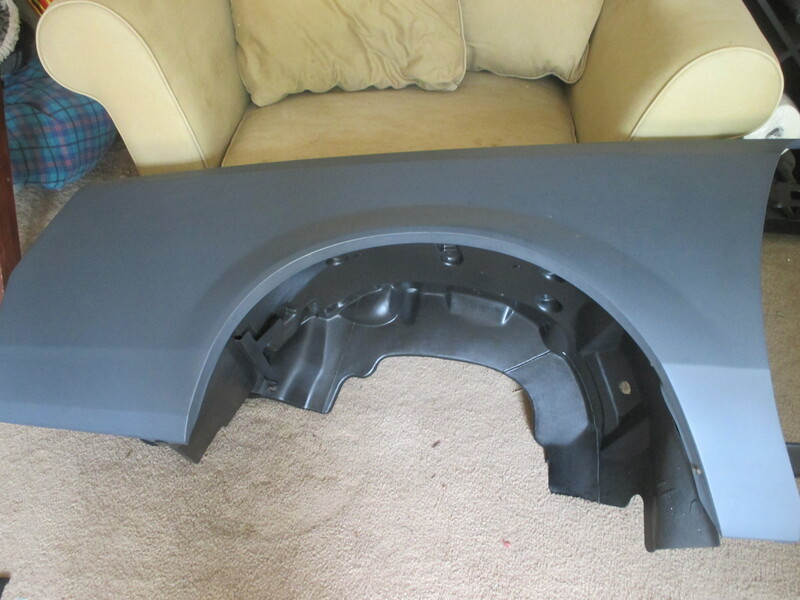 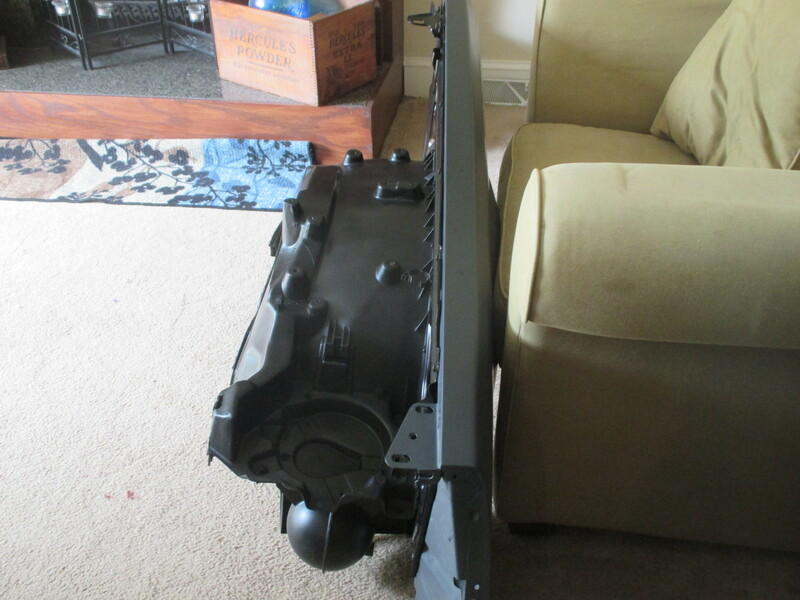 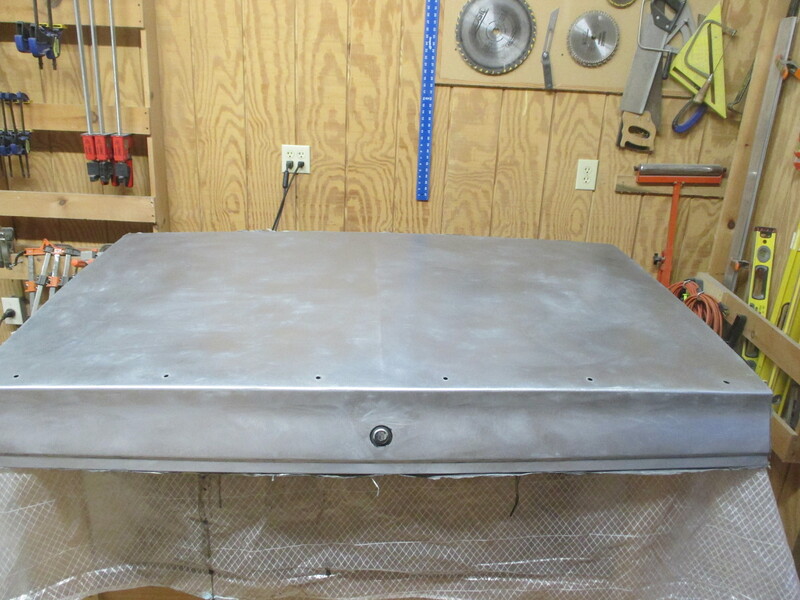 Inner fenders and radiator are powder coated for long life. 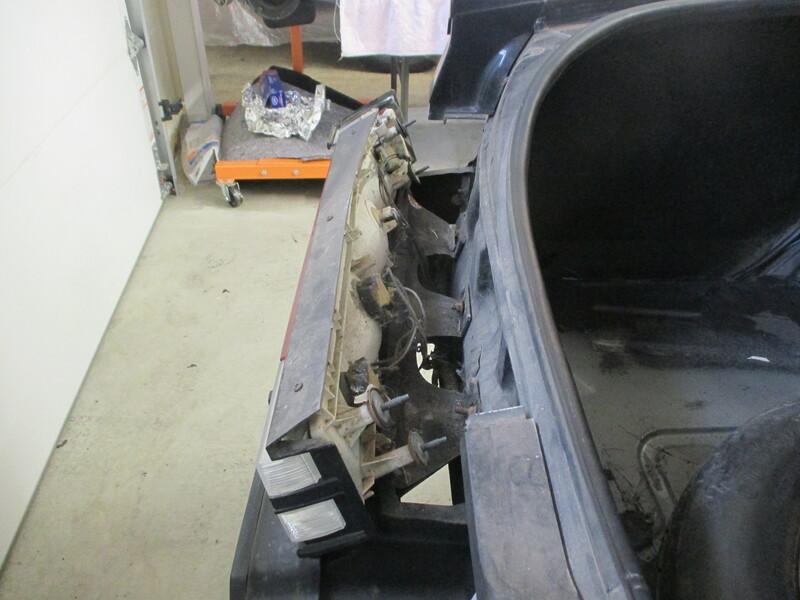 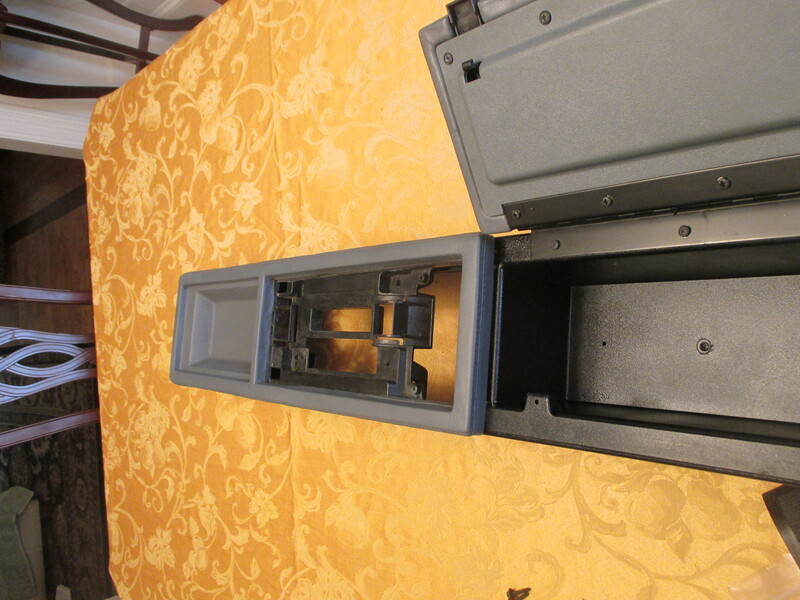 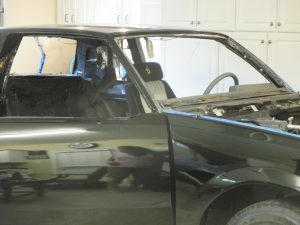 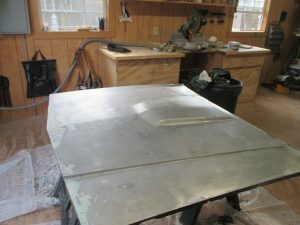 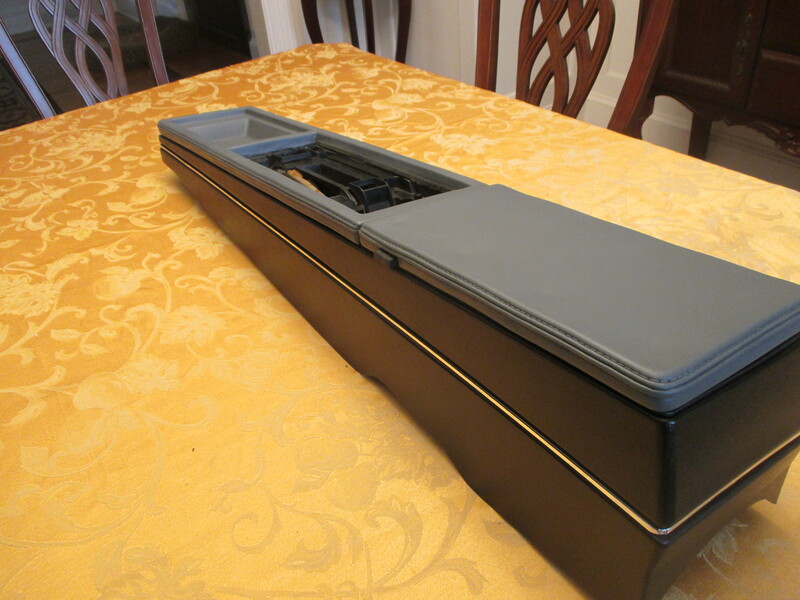 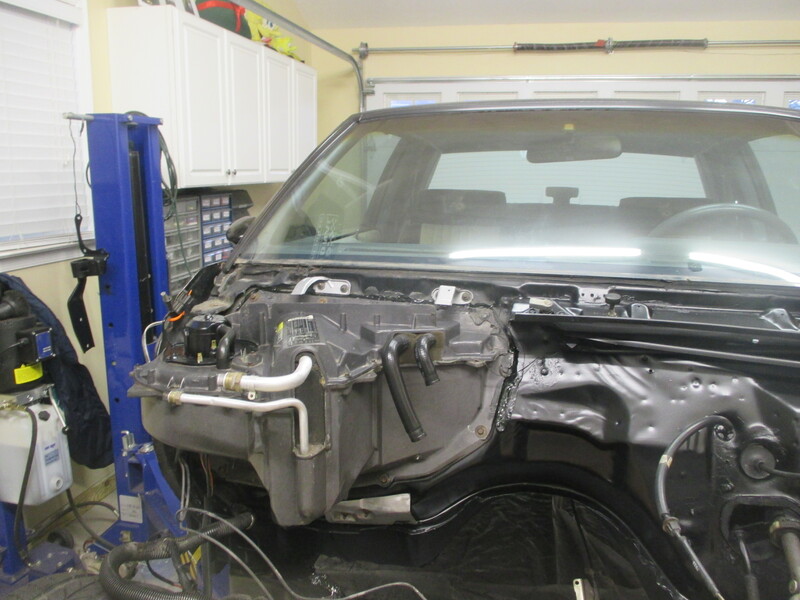 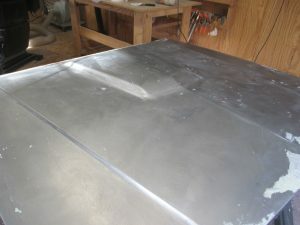 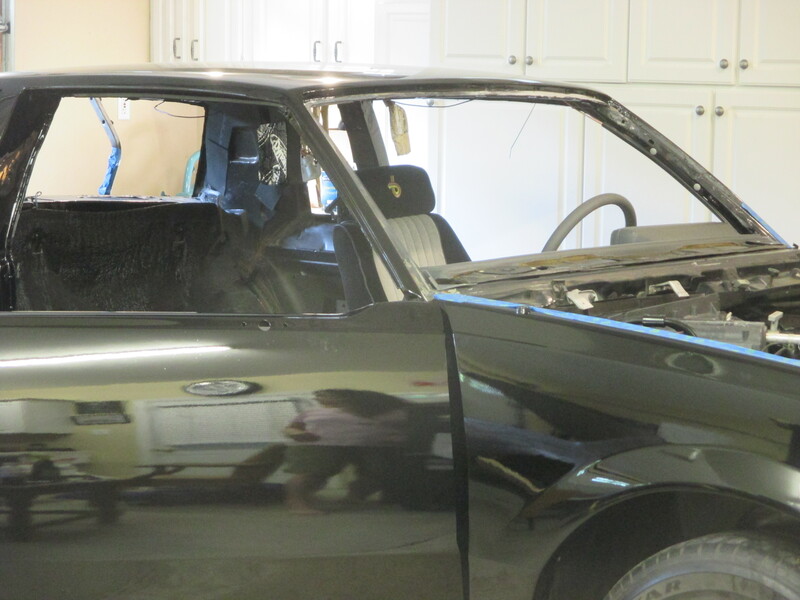 With glass and interior removed the body was hand stripped to bare metal. 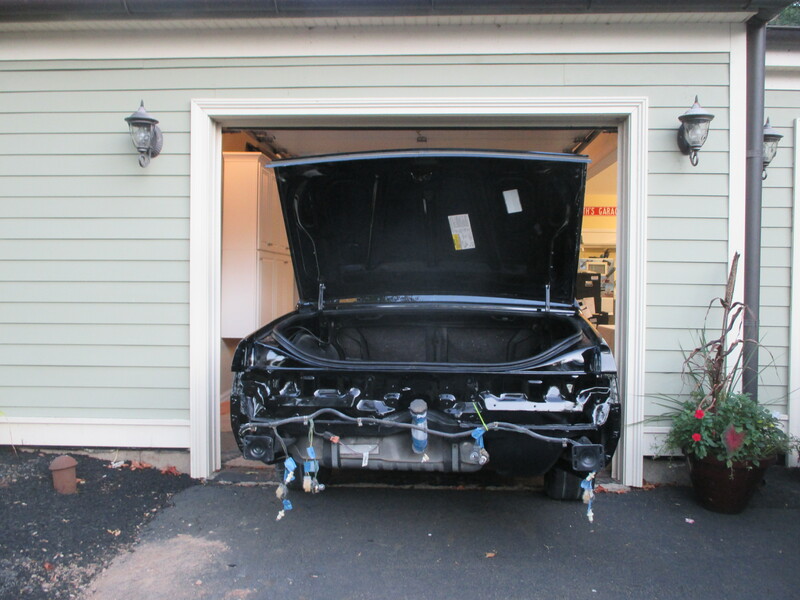 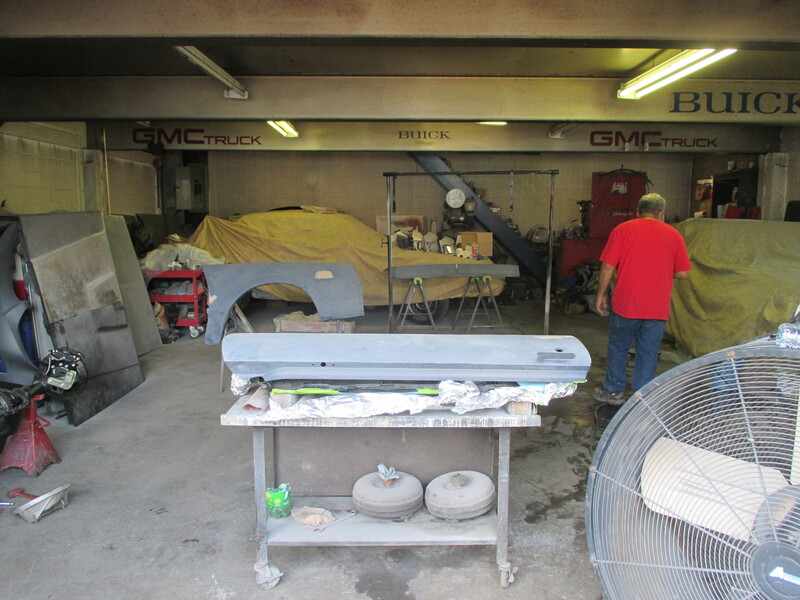 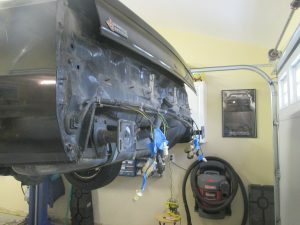 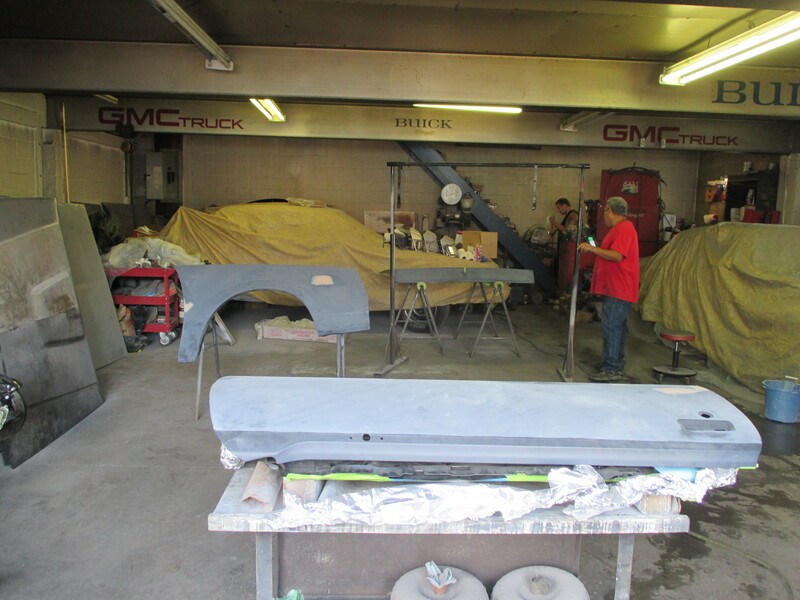 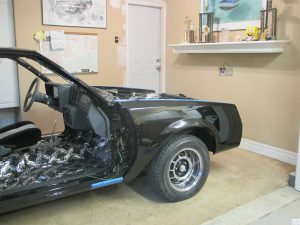 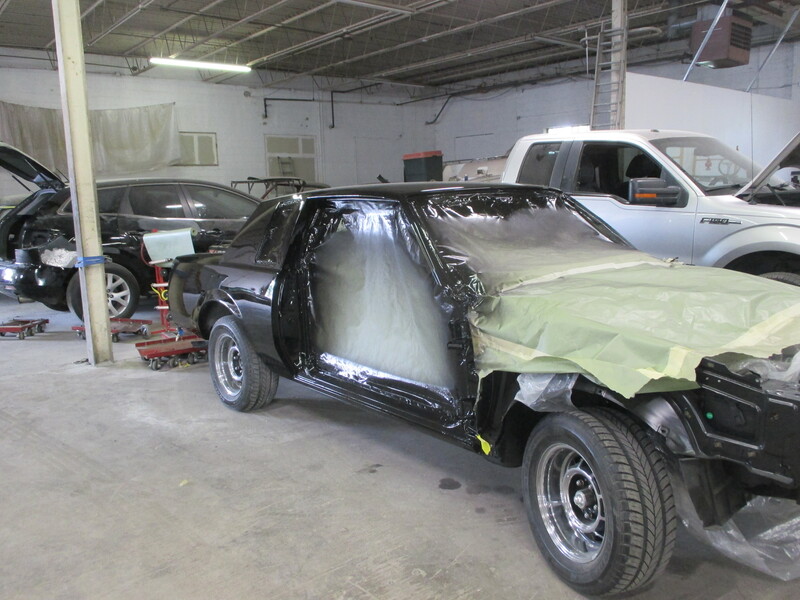 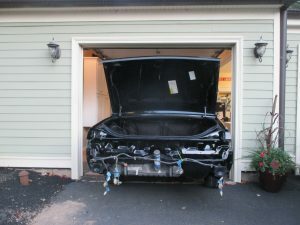 Hood, header, bumpers, fillers, fenders, doors, trunk lid all removed. 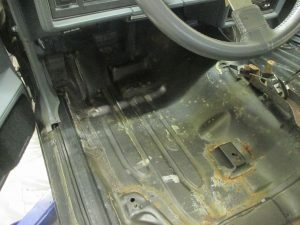 The car was free, with no rot. 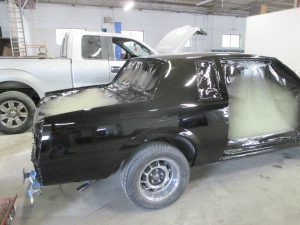 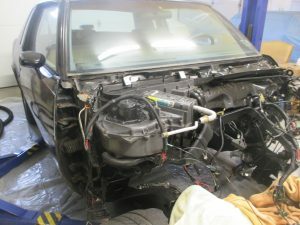 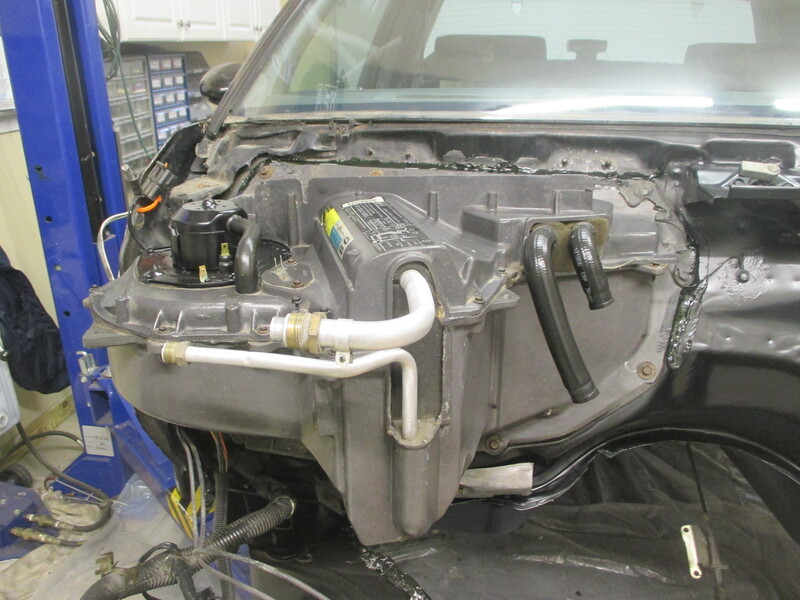 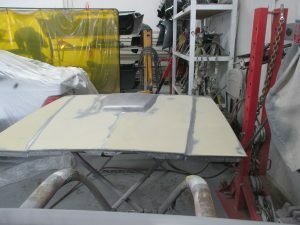 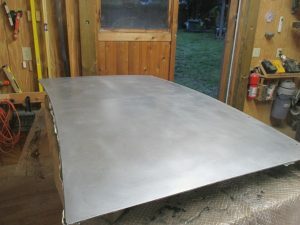 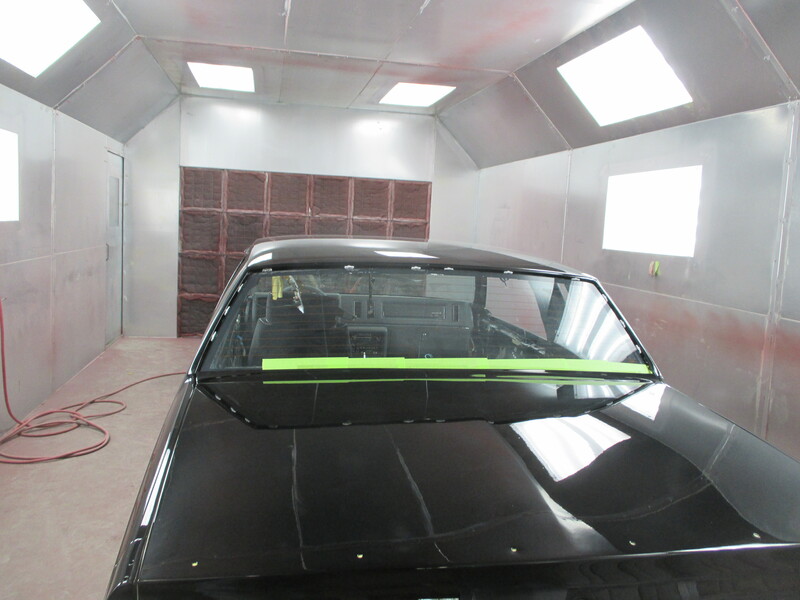 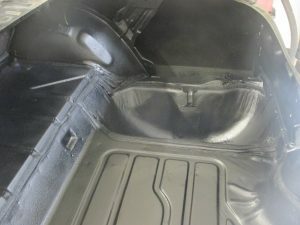 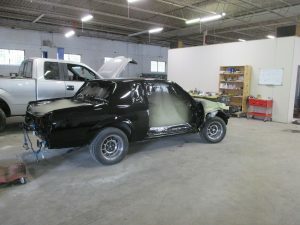 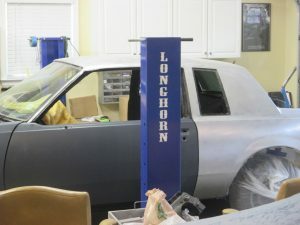 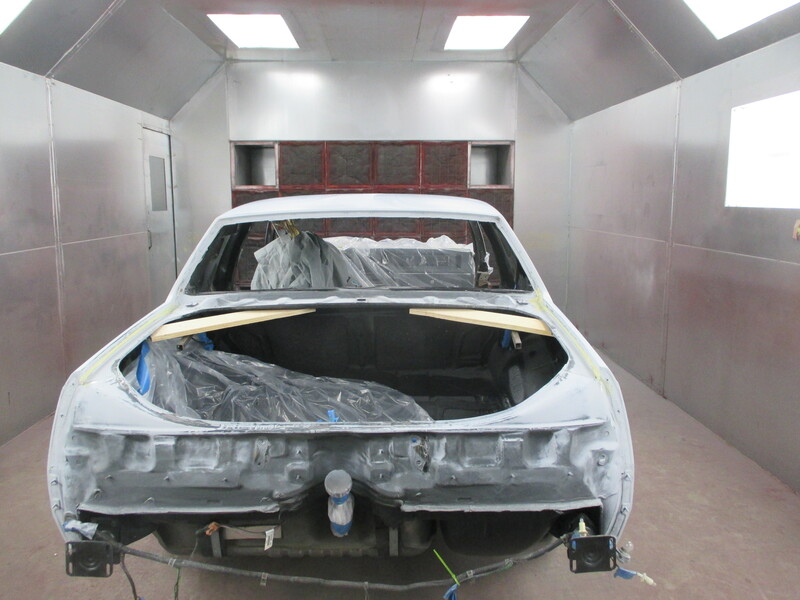 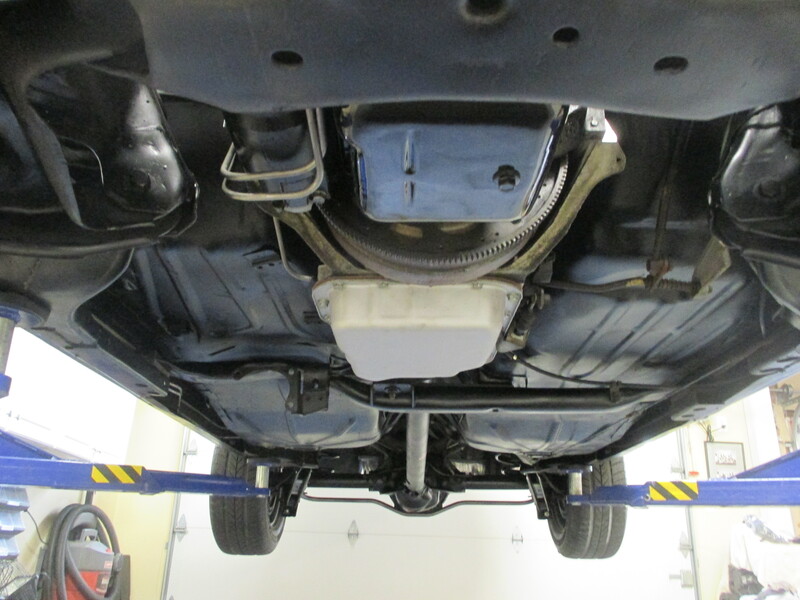 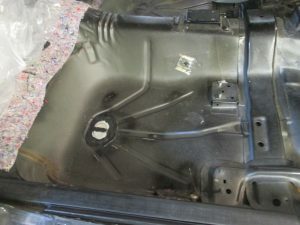 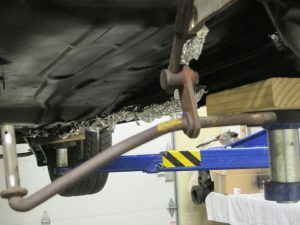 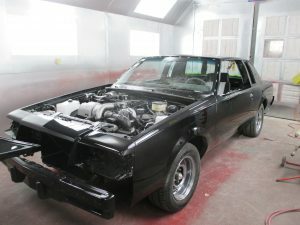 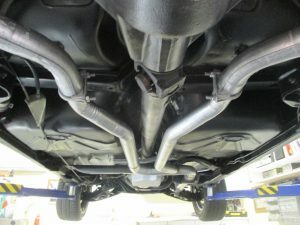 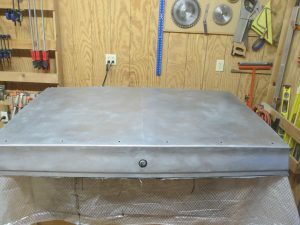 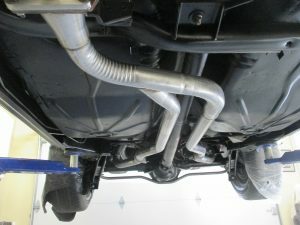 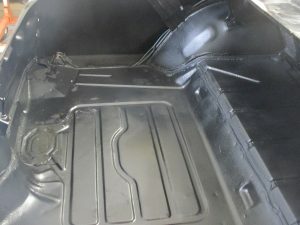 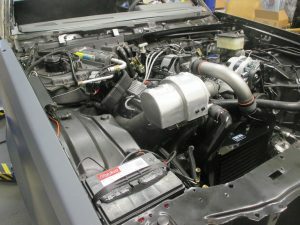 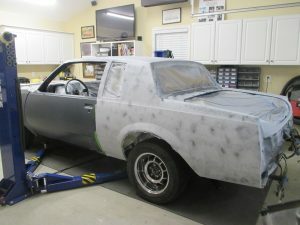 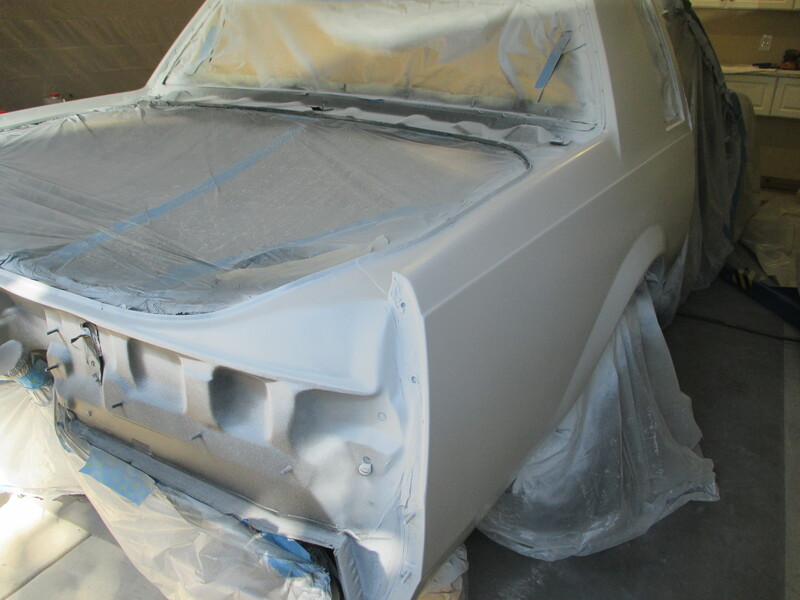 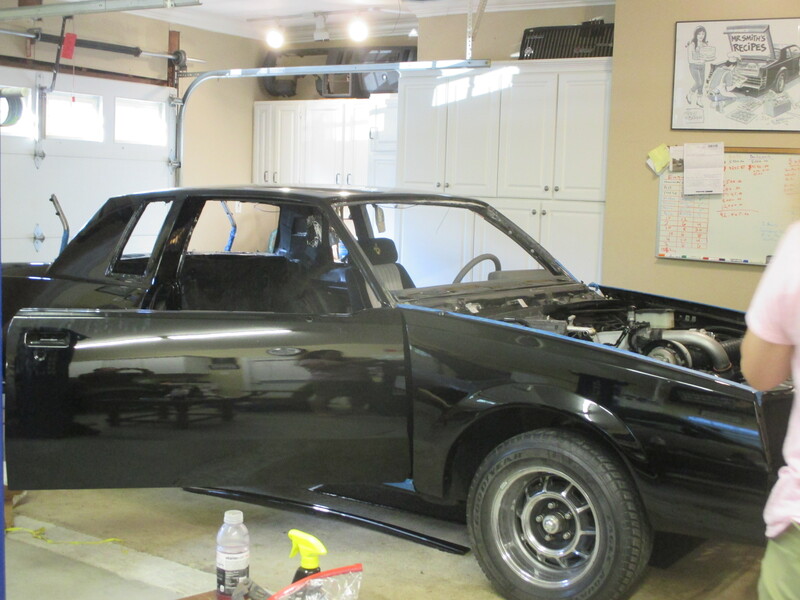 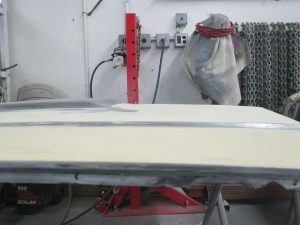 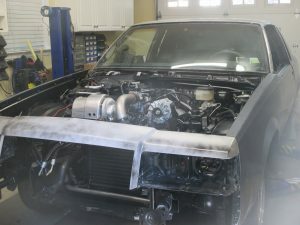 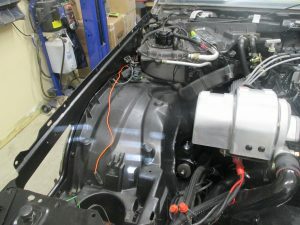 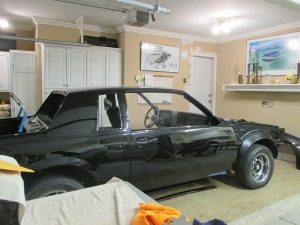 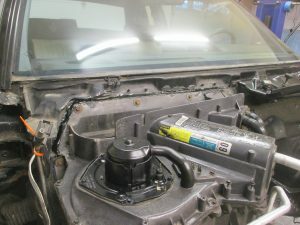 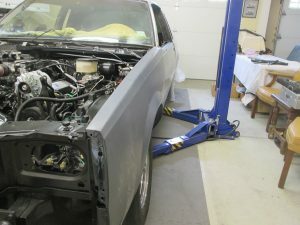 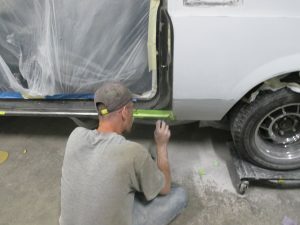 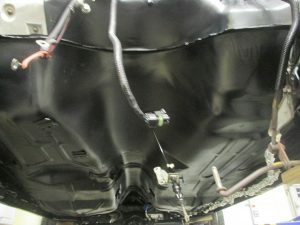 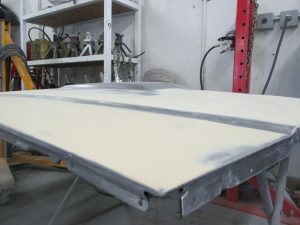 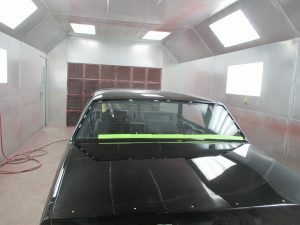 All parts were body worked as needed and the entire car was worked until metal was perfect for paint. 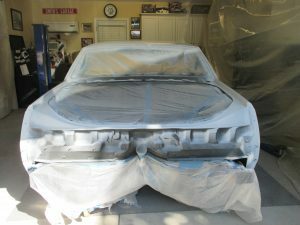 Primed and blocked sanded and primed again before final block sanding. 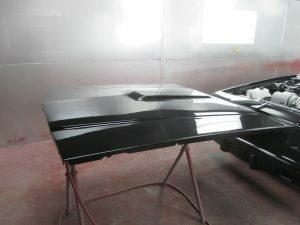 Hundreds of hours went into the bodywork alone for a beautiful paint job. 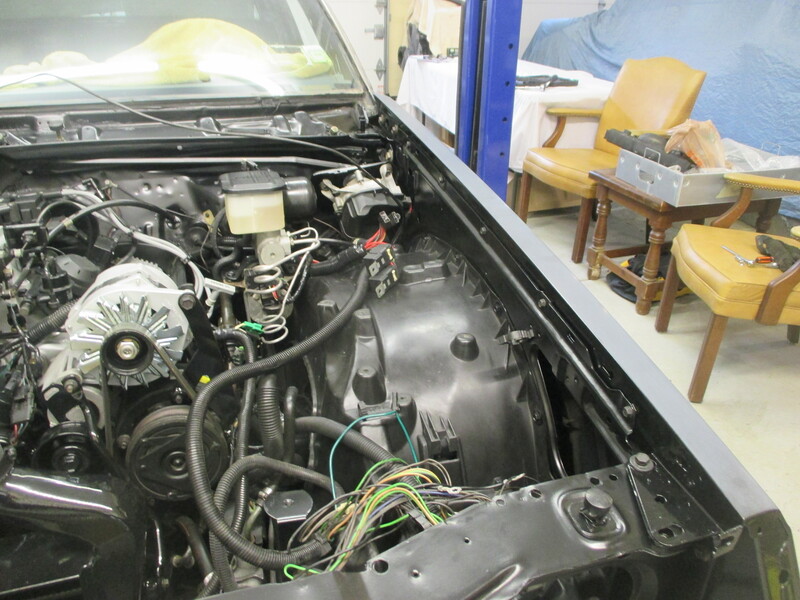 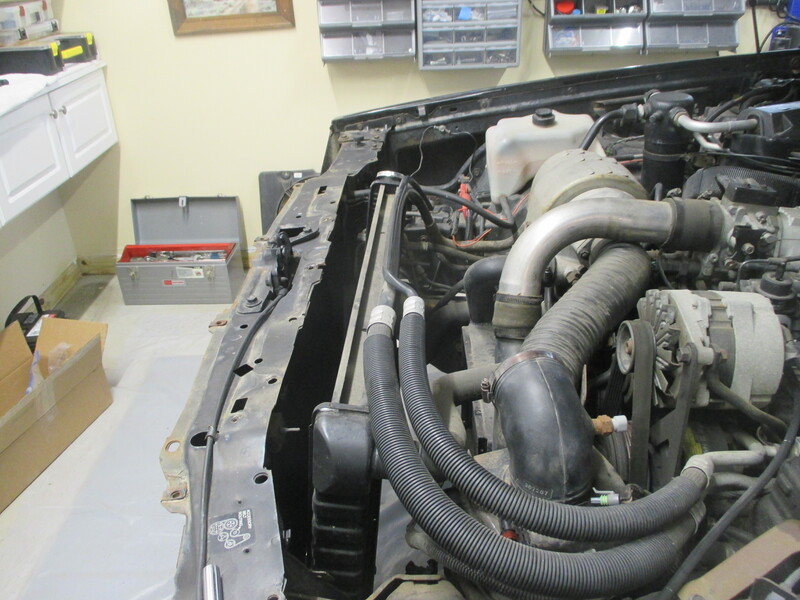 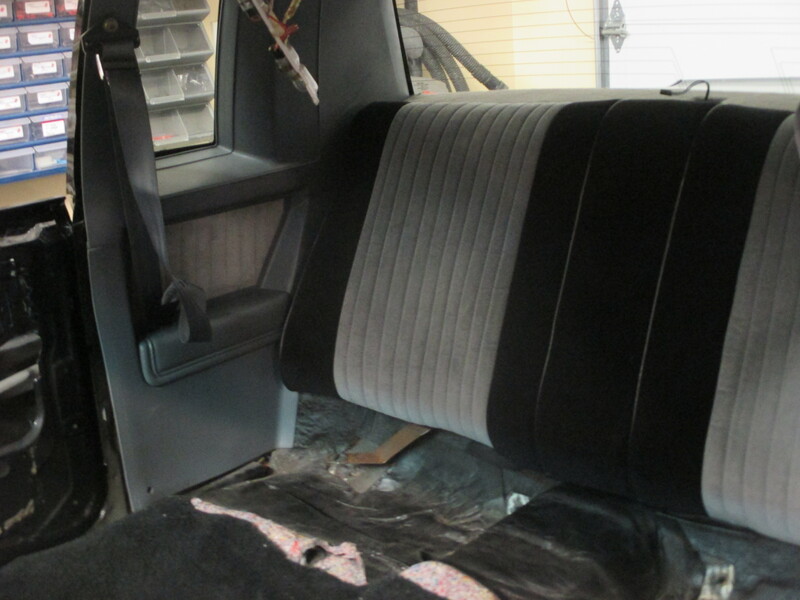 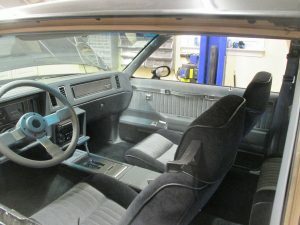 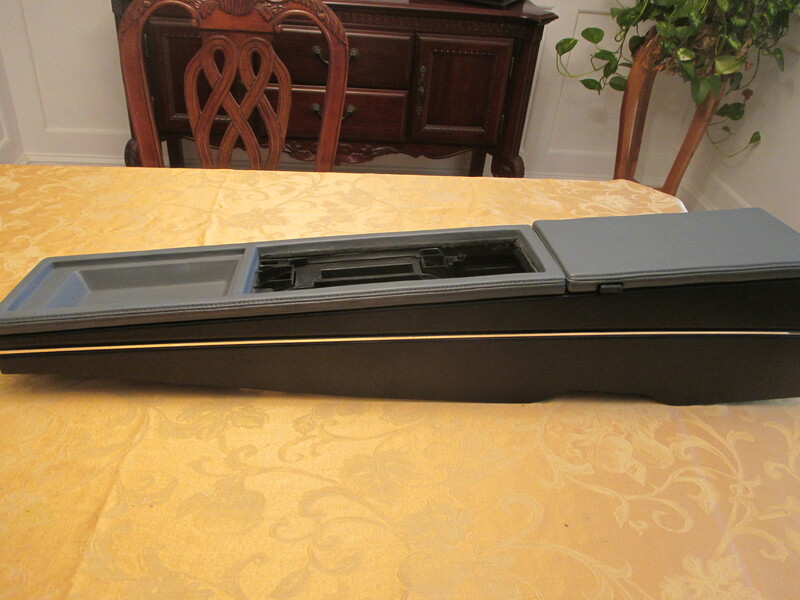 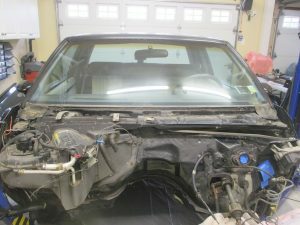 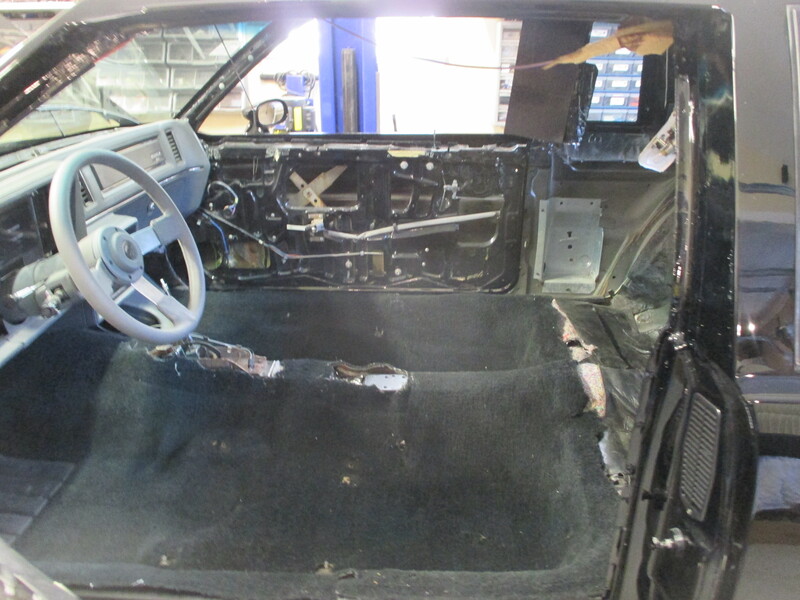 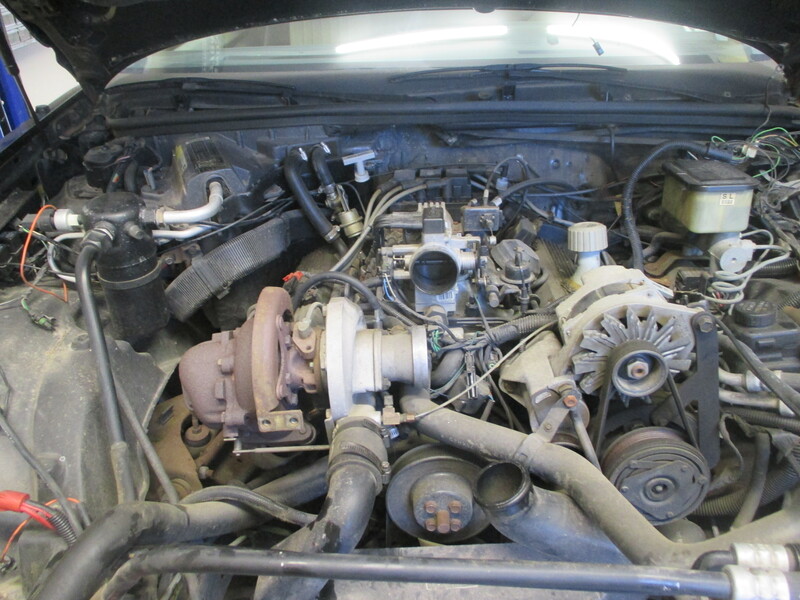 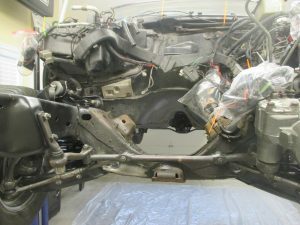 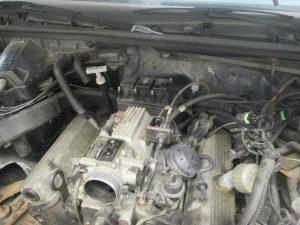 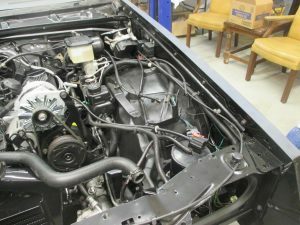 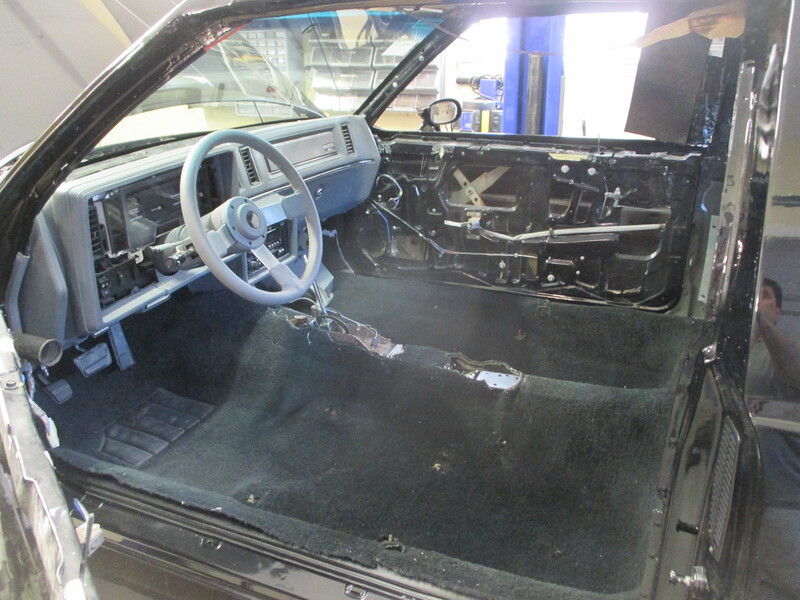 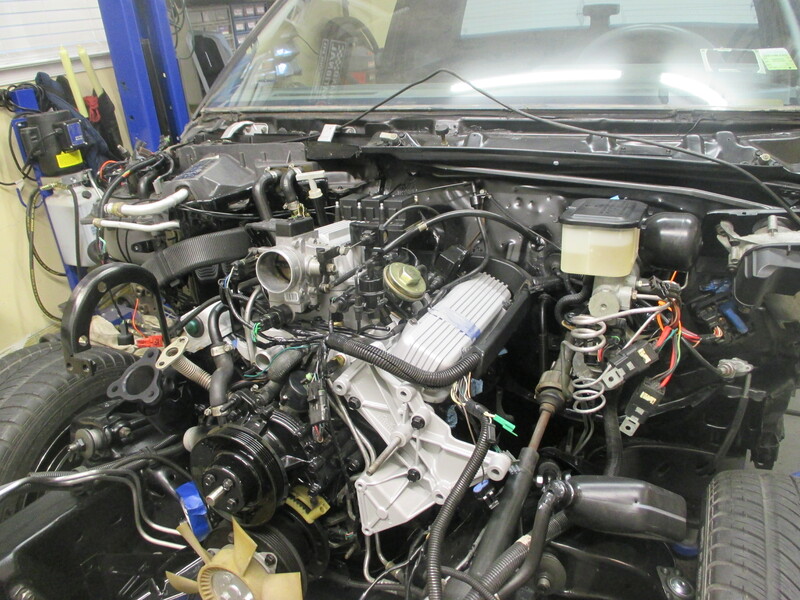 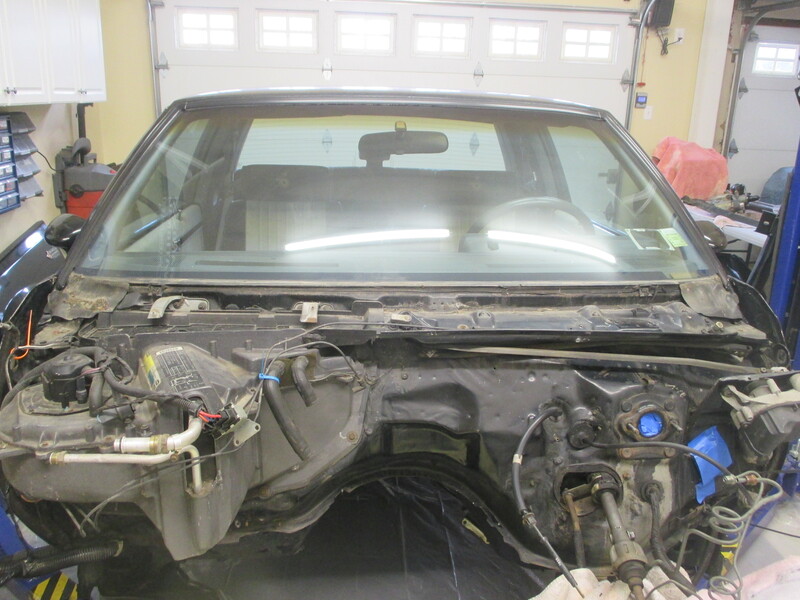 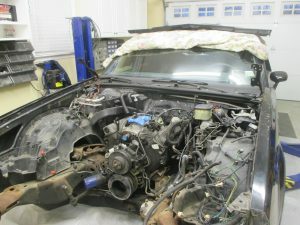 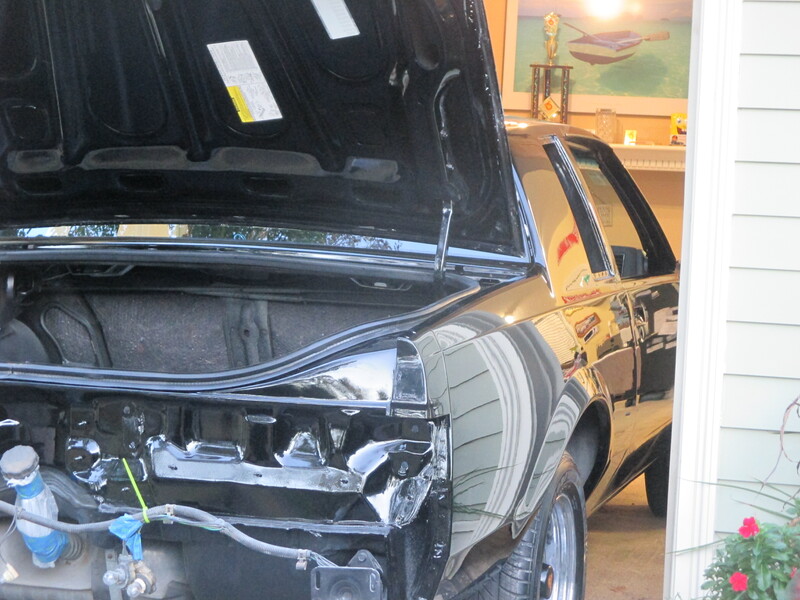 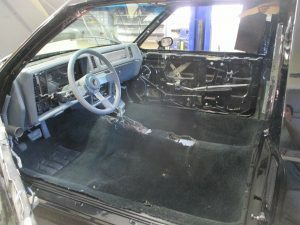 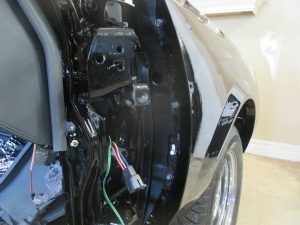 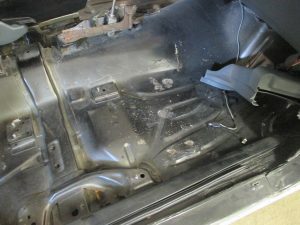 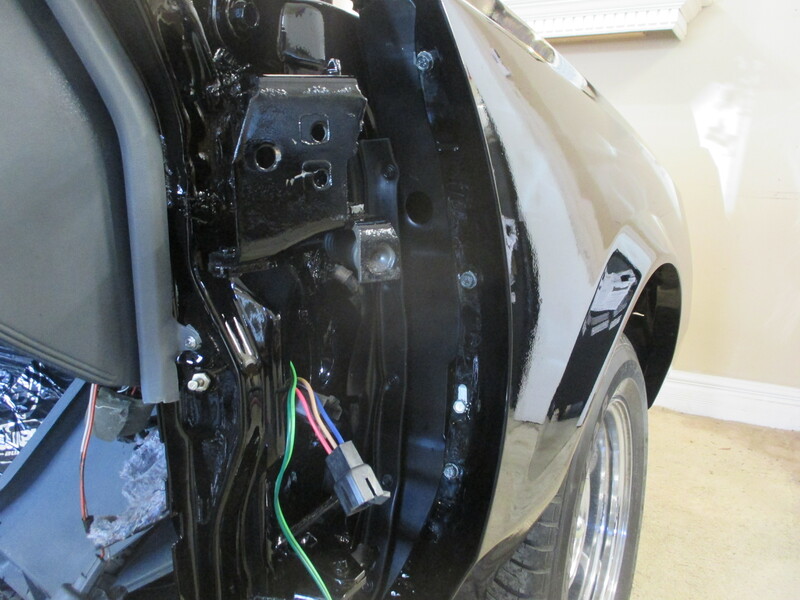 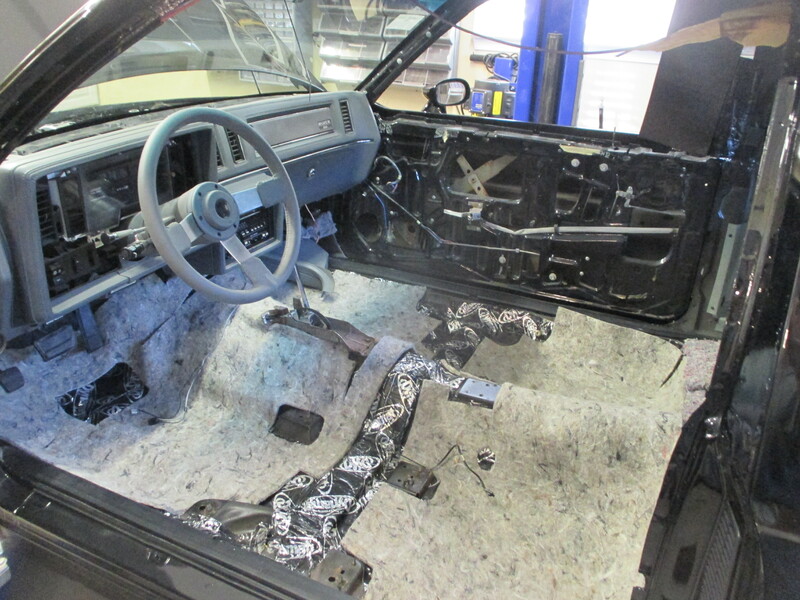 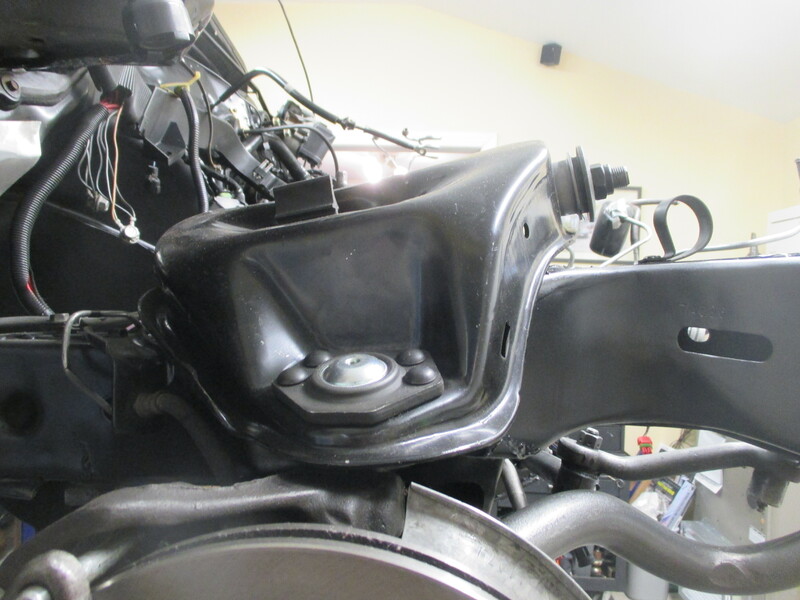 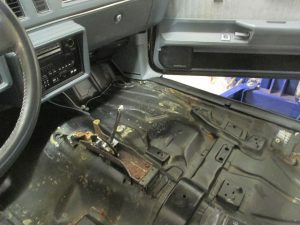 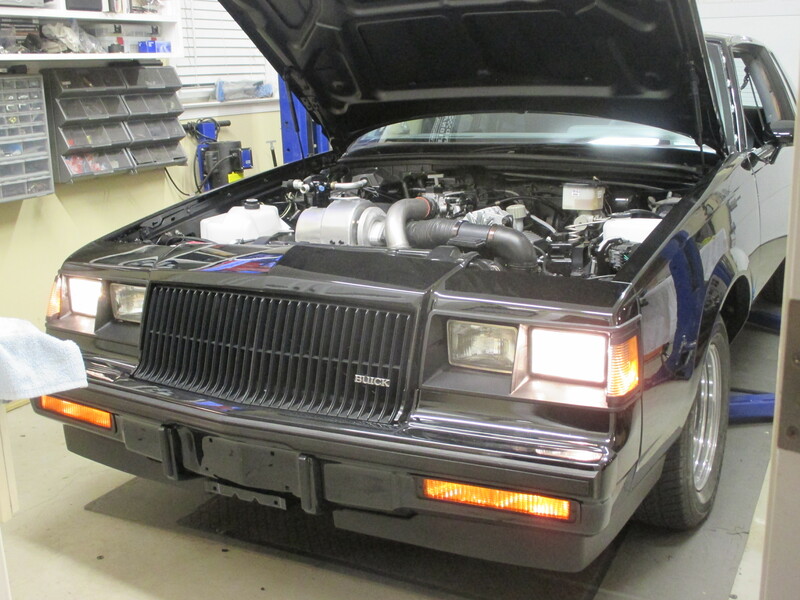 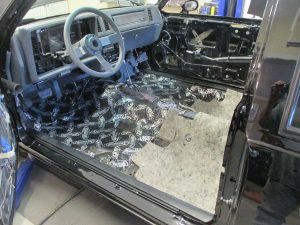 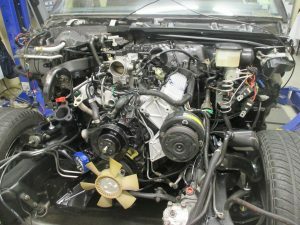 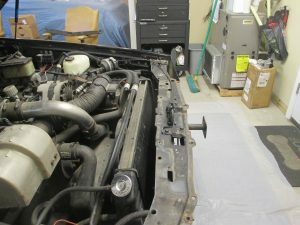 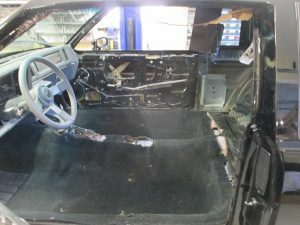 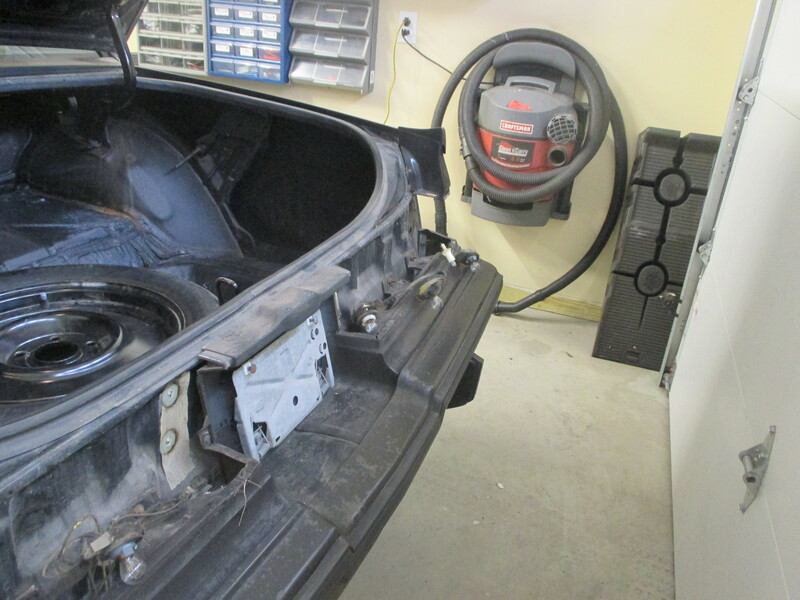 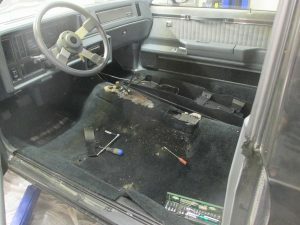 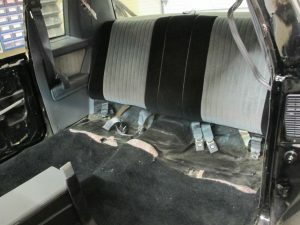 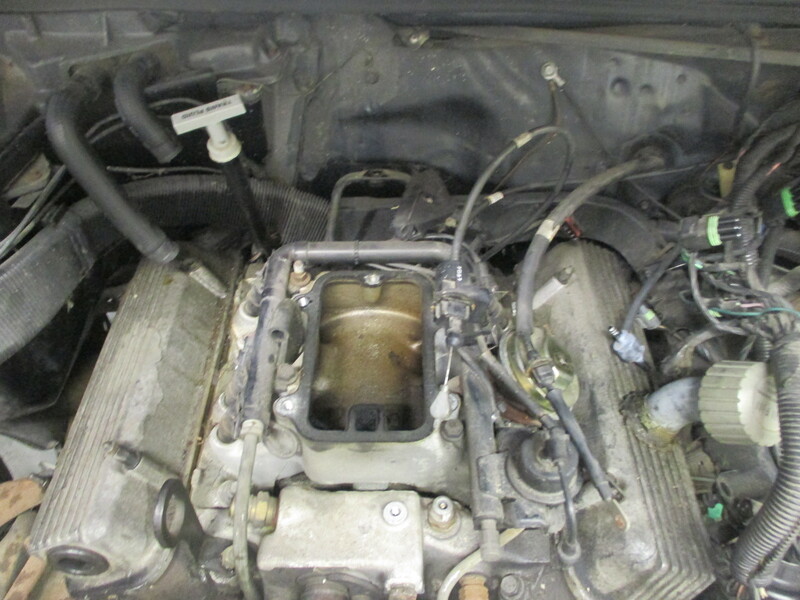 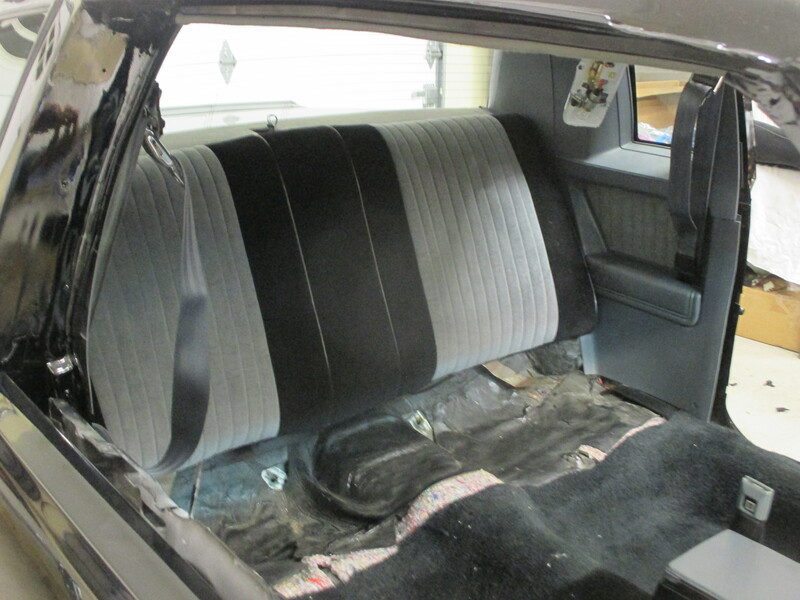 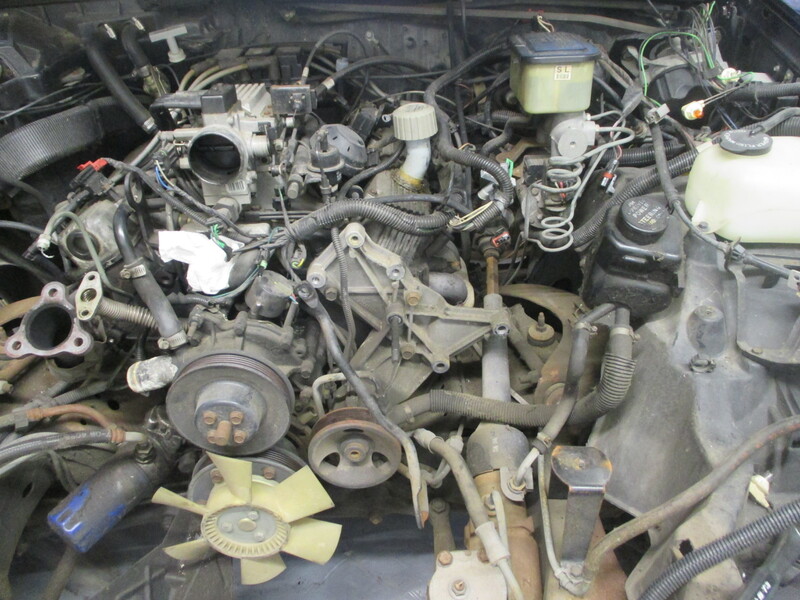 This is perhaps the hardest part of a Grand National to restore as very little NOS interior parts exist. 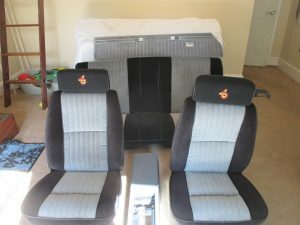 Seats and door cards are new done with RARE!!! 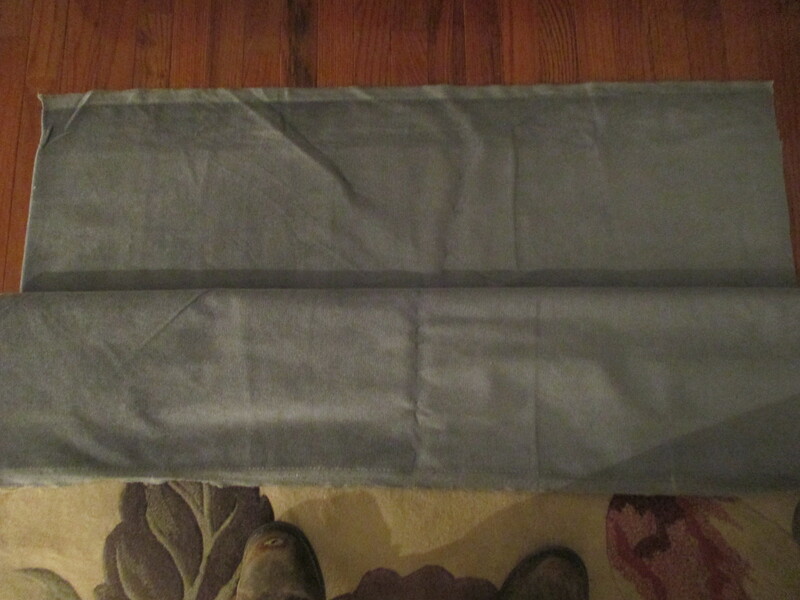 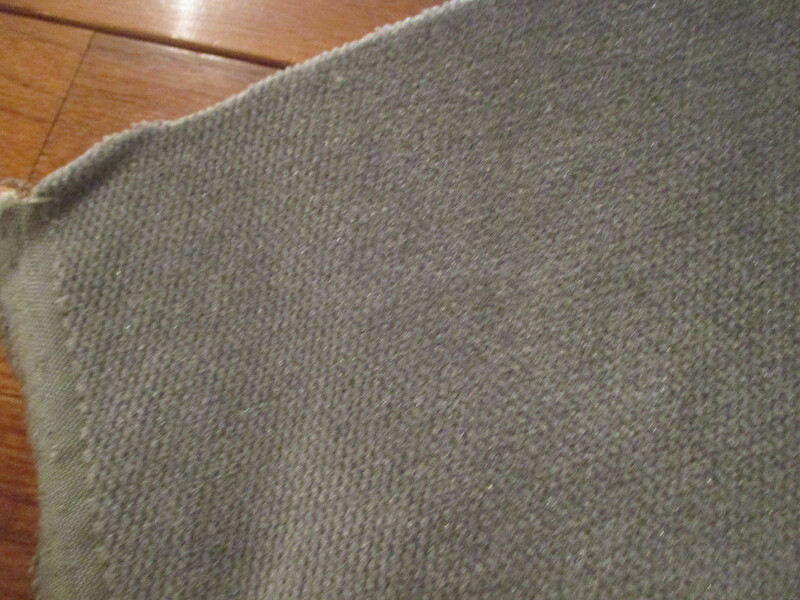 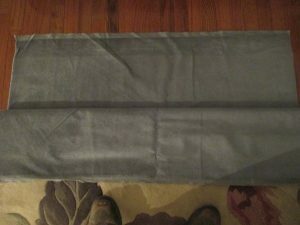 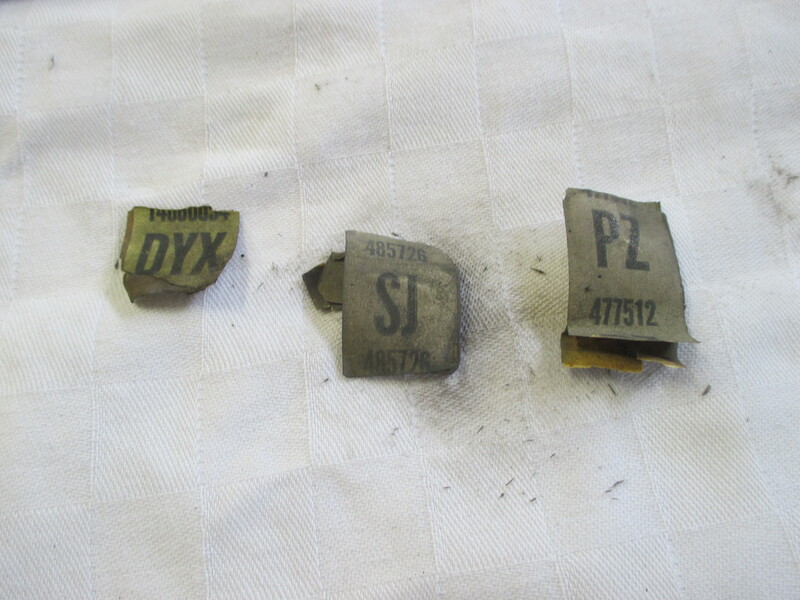 NOS date coded gray and black palex. This interior is factor new. 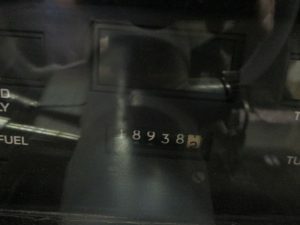 Titled only once in the summer of 1987 and is a real numbers matching find. 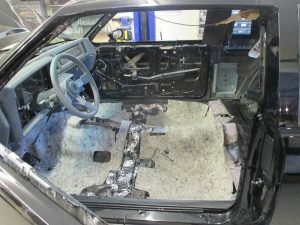 After being driven for only 18,938 miles the car was parked and was discovered in a field in February on 2017. These floors are so nice it seems a shame to cover them. 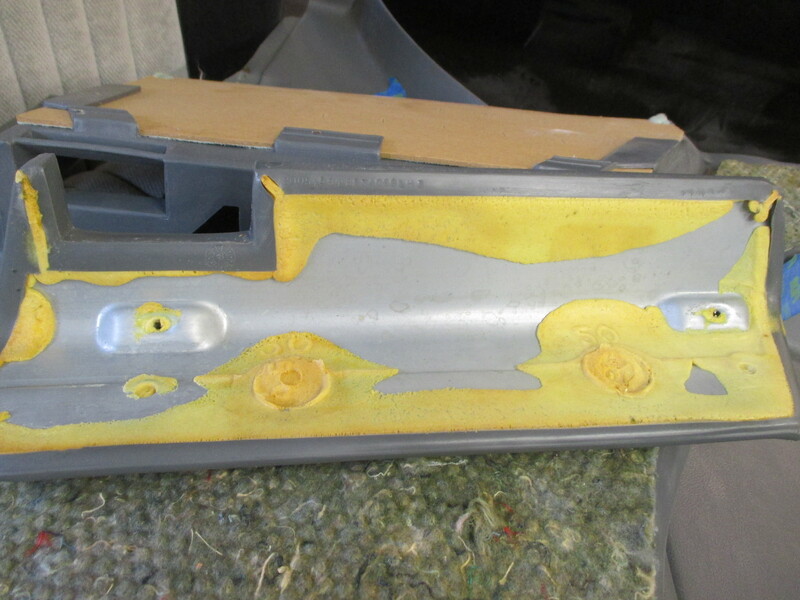 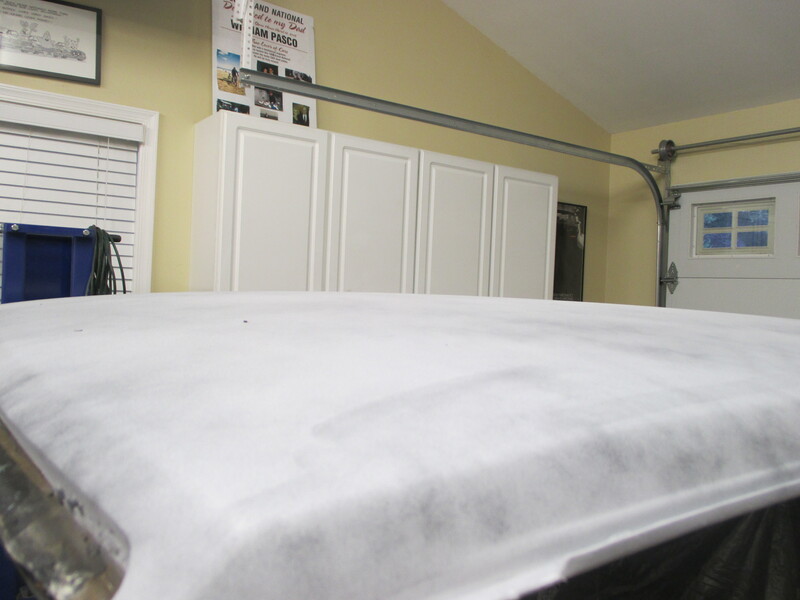 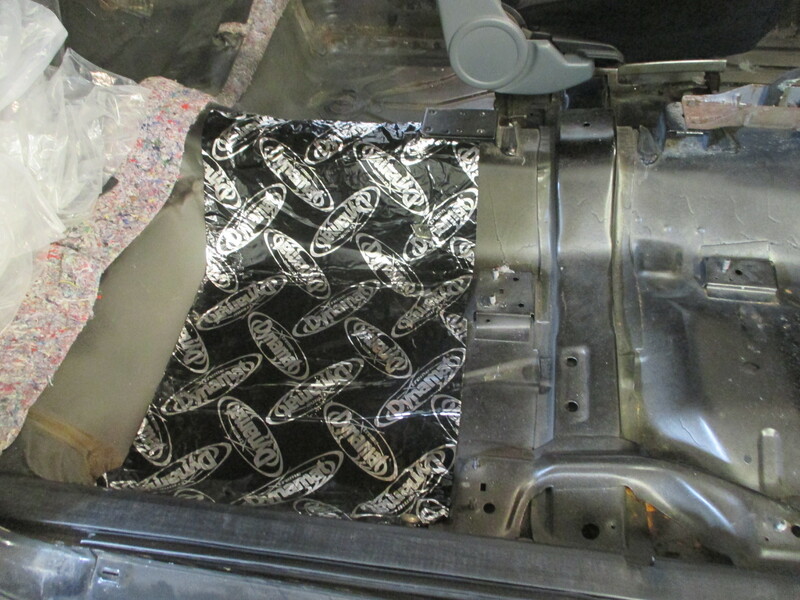 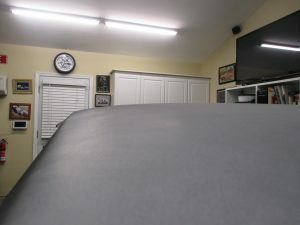 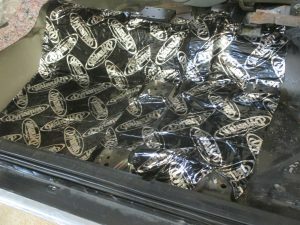 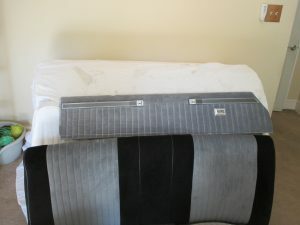 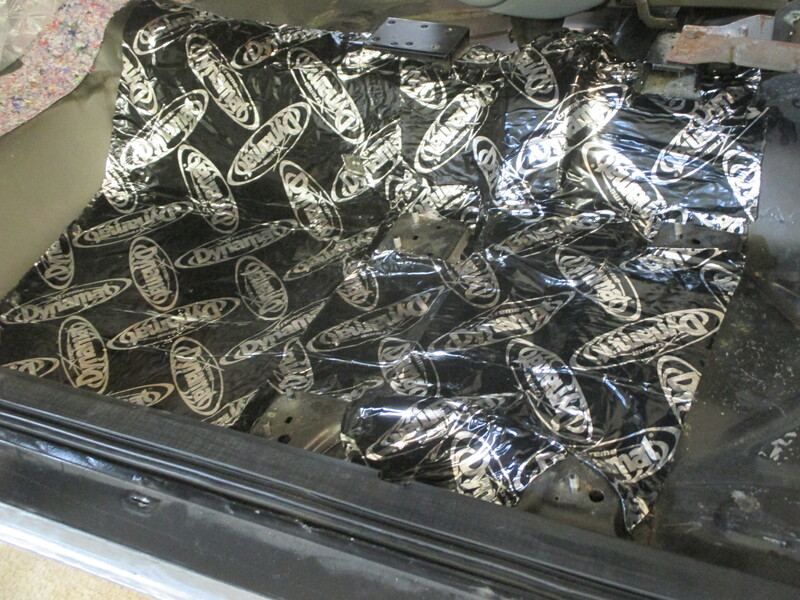 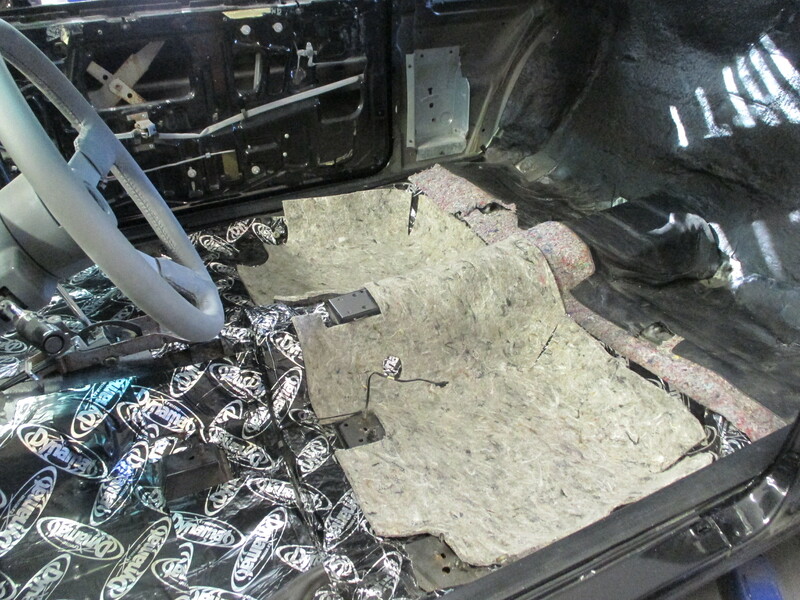 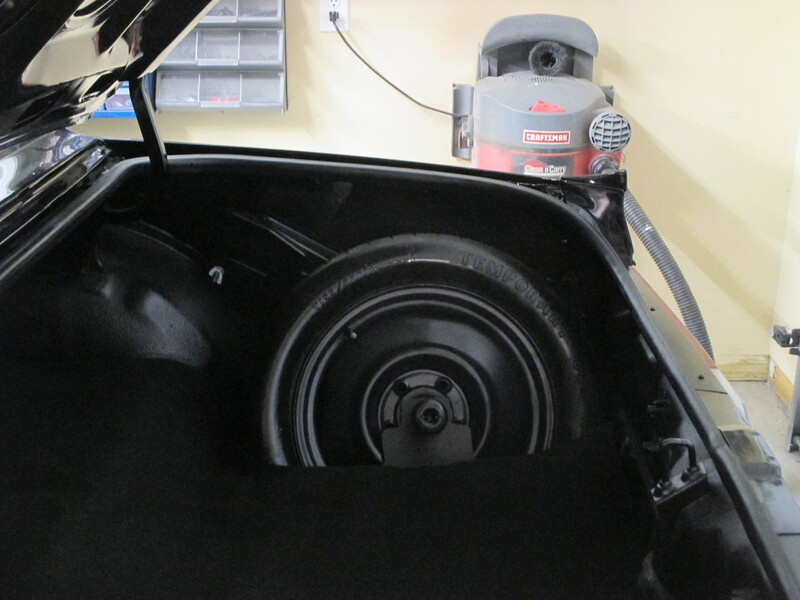 But all of our cars get top quality sound deadening material. 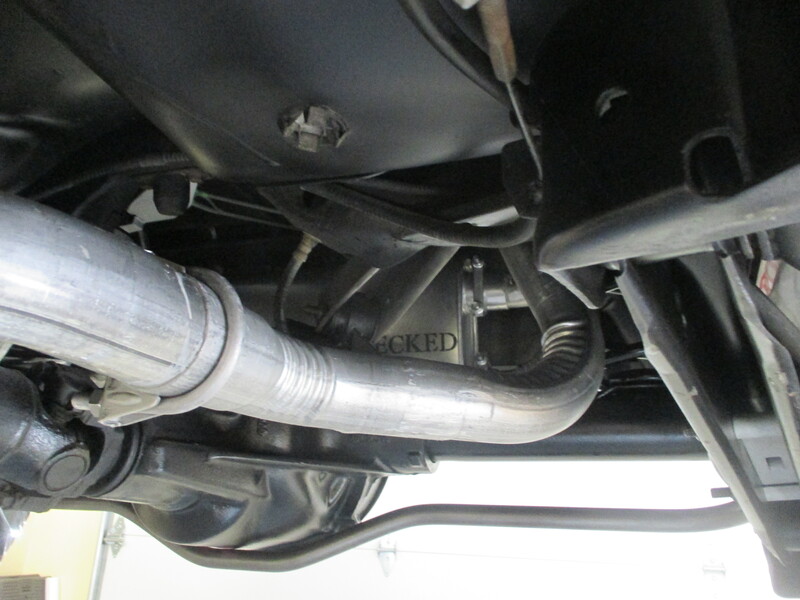 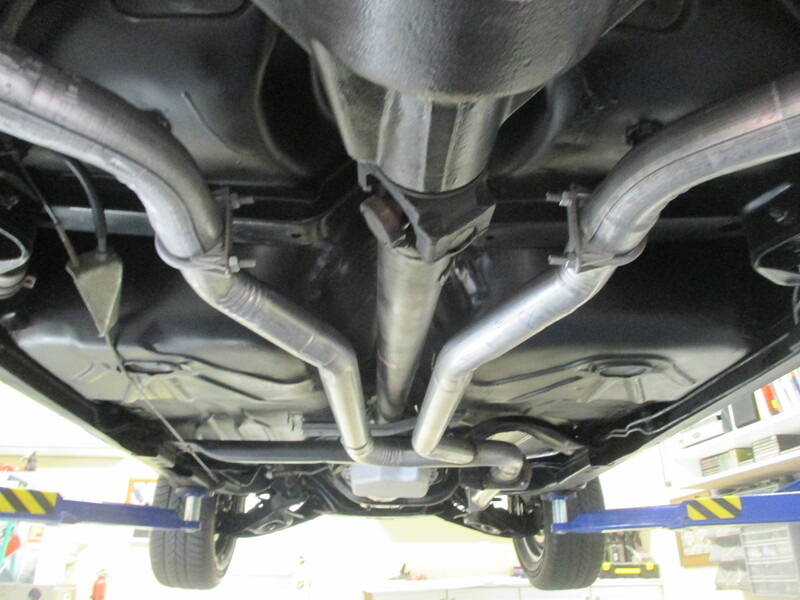 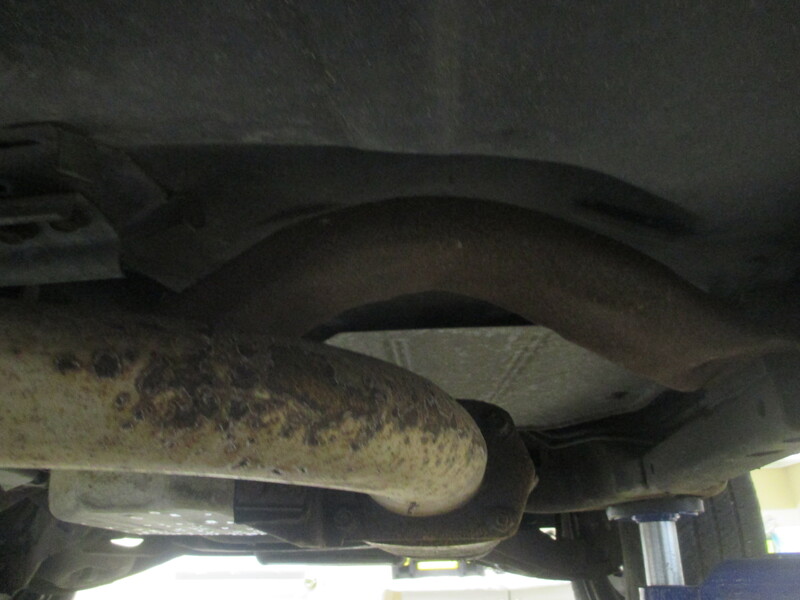 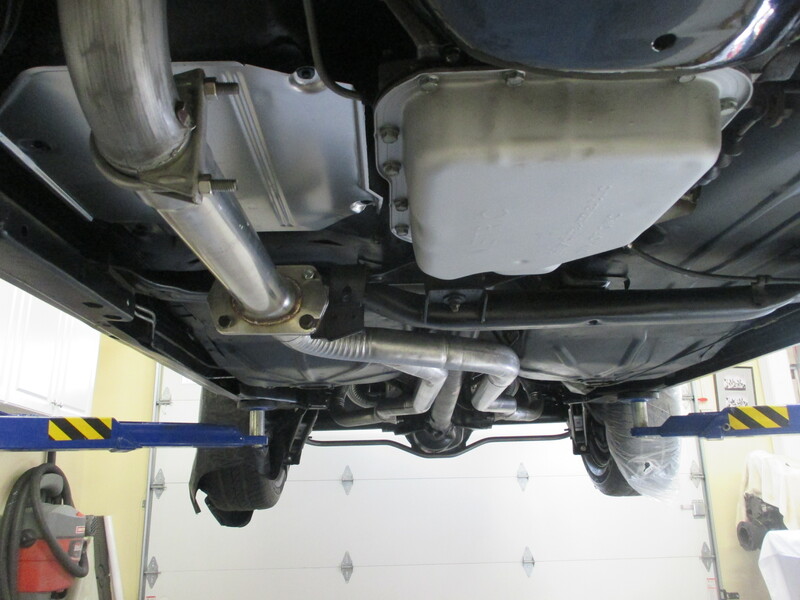 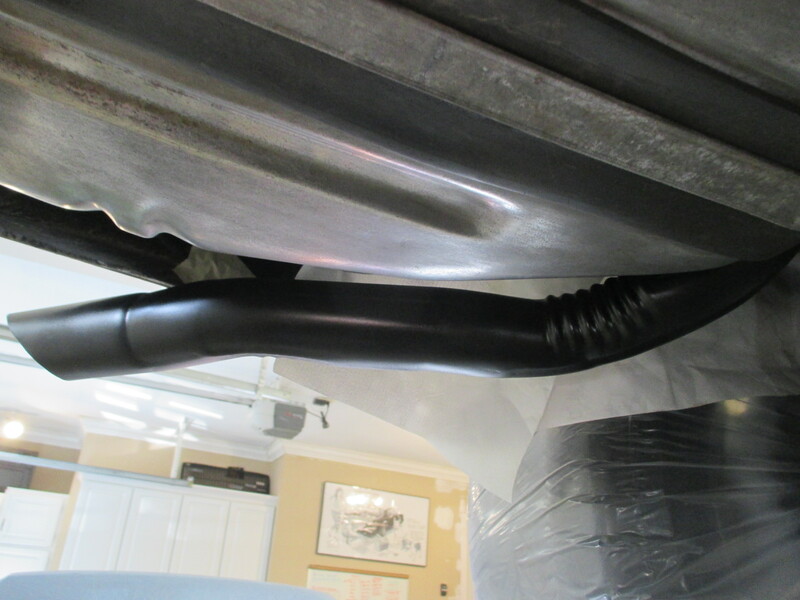 This helps keep road noise and heat out our the passenger compartment. 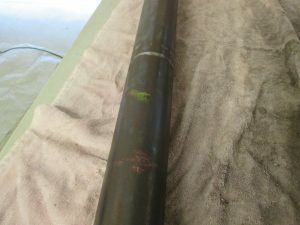 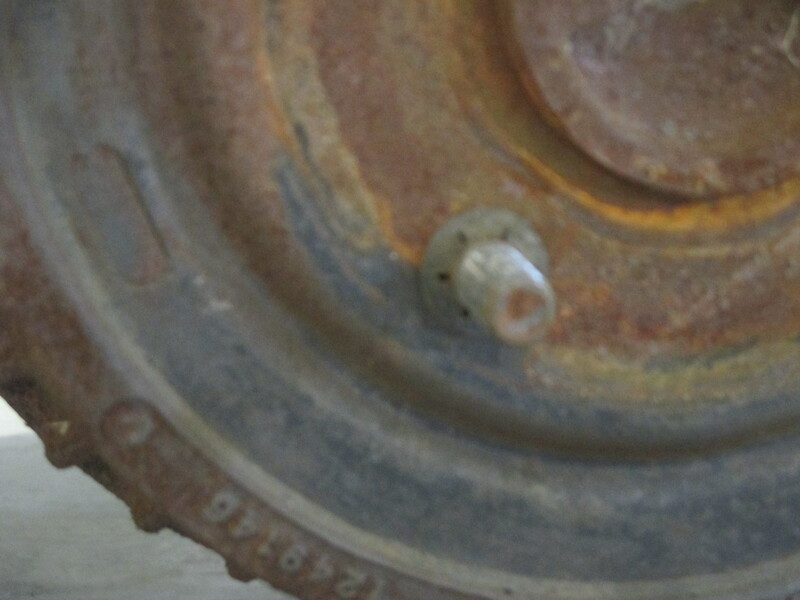 No rust looks like new!!! 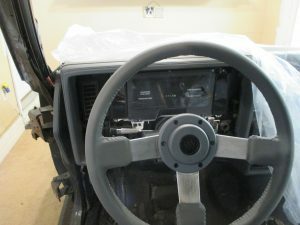 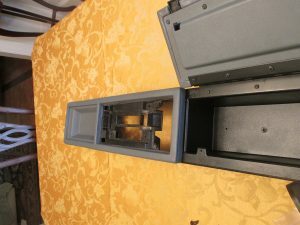 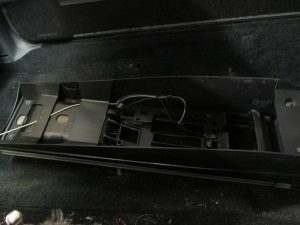 Brand new center console. 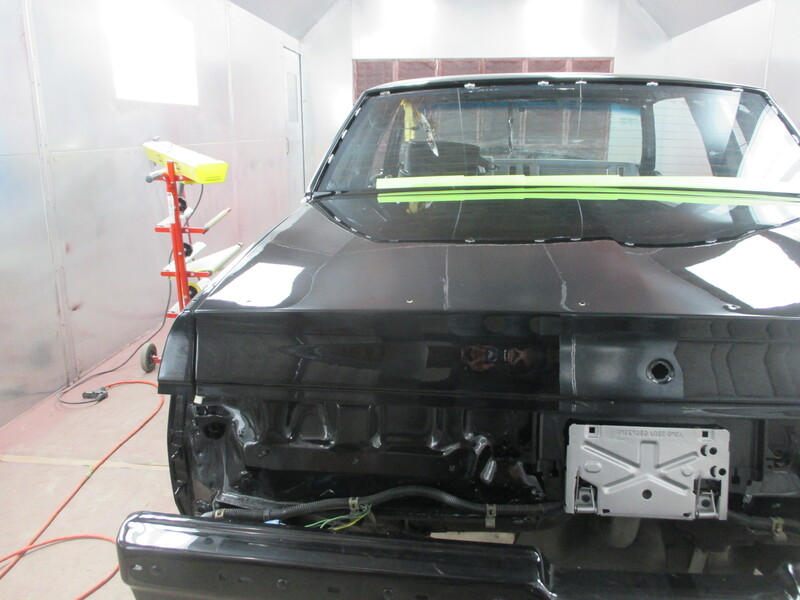 Beautiful clean black and gray colors with nice shinny fresh chrome stripe. 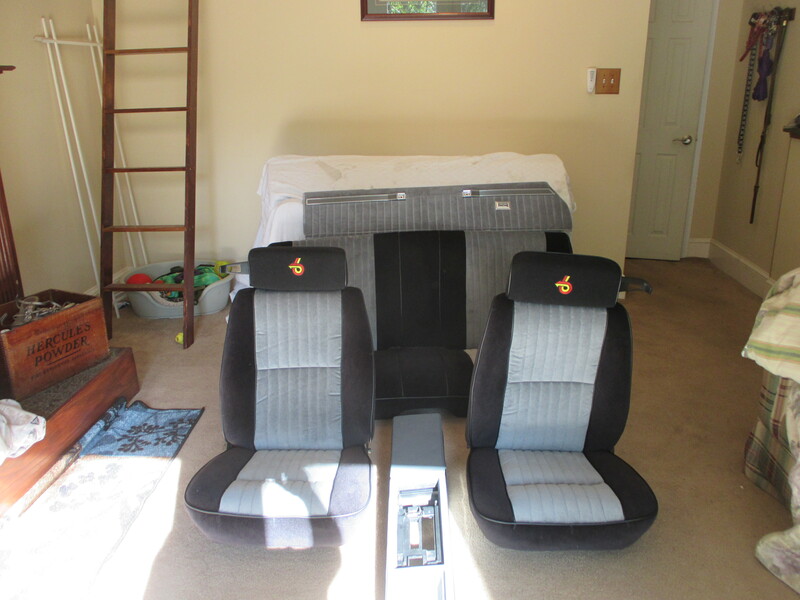 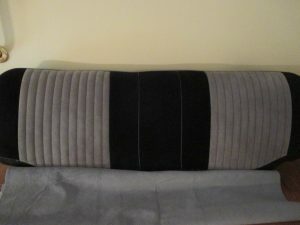 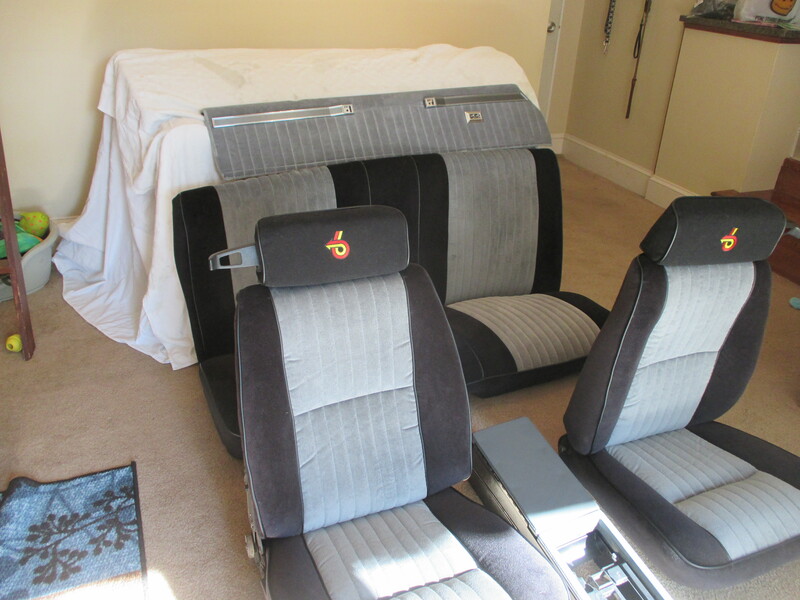 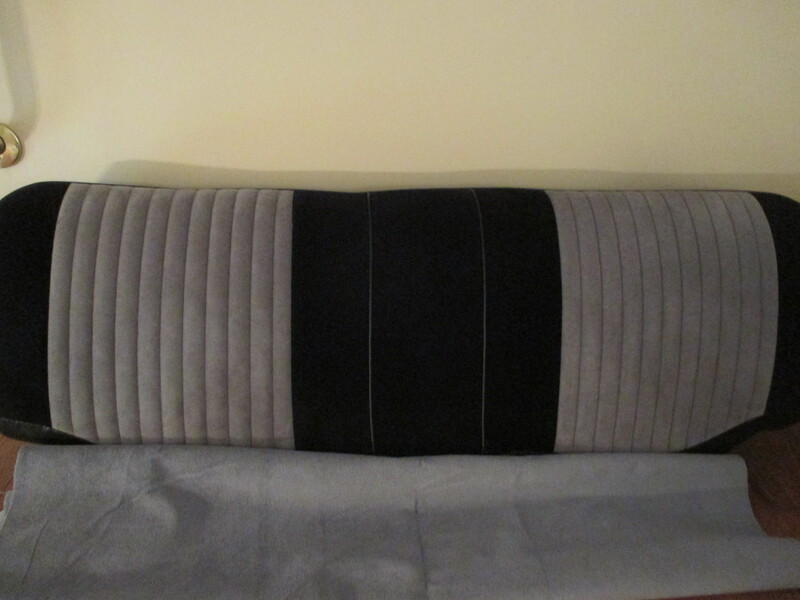 New recovered seats with RARE NOS gray and black date coded palex material. 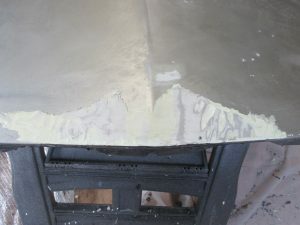 No time, or expense spared and no corners cut. 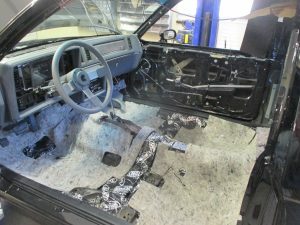 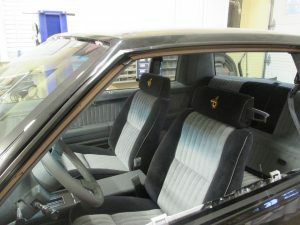 The result will be an interior that is like factory new! 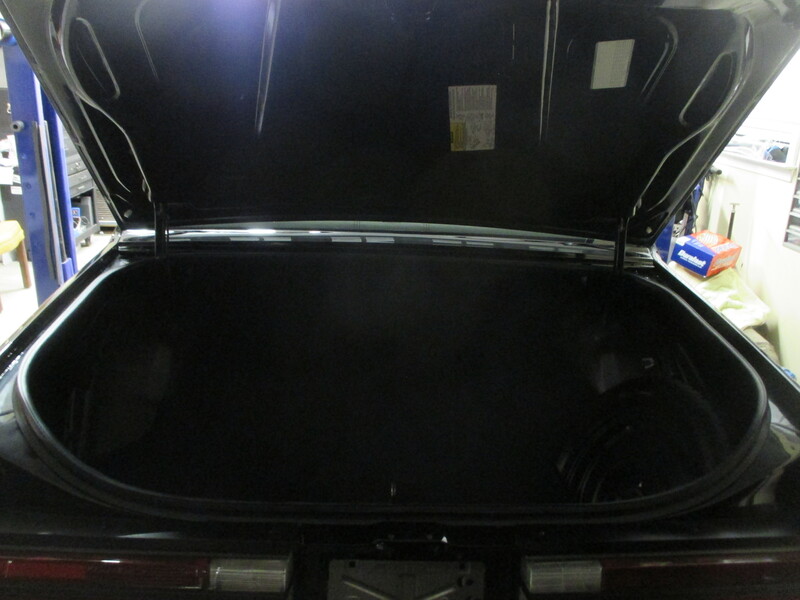 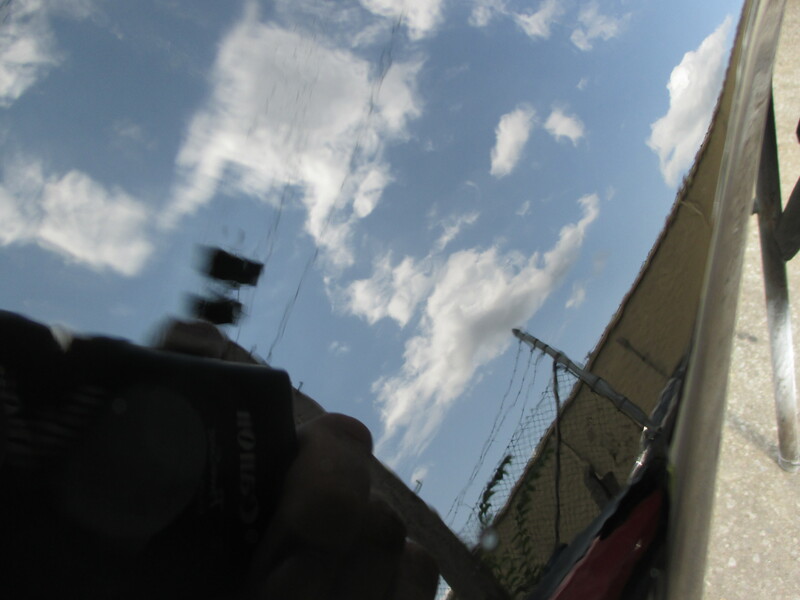 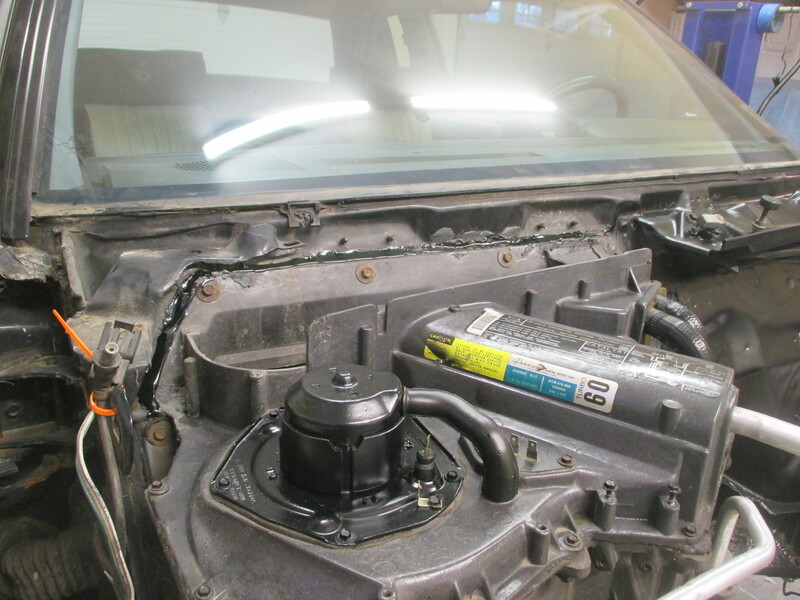 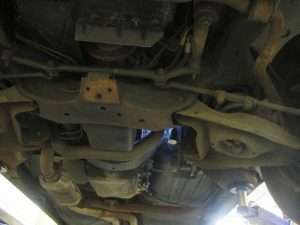 Each area of the vehicle is carefully examined and photo-documented. The evaluation becomes the basis for the restoration plan. 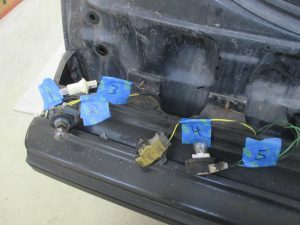 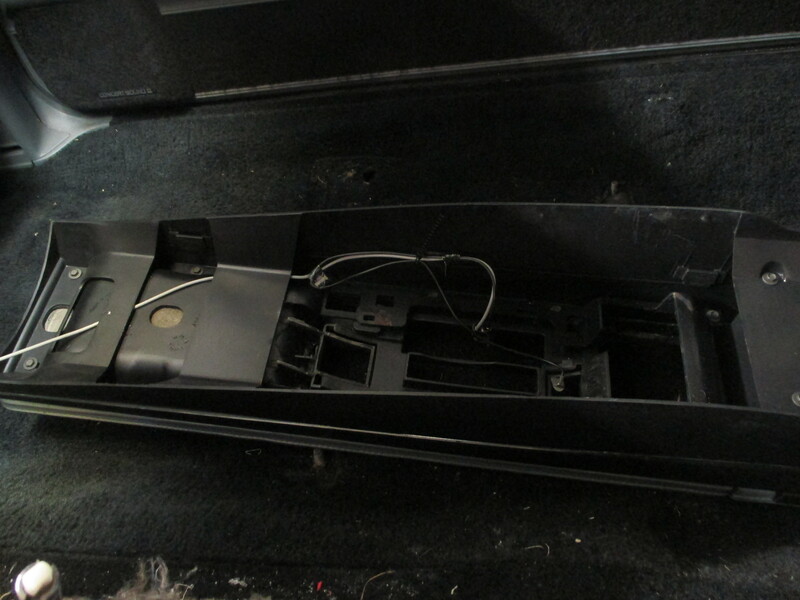 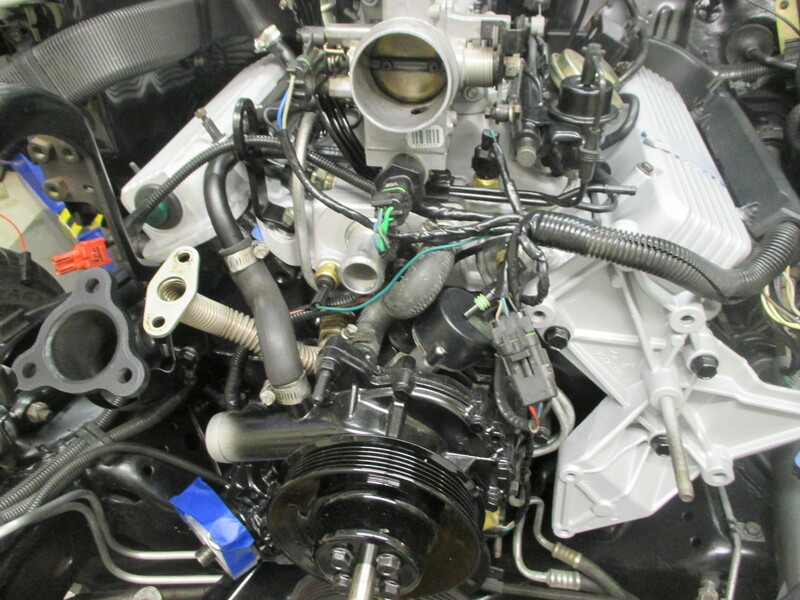 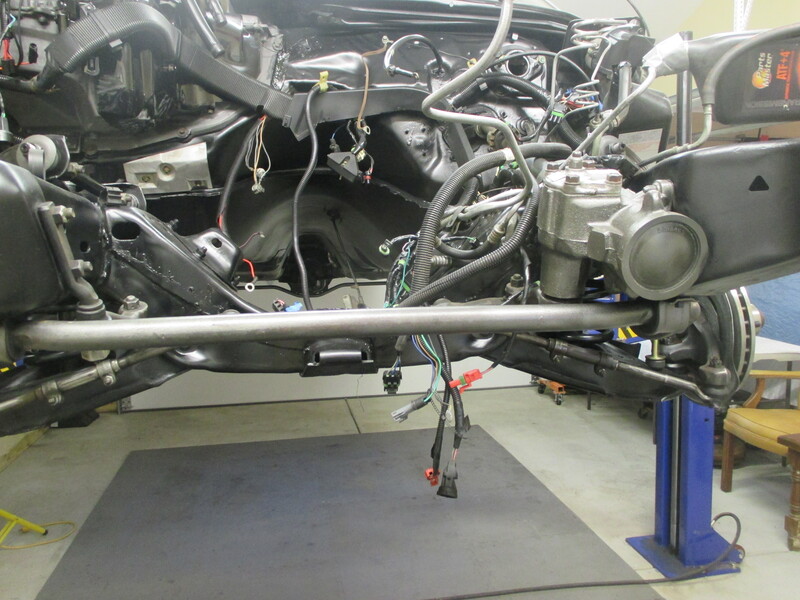 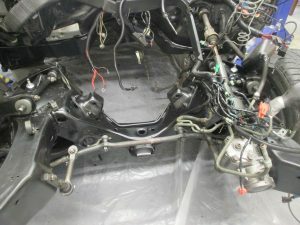 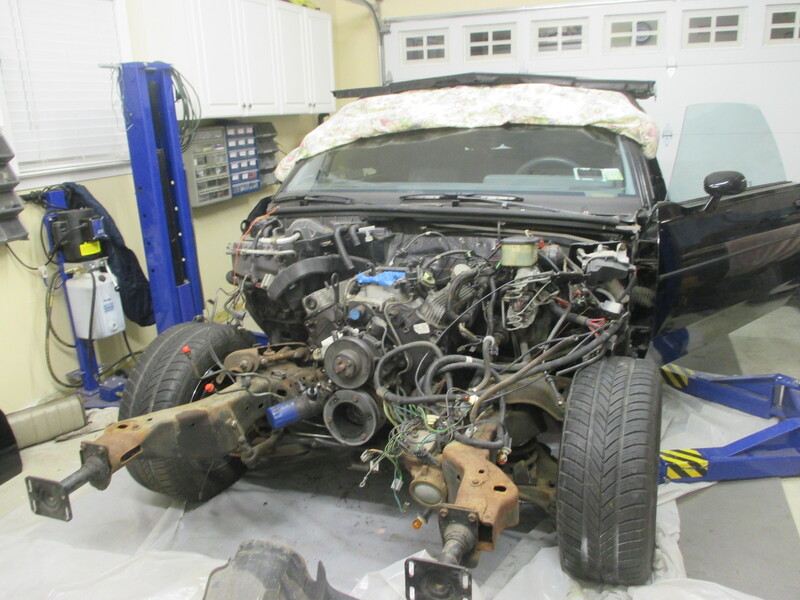 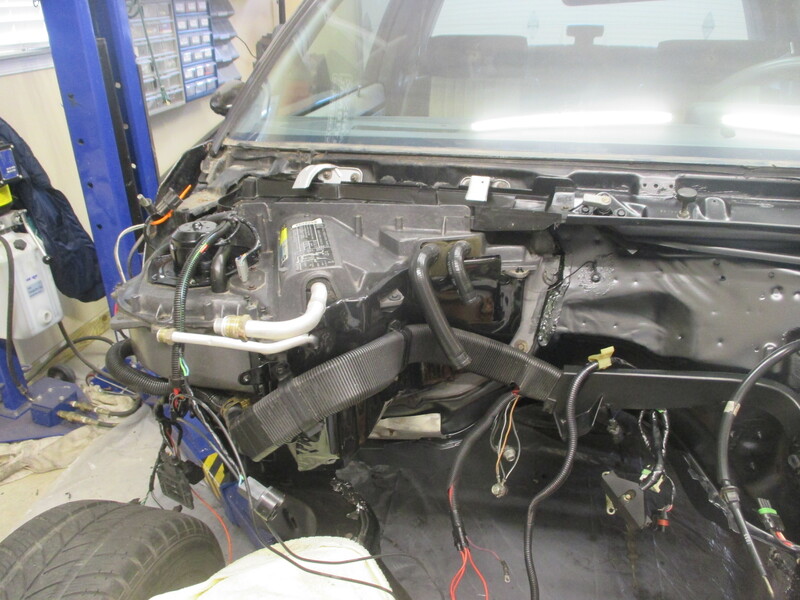 Each area of the car is carefully disassembled, with each part photographed and labeled. 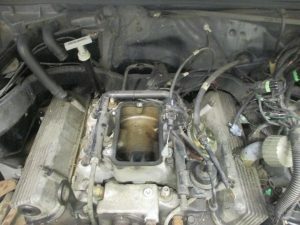 From there the parts are either replaced with NOS or restored. 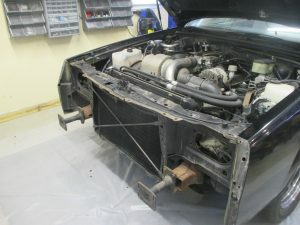 With this car being such a rare find we will take care to restore back too new every, nut, bolt, bracket, part we possibly can.